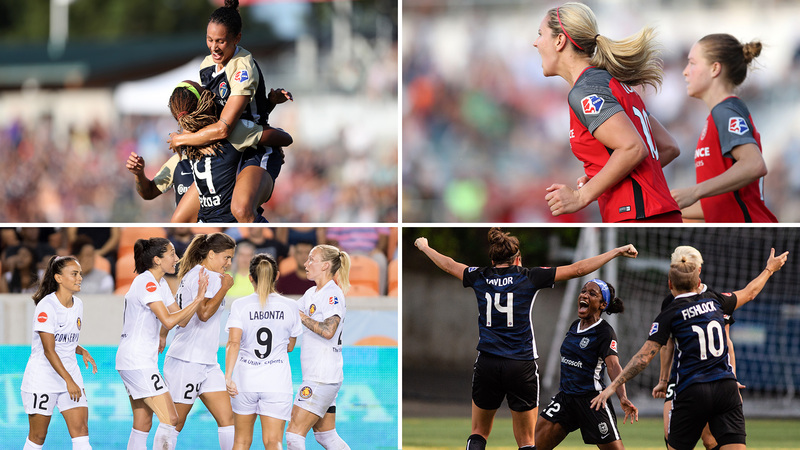 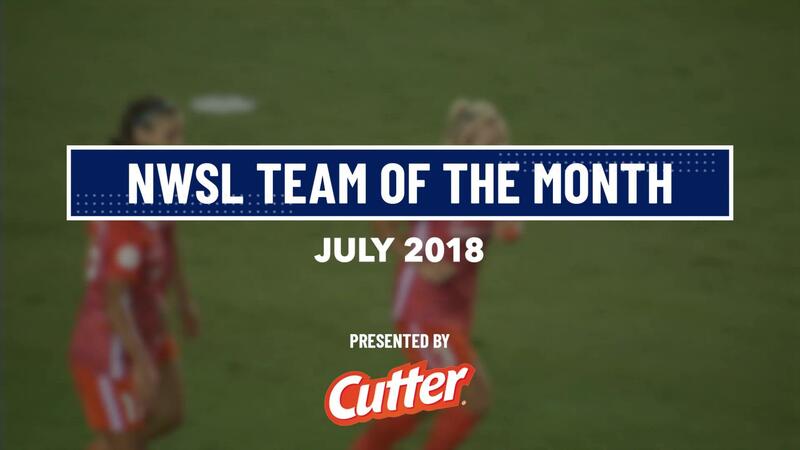 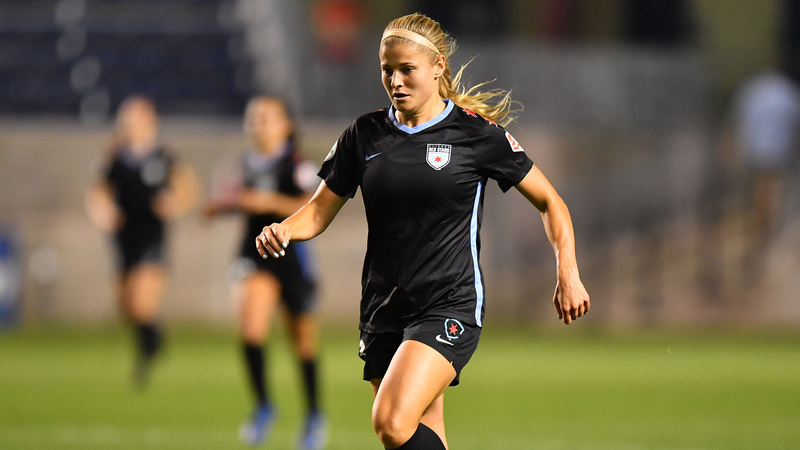 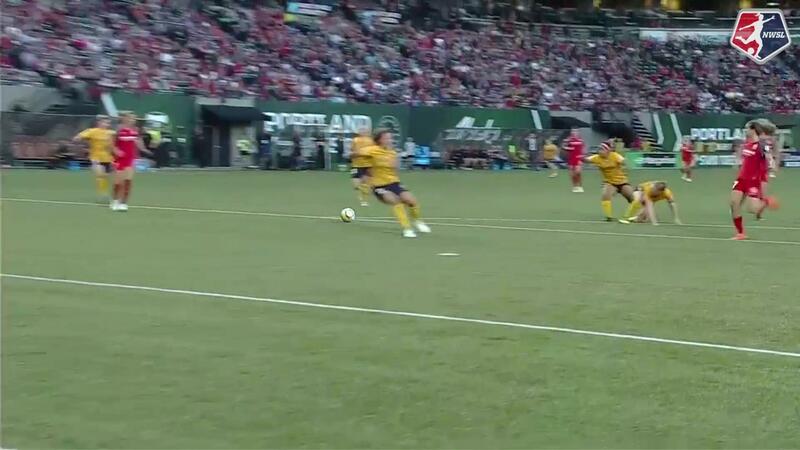 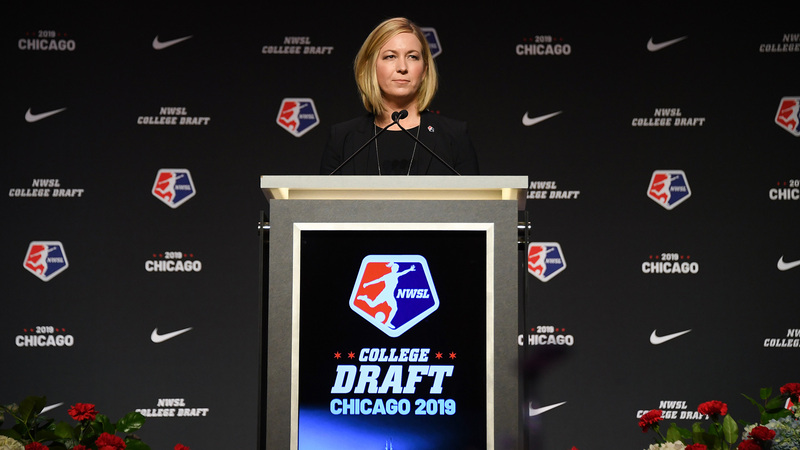 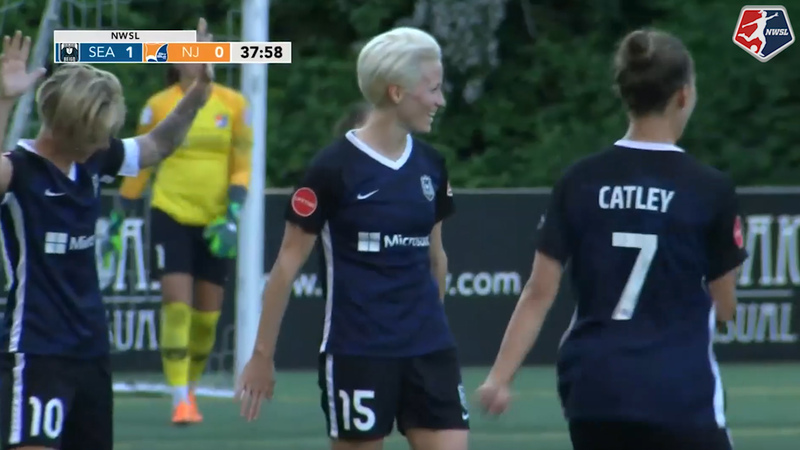 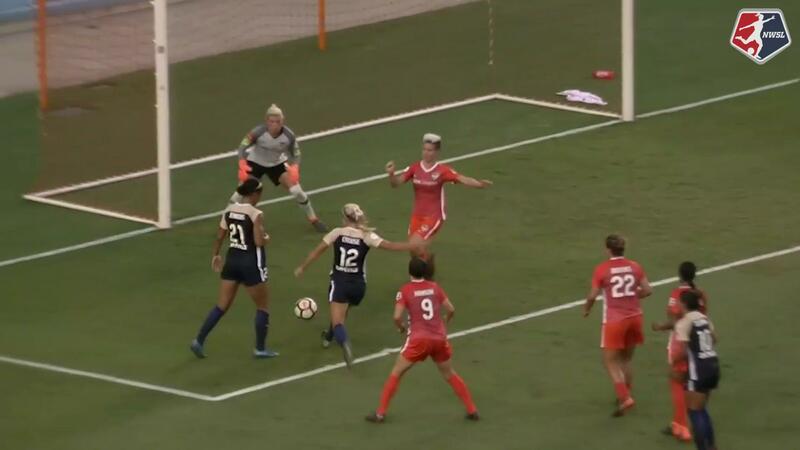 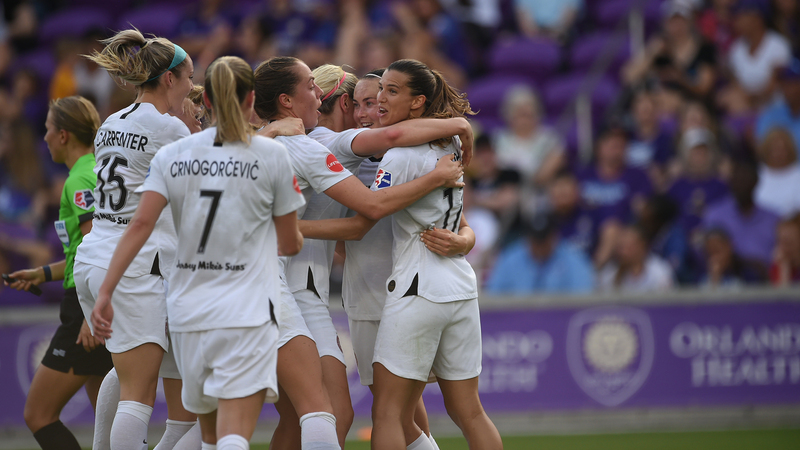 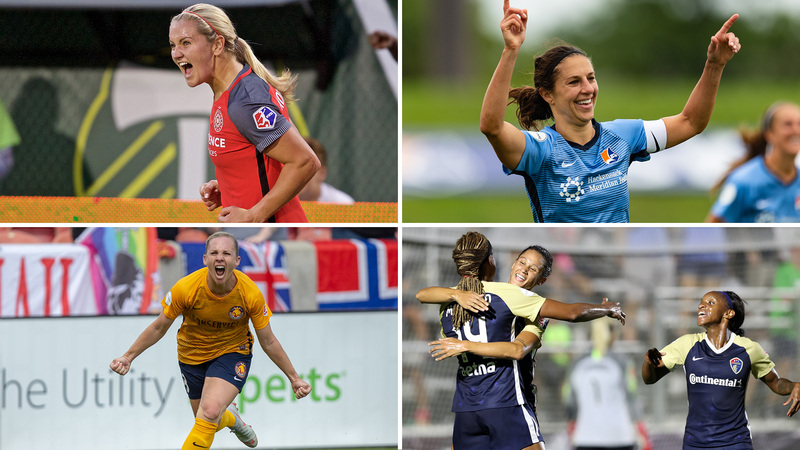 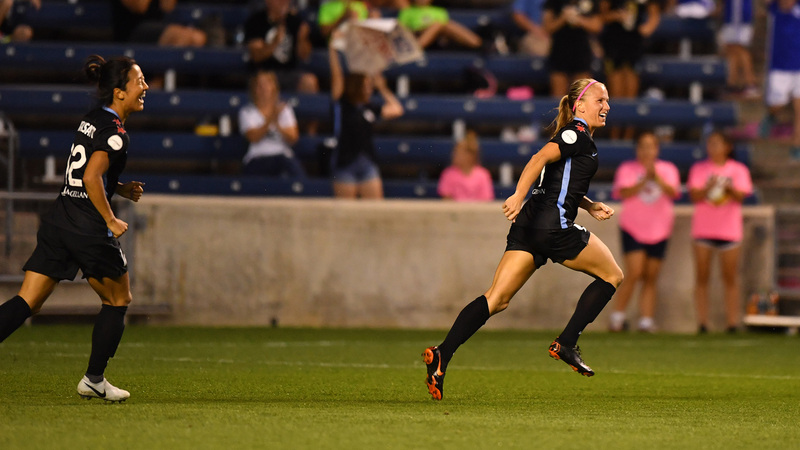 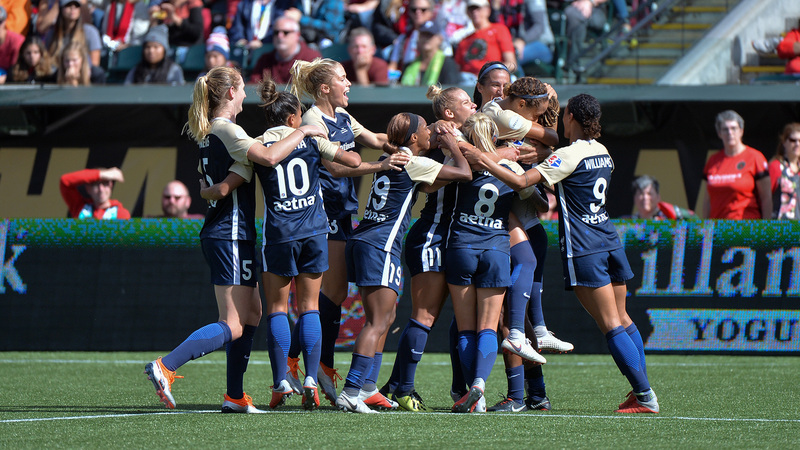 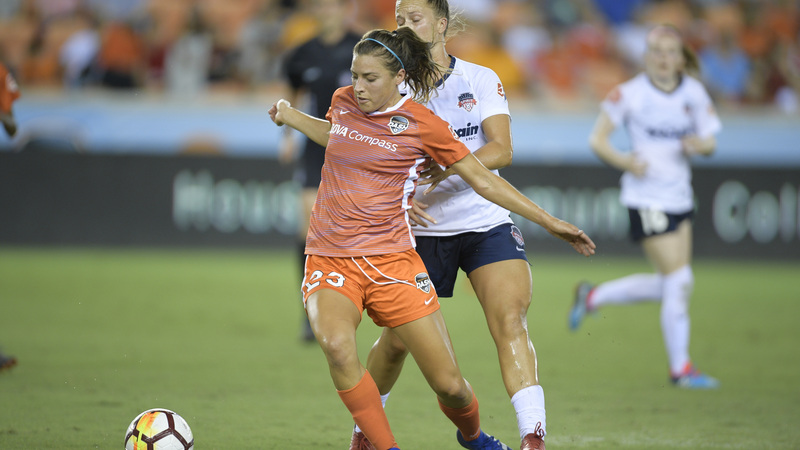 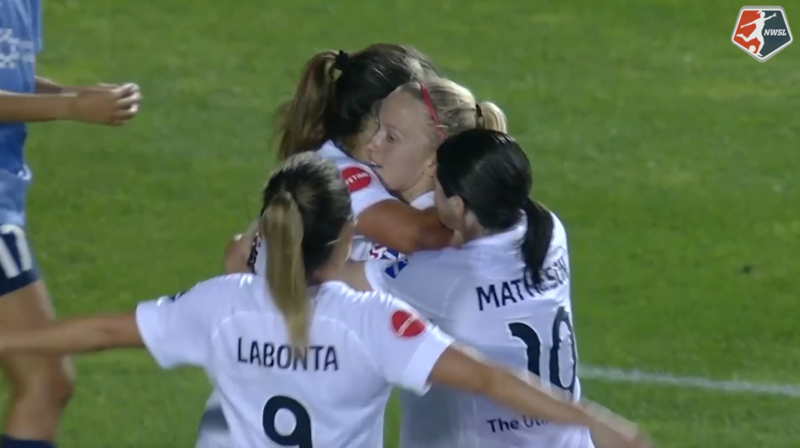 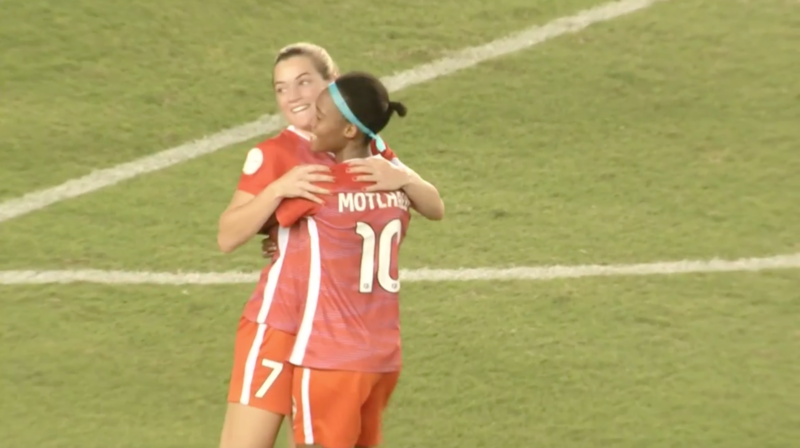 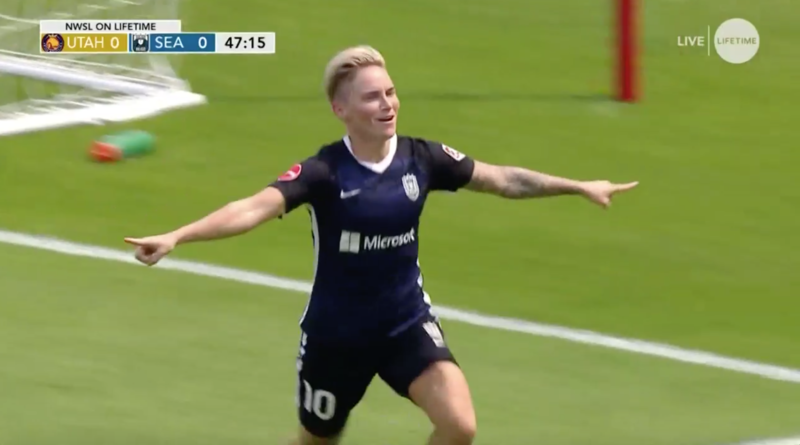 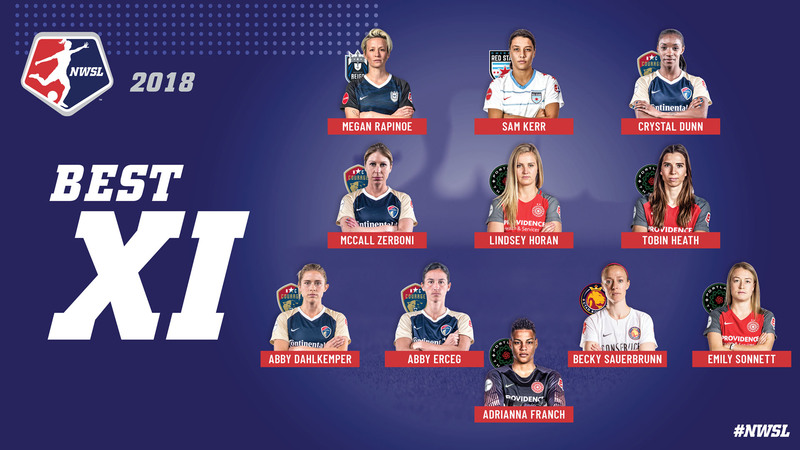 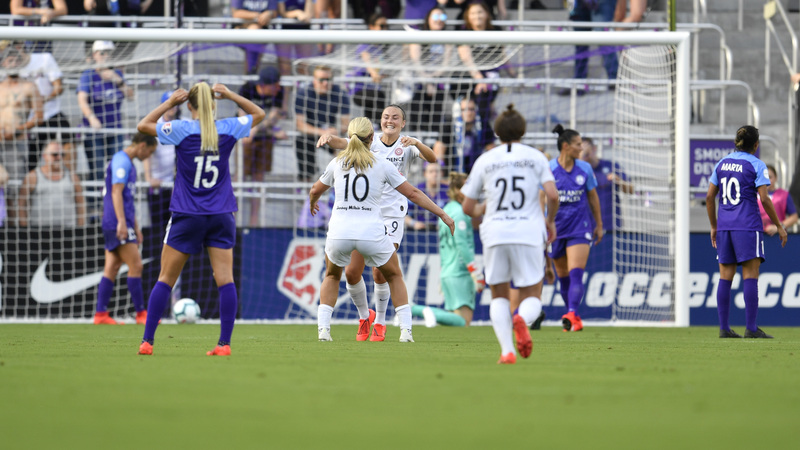 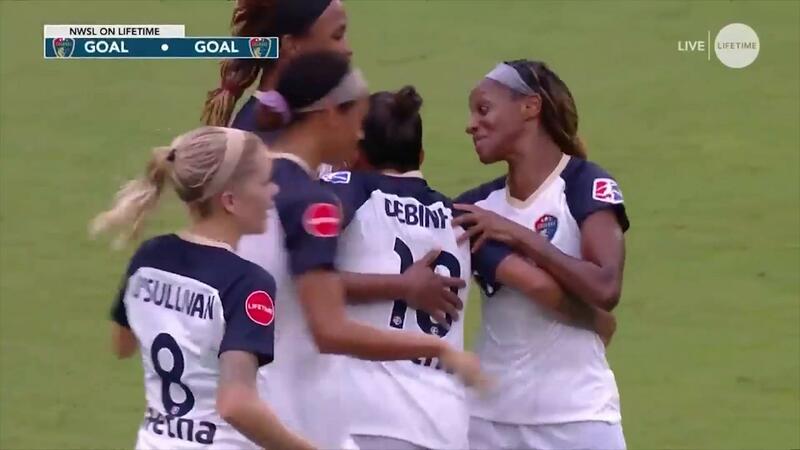 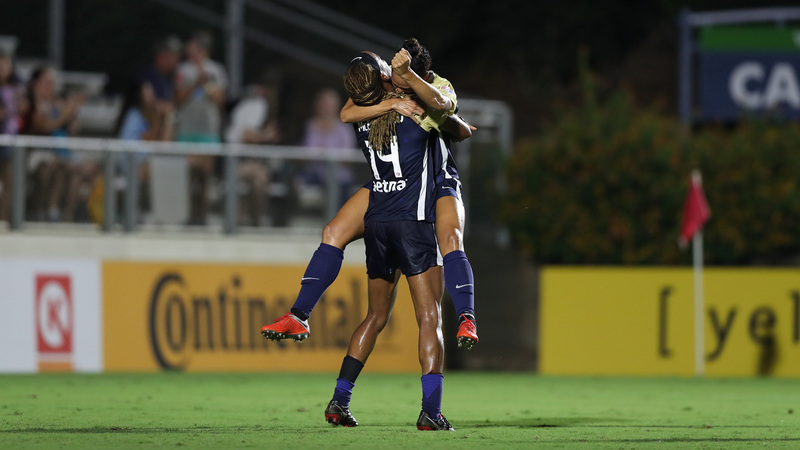 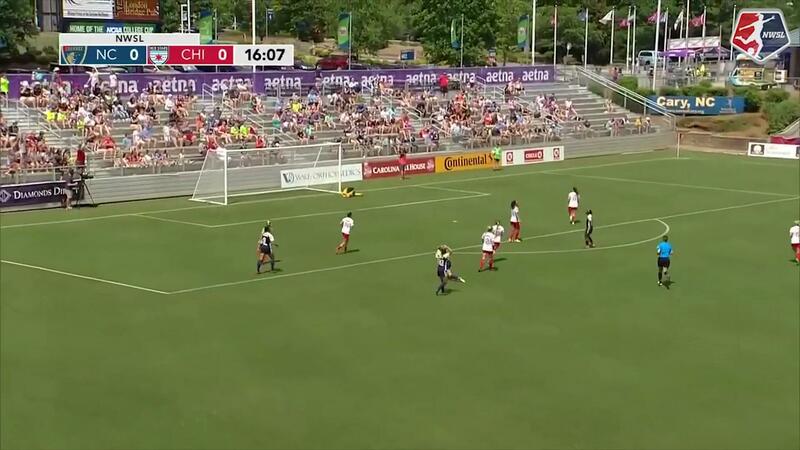 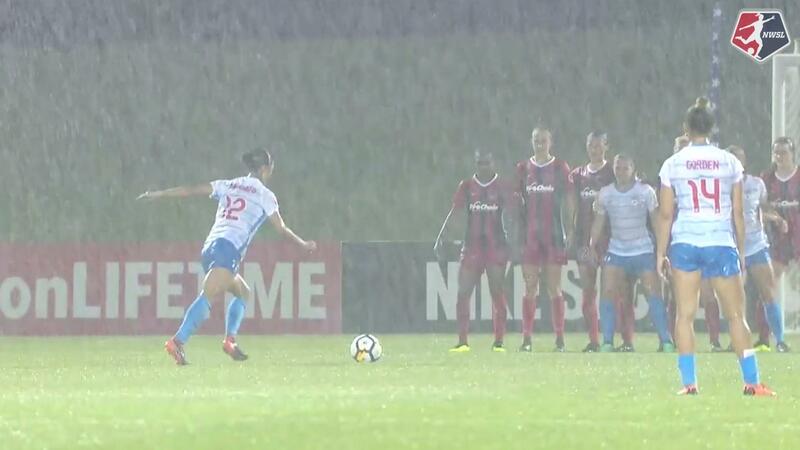 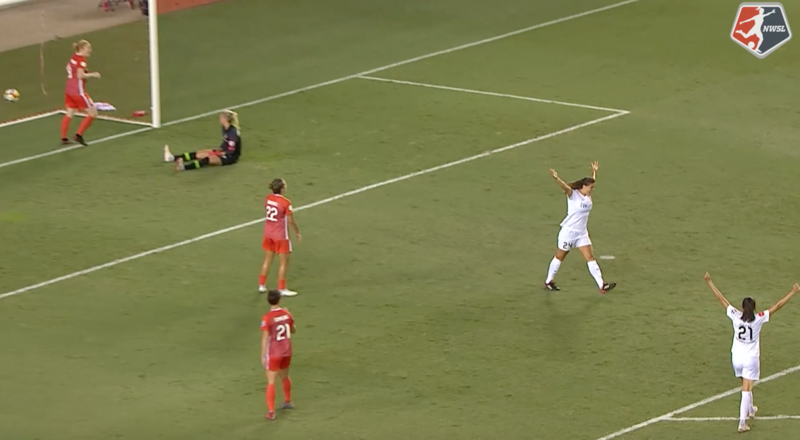 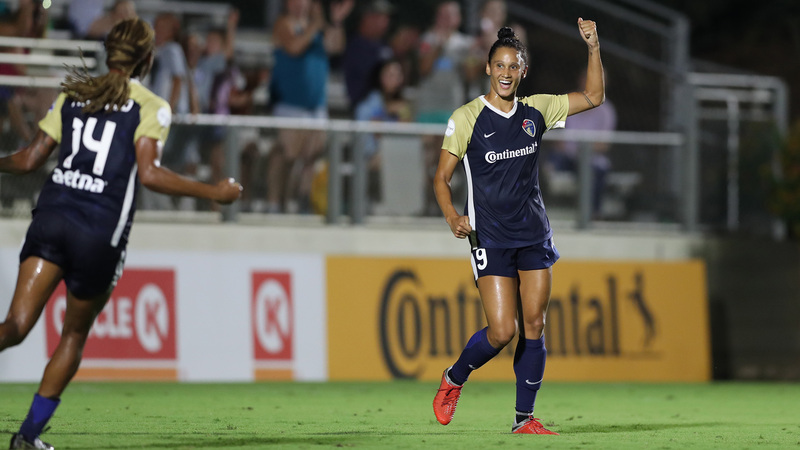 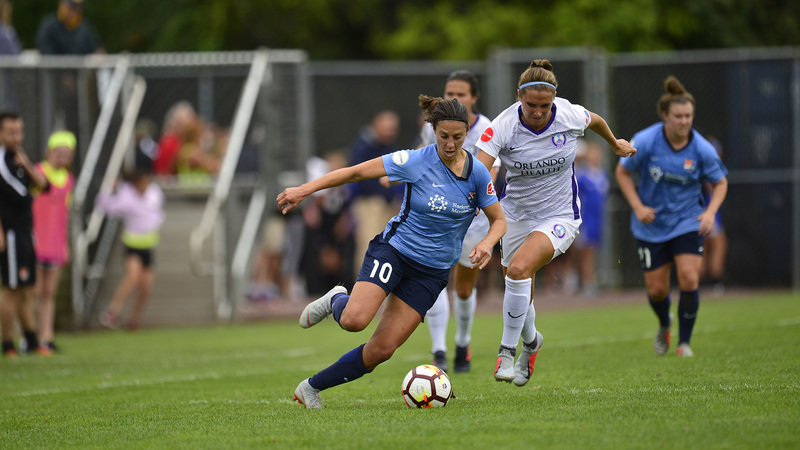 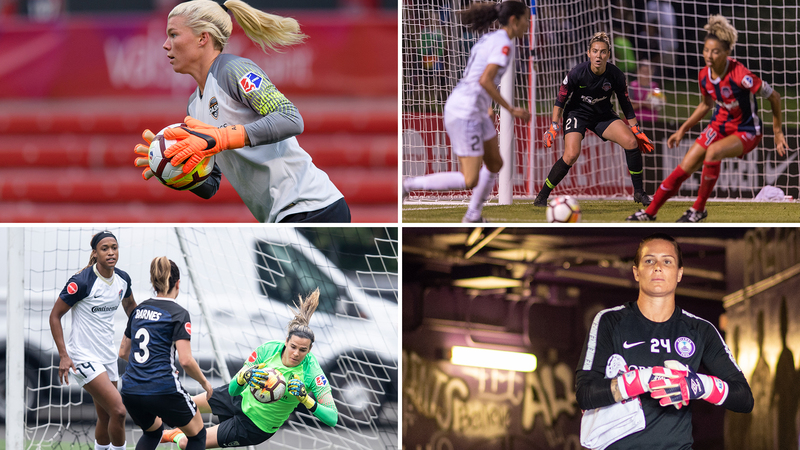 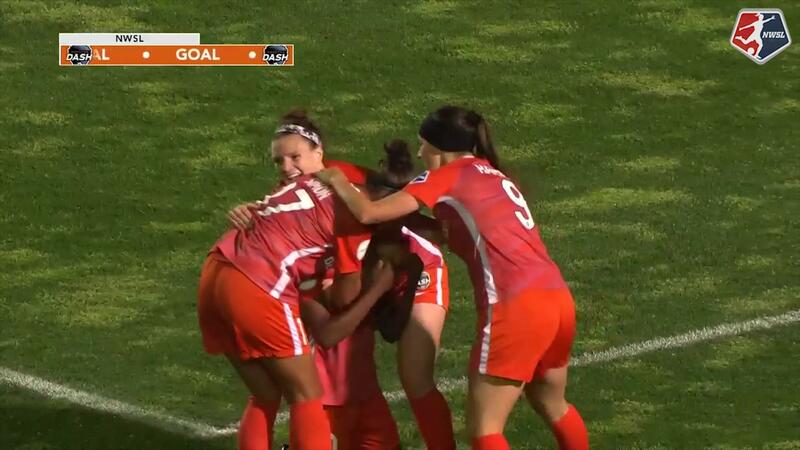 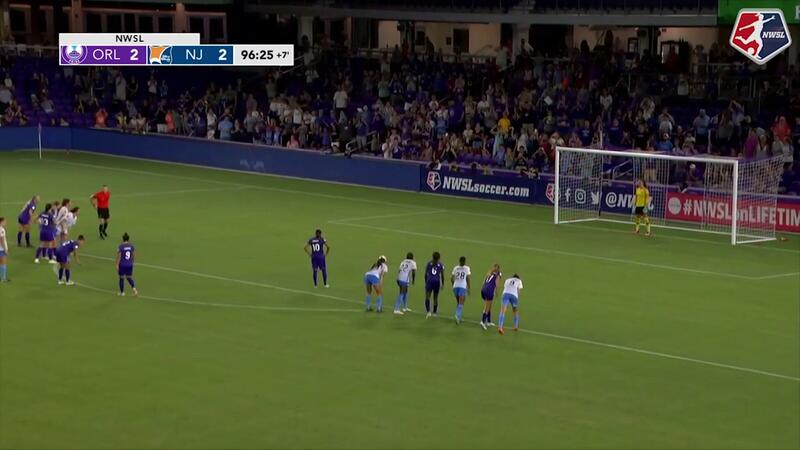 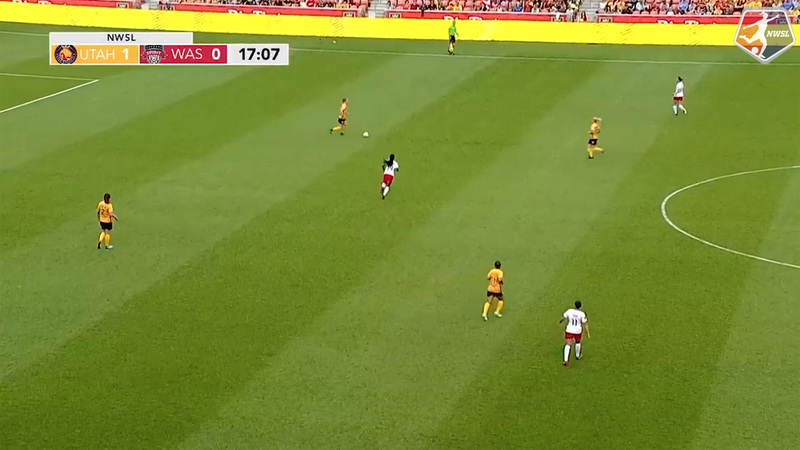 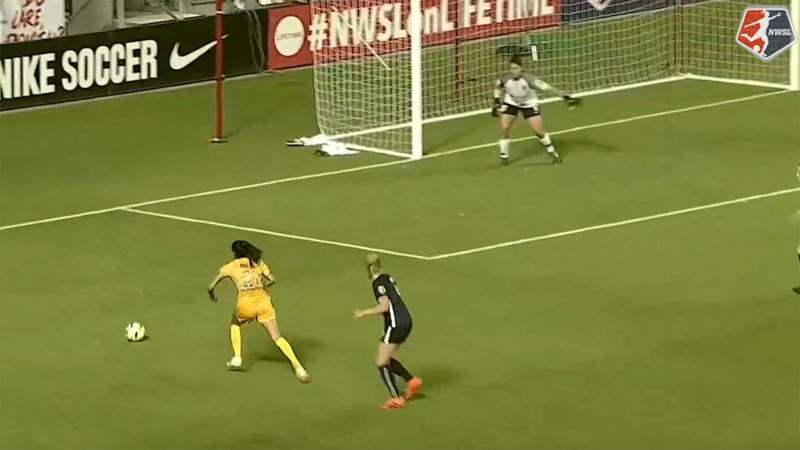 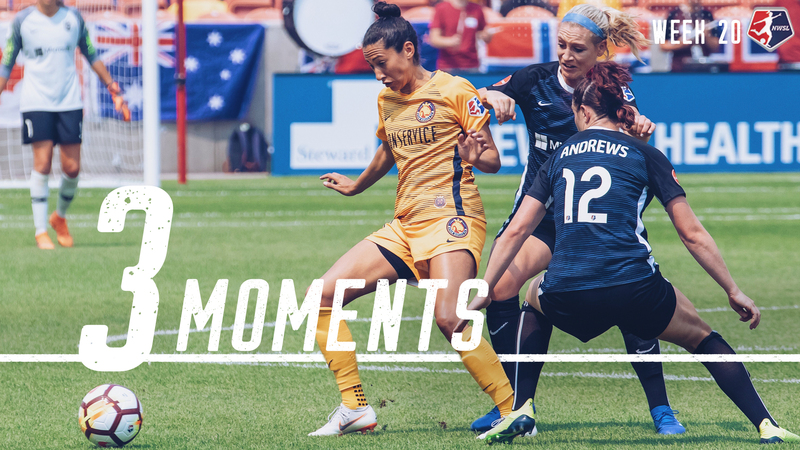 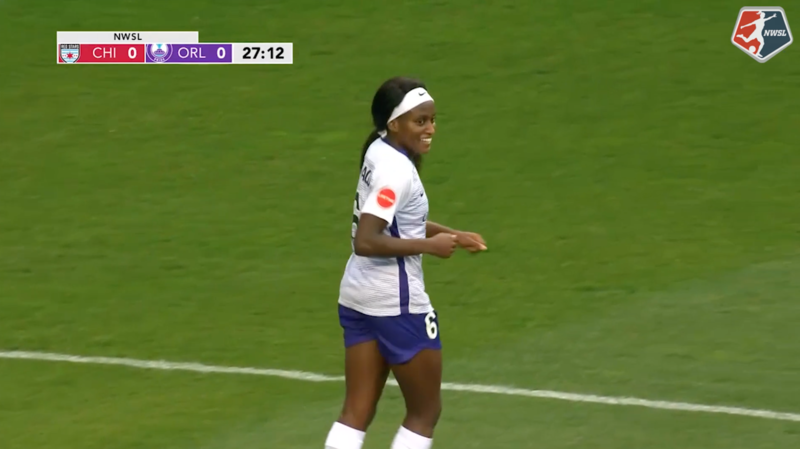 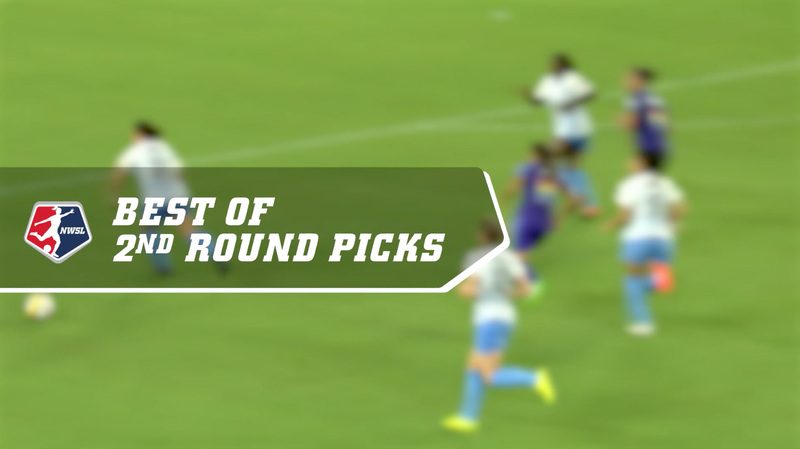 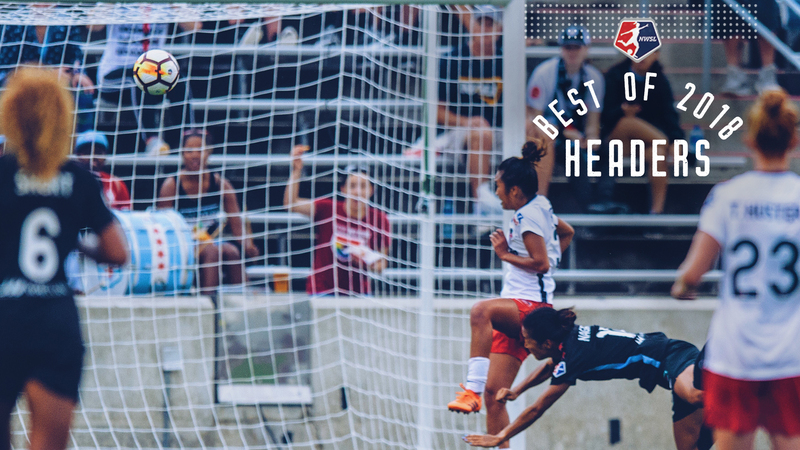 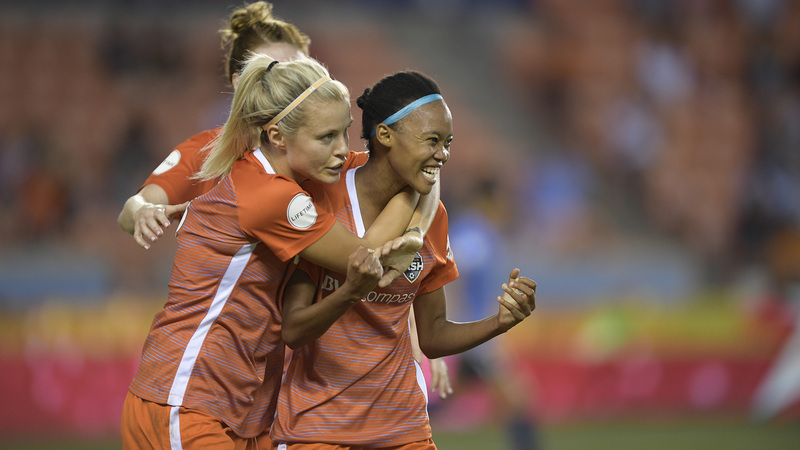 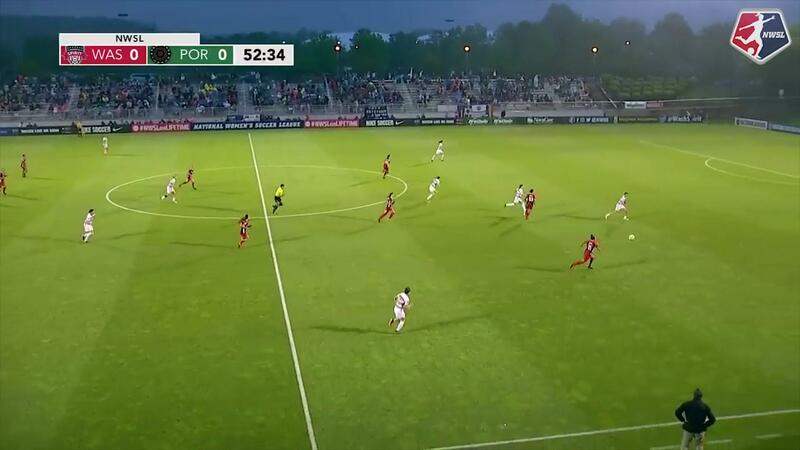 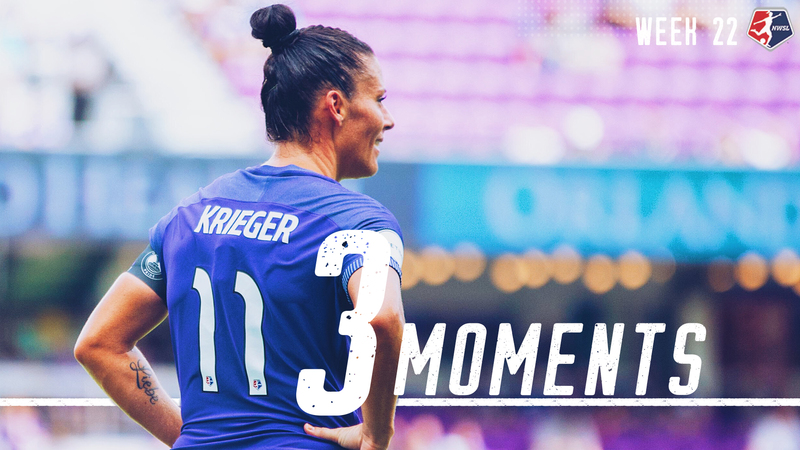 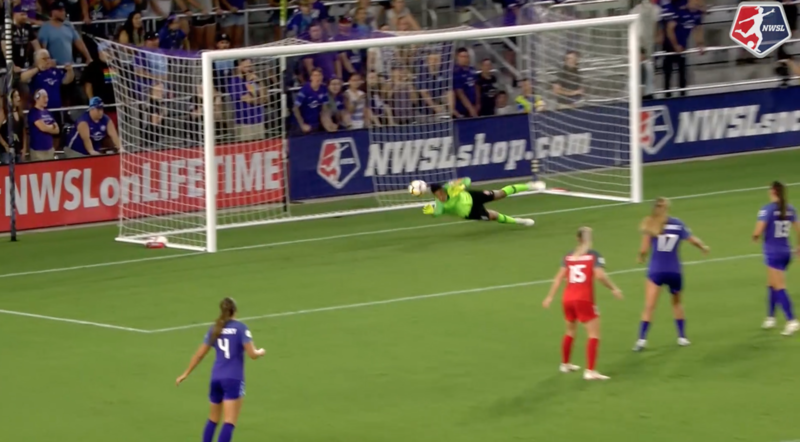 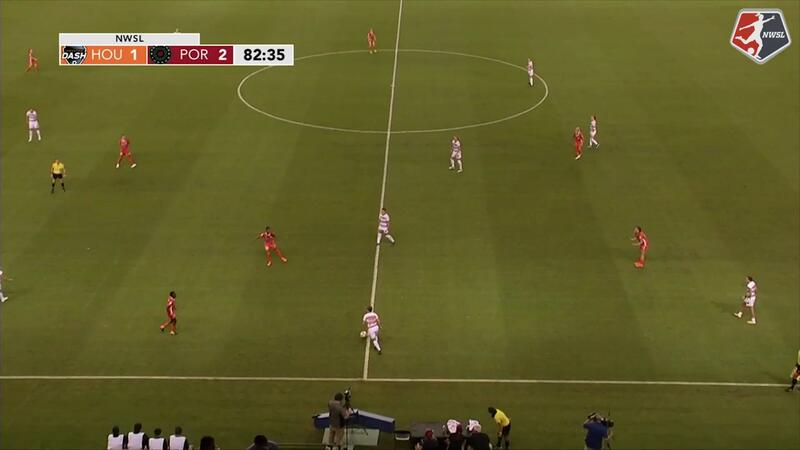 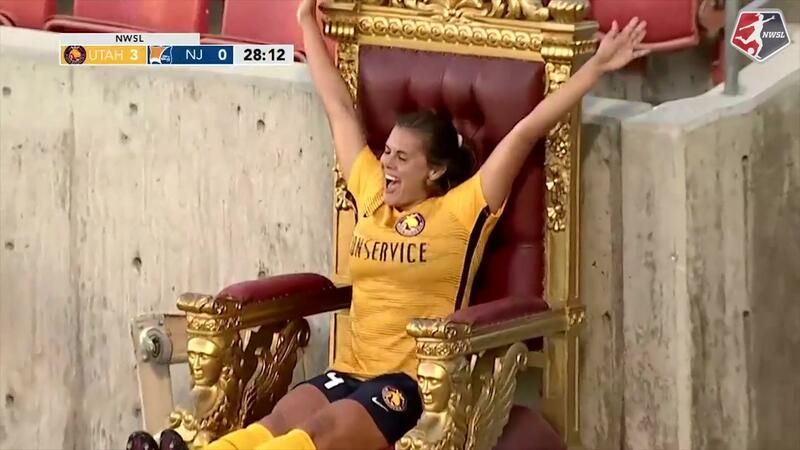 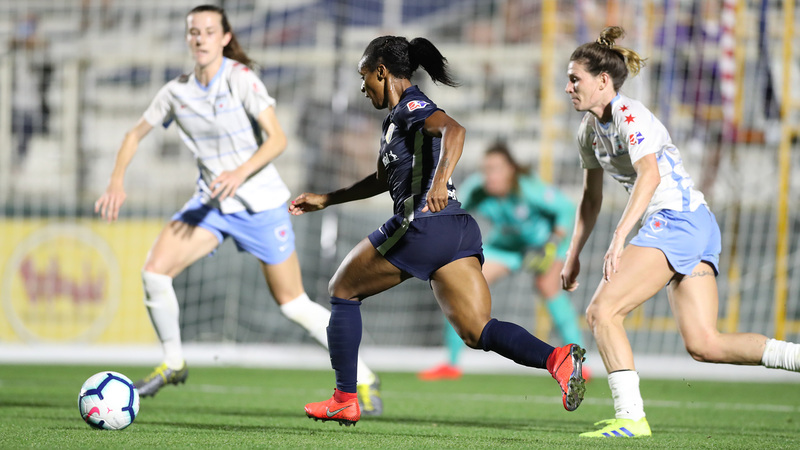 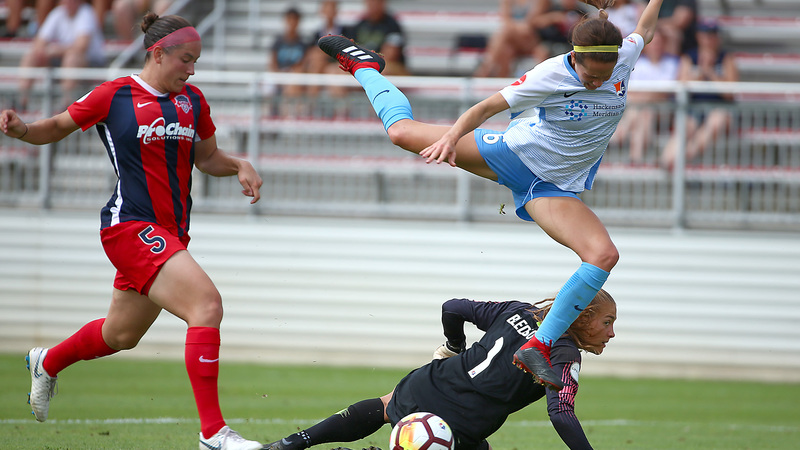 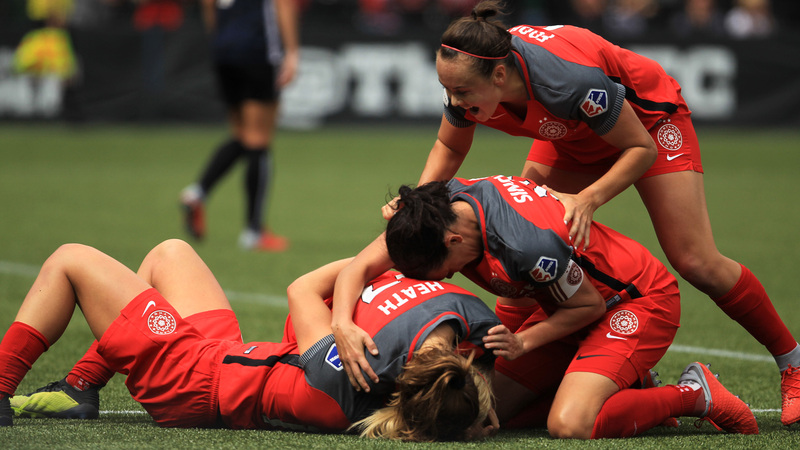 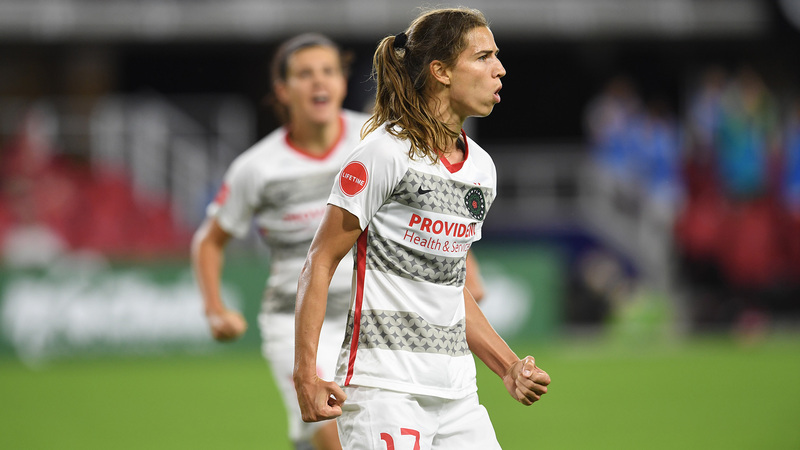 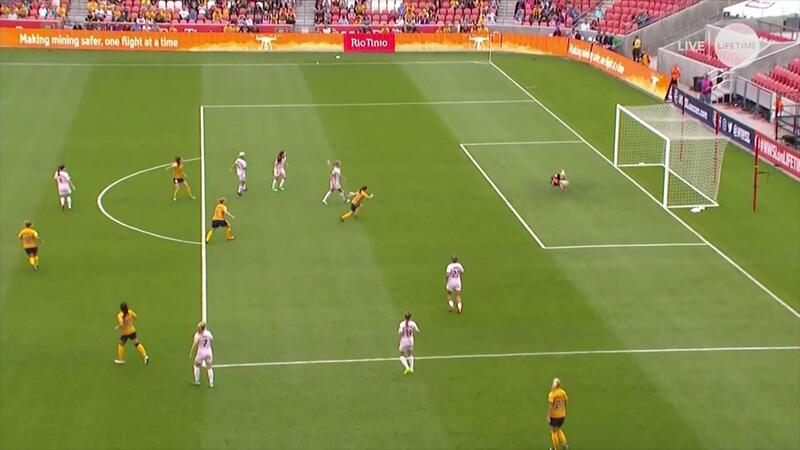 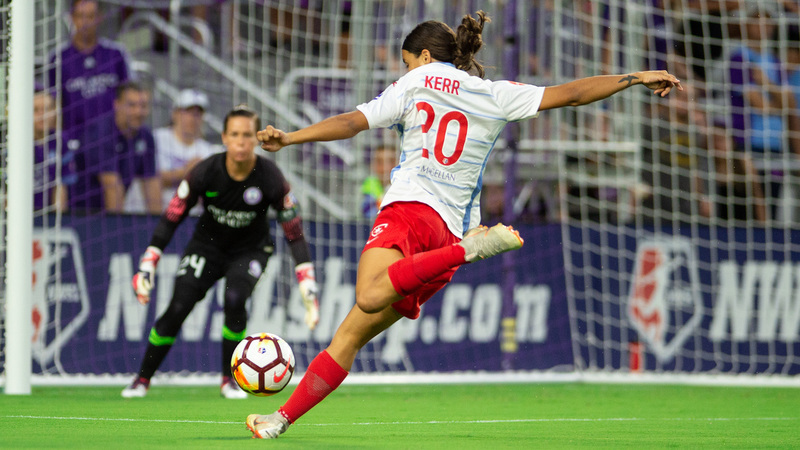 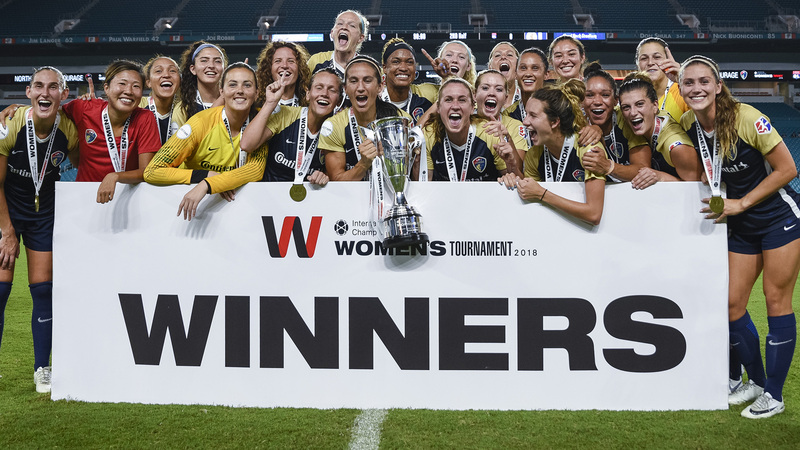 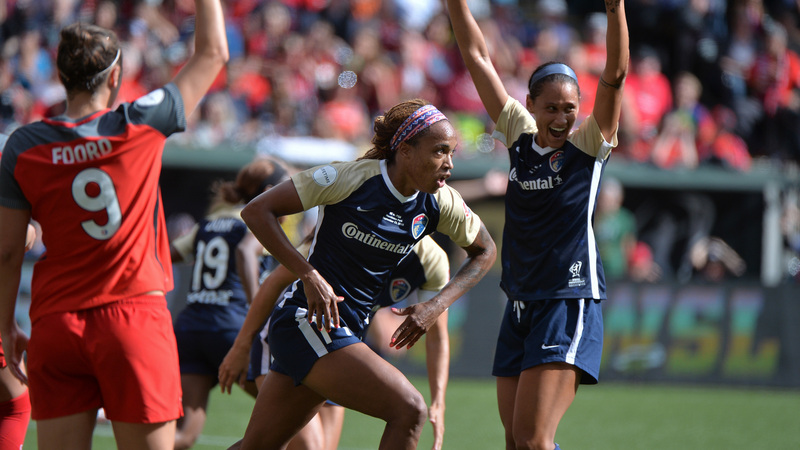 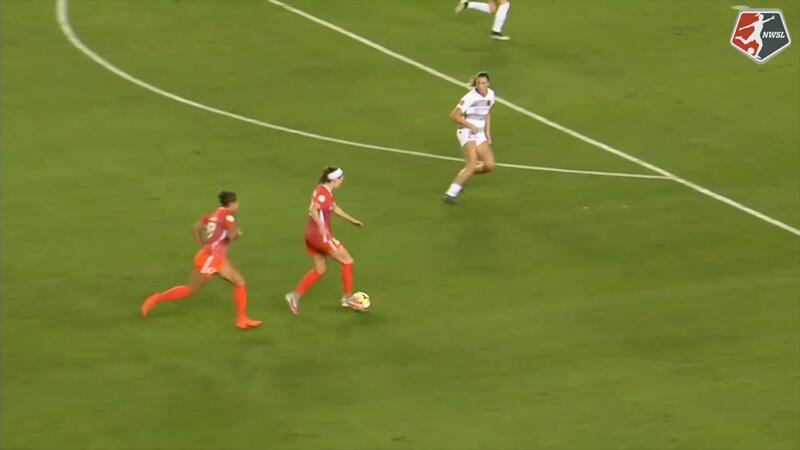 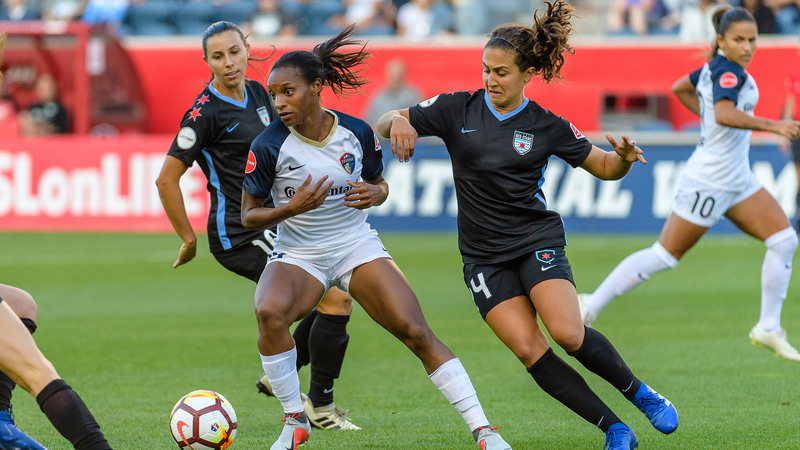 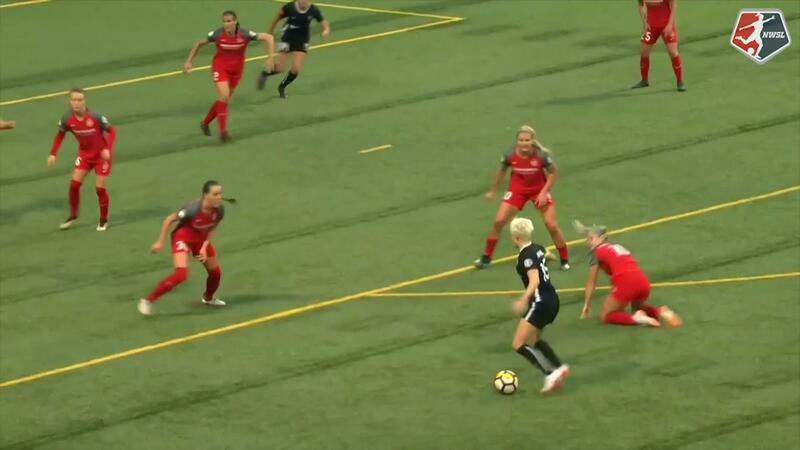 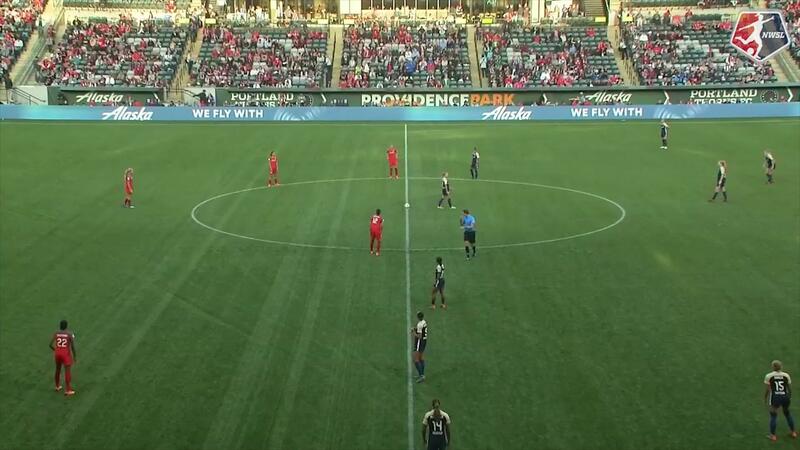 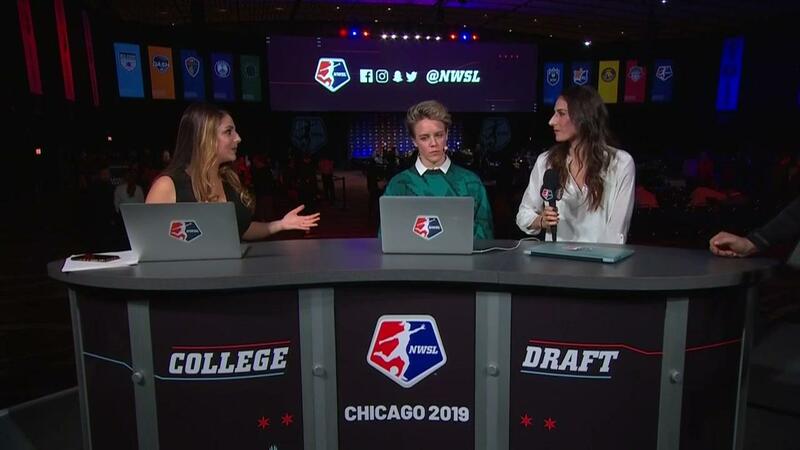 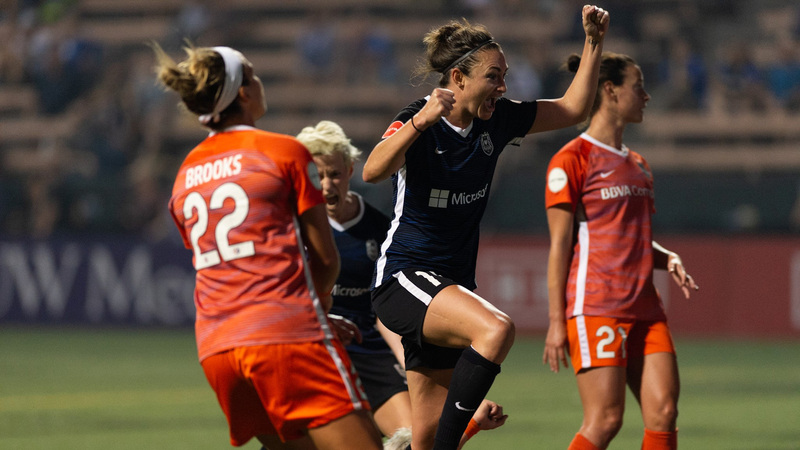 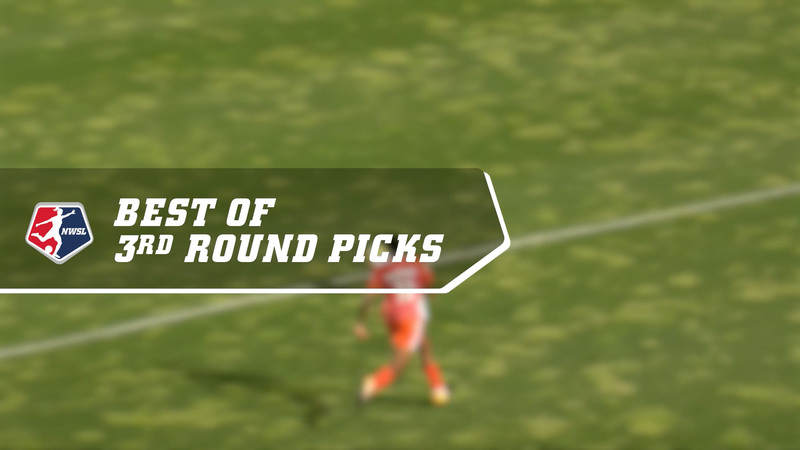 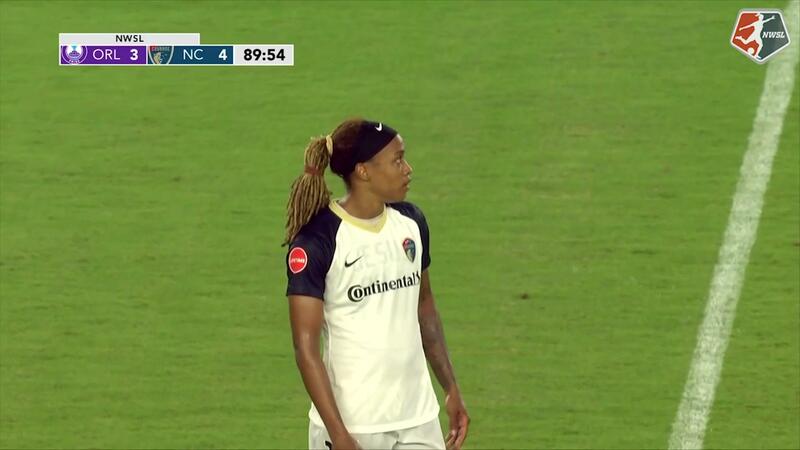 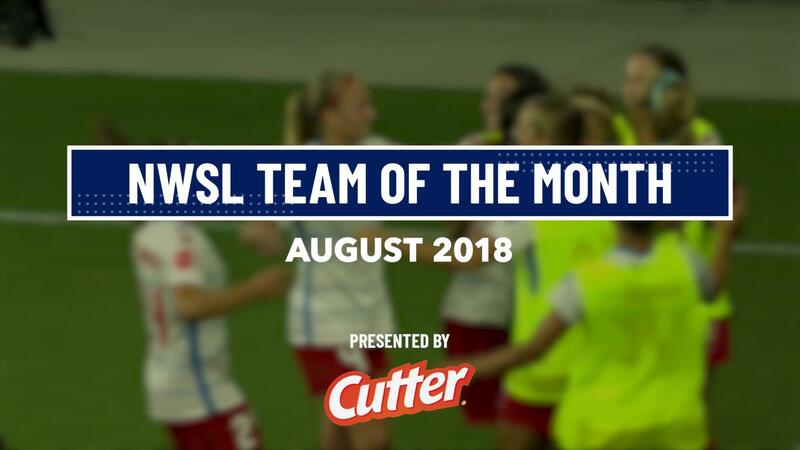 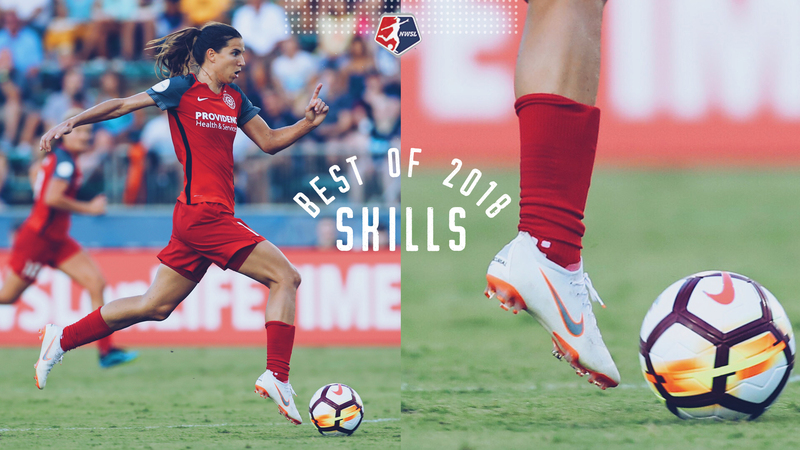 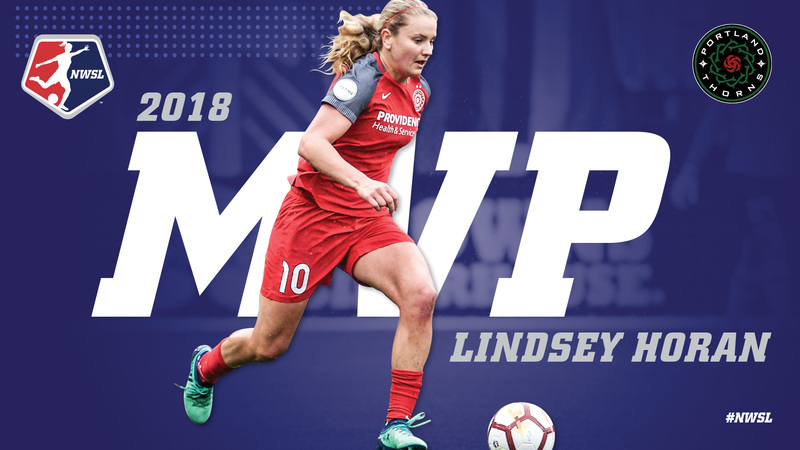 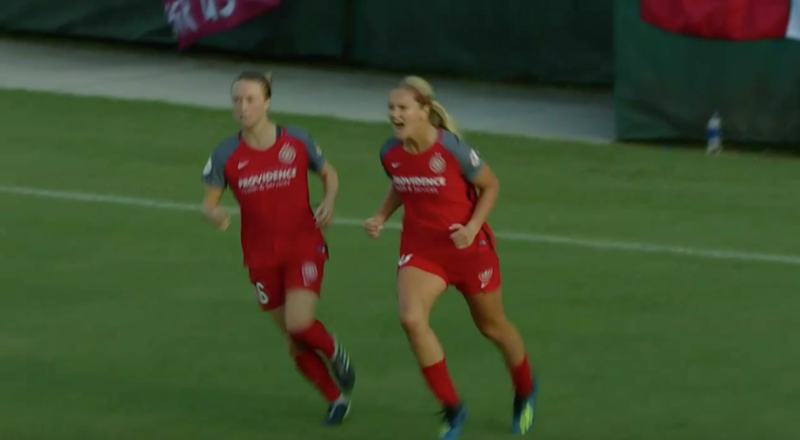 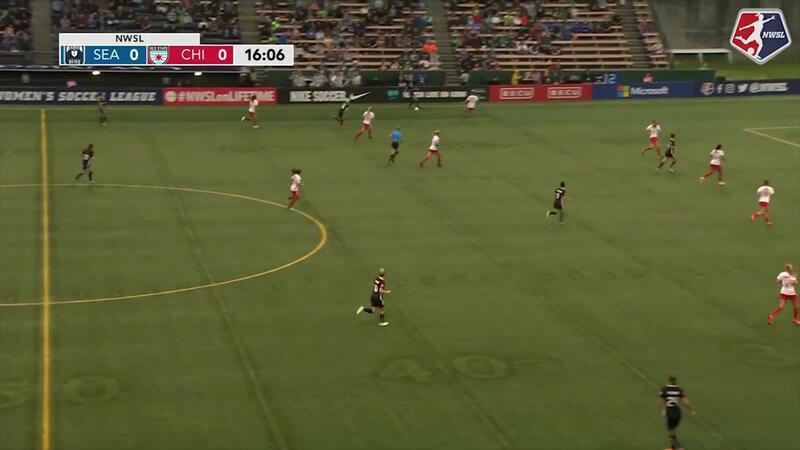 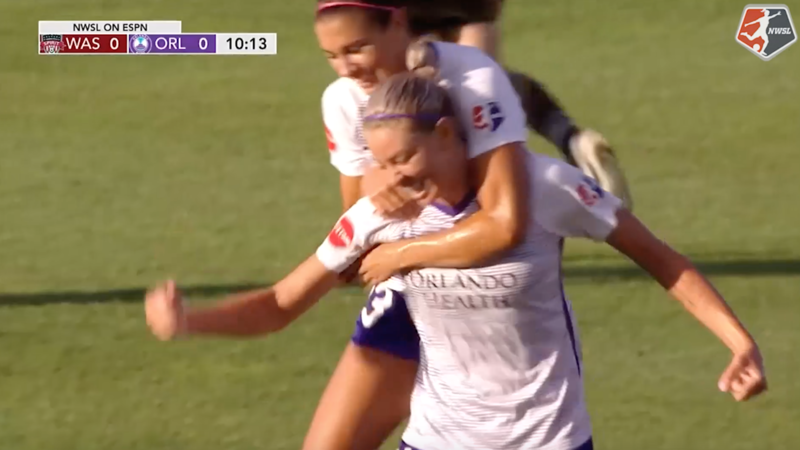 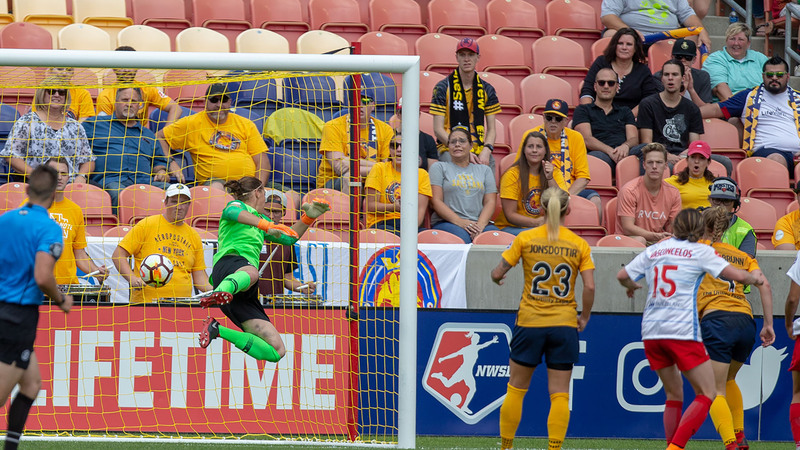 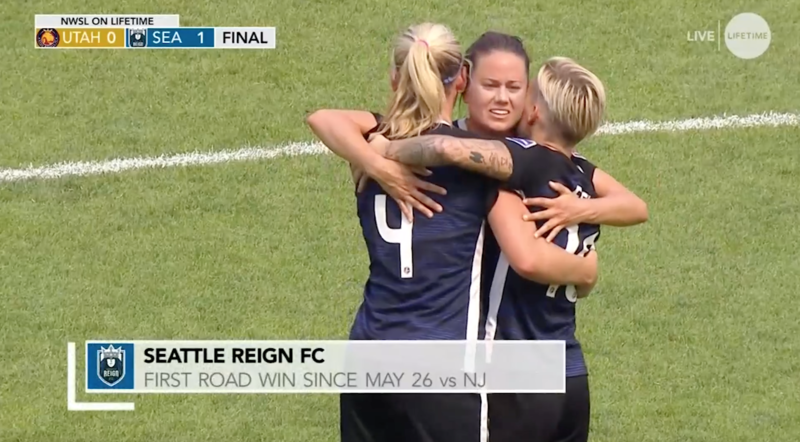 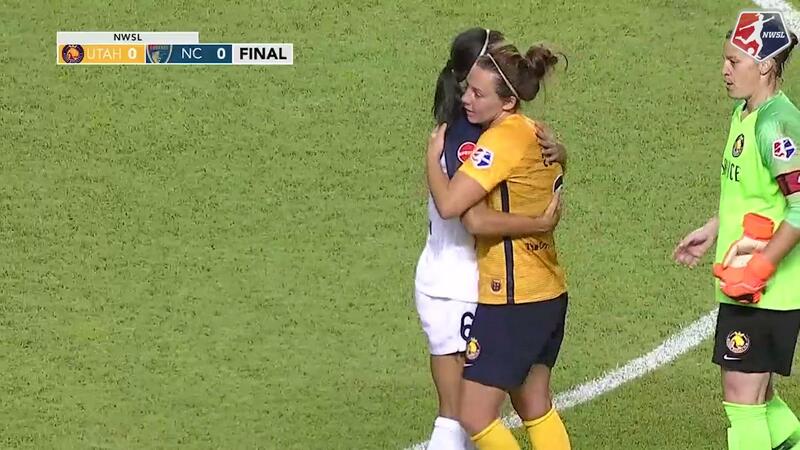 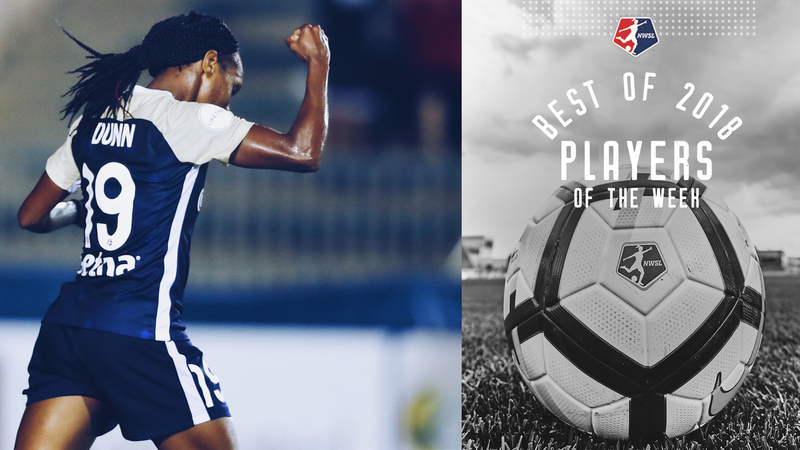 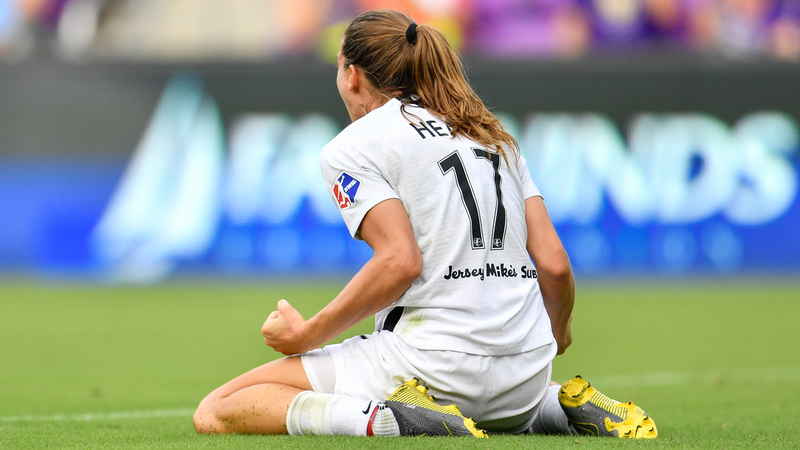 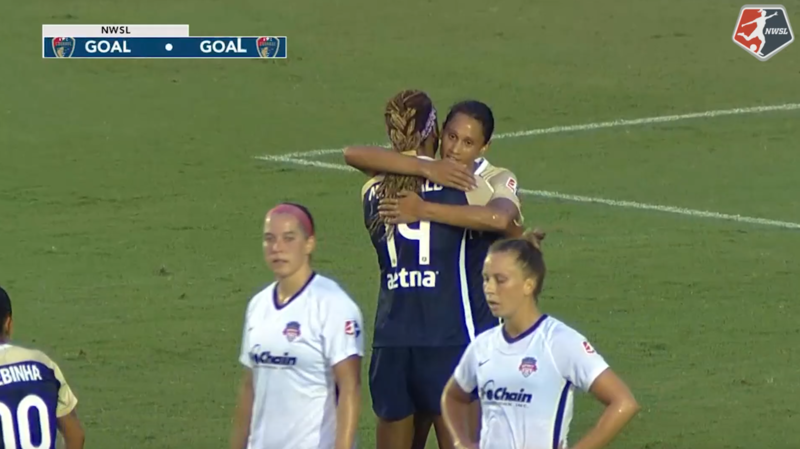 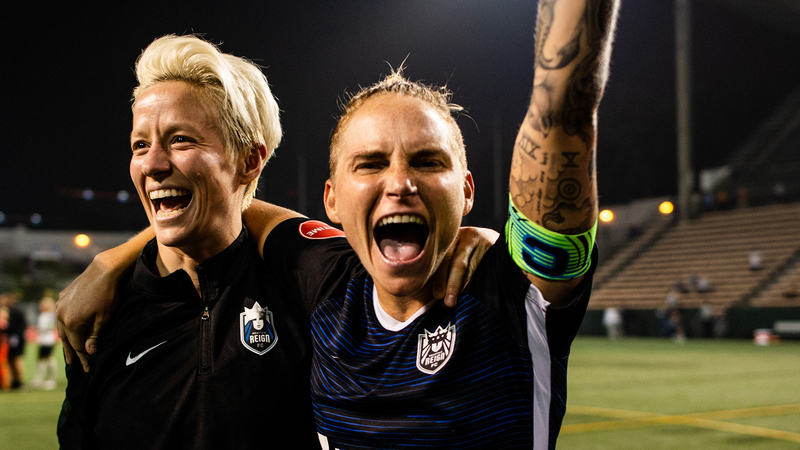 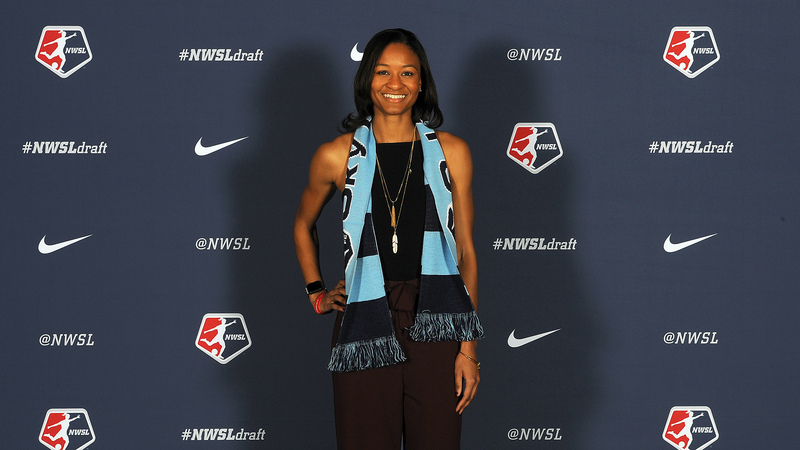 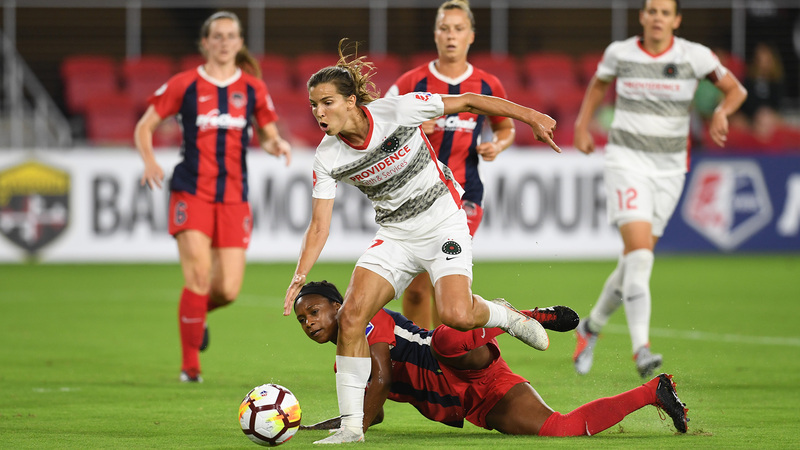 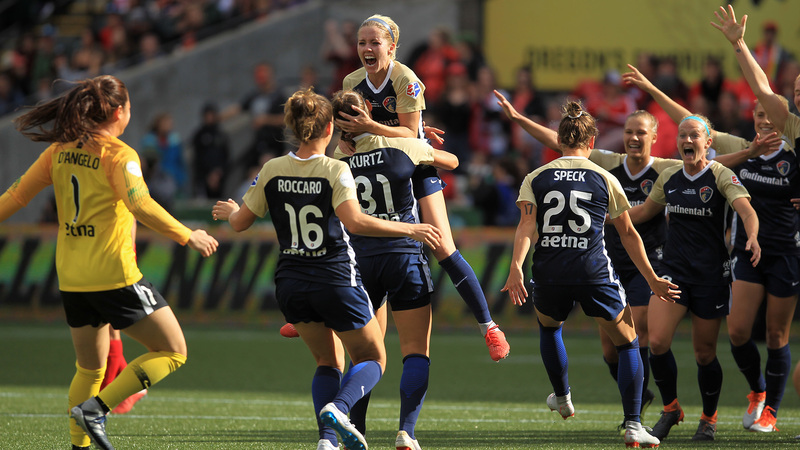 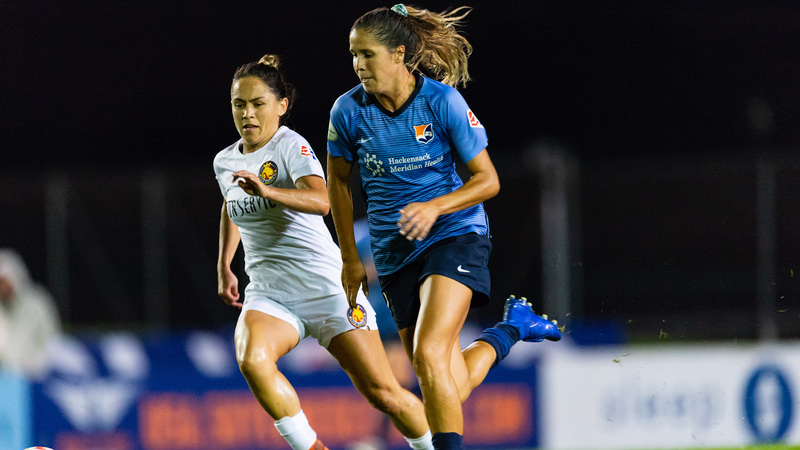 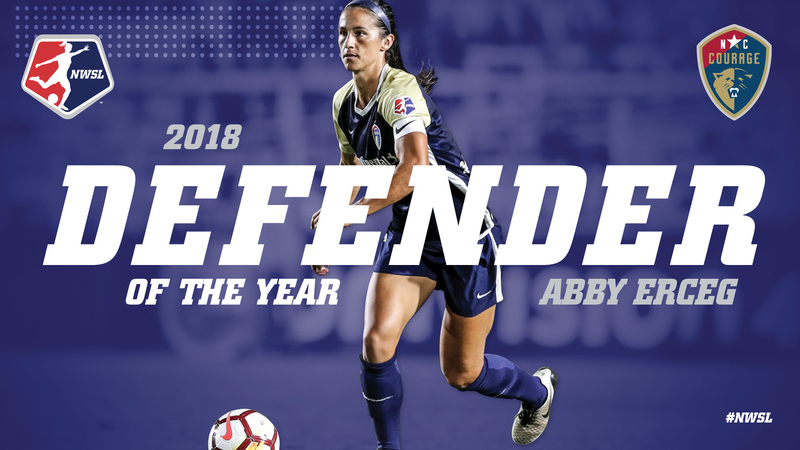 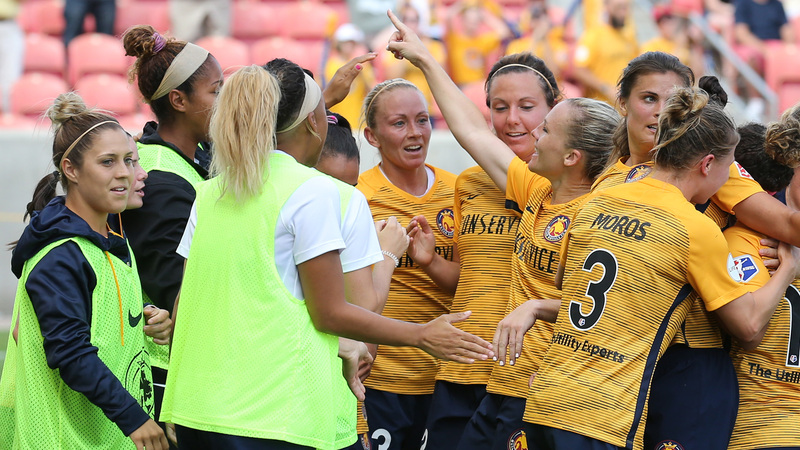 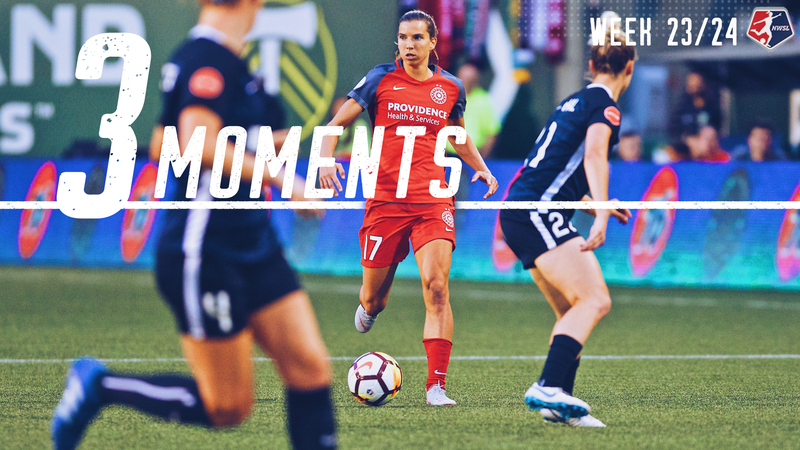 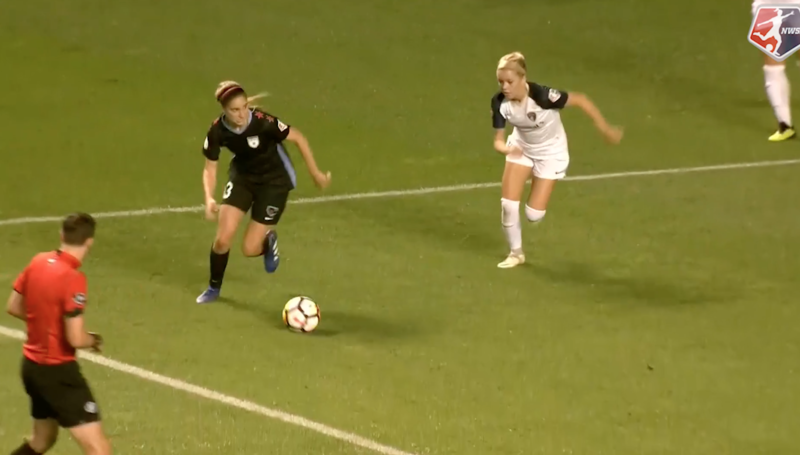 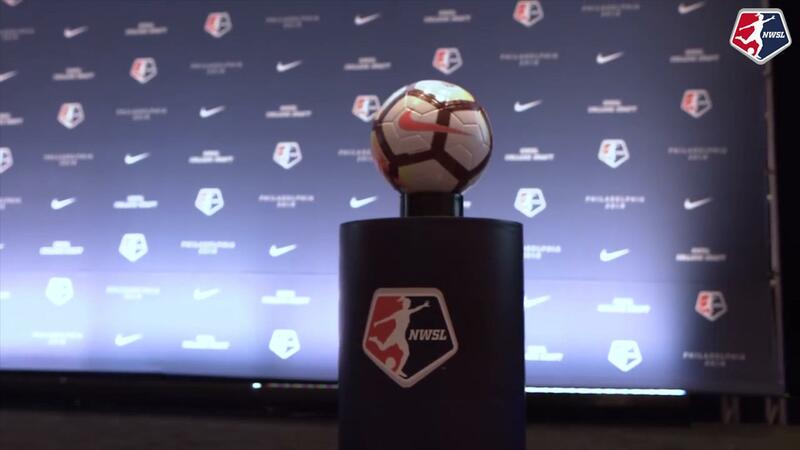 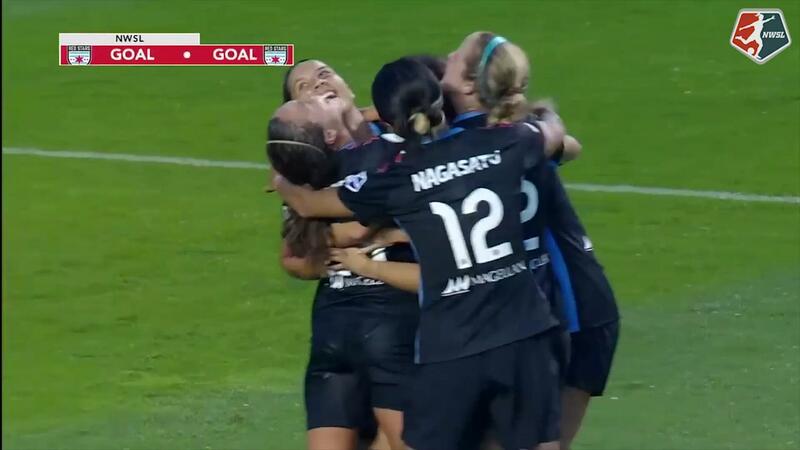 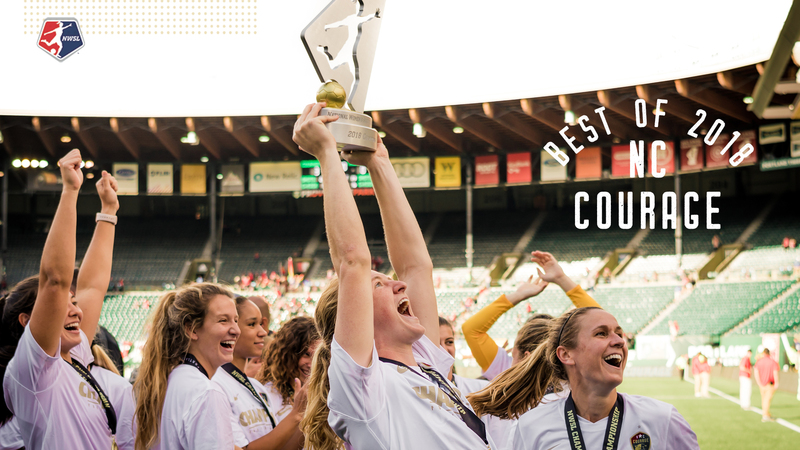 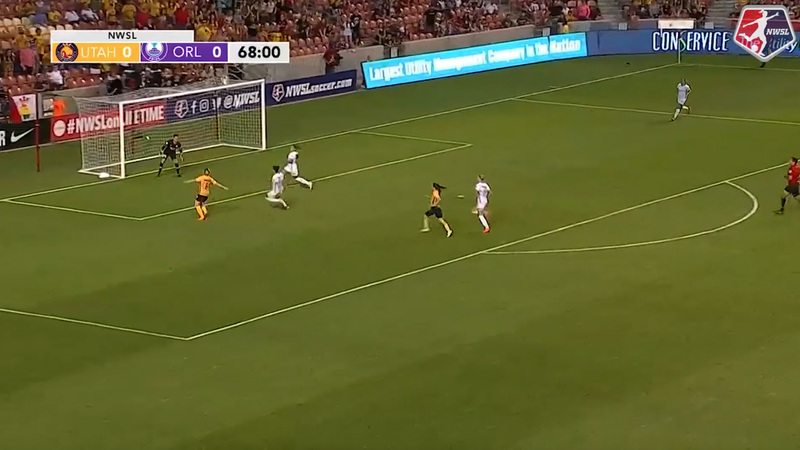 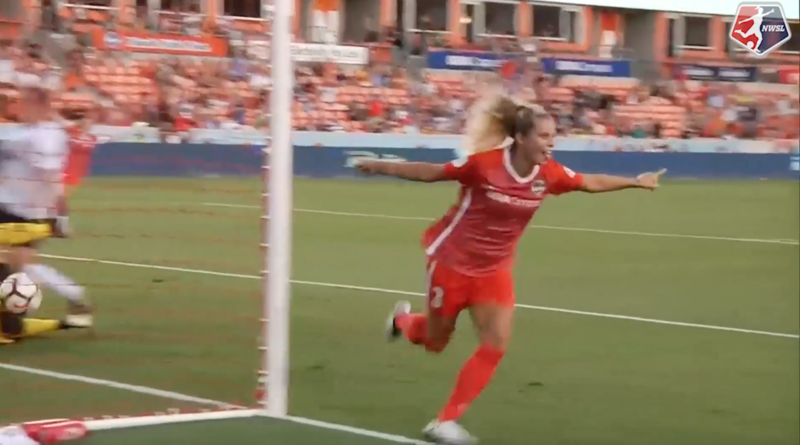 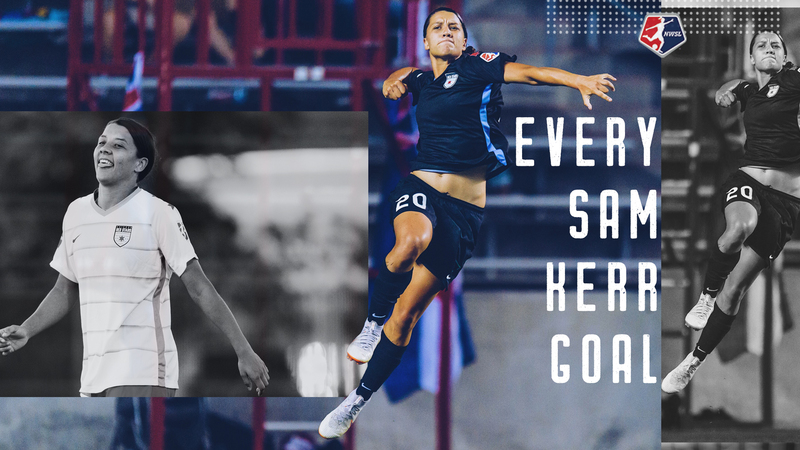 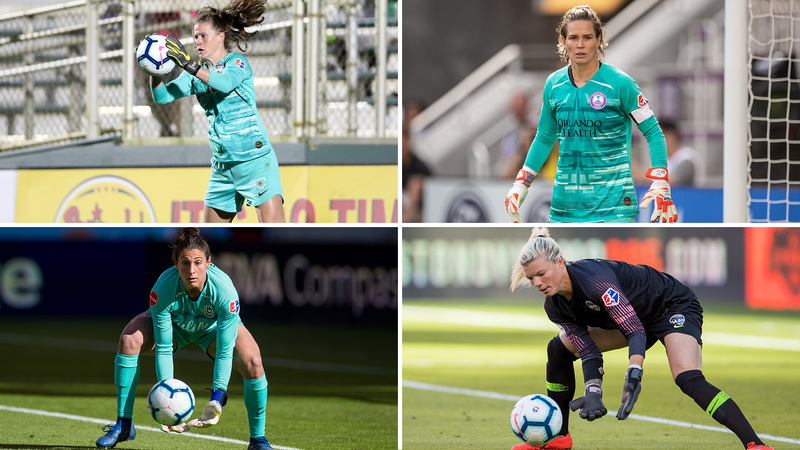 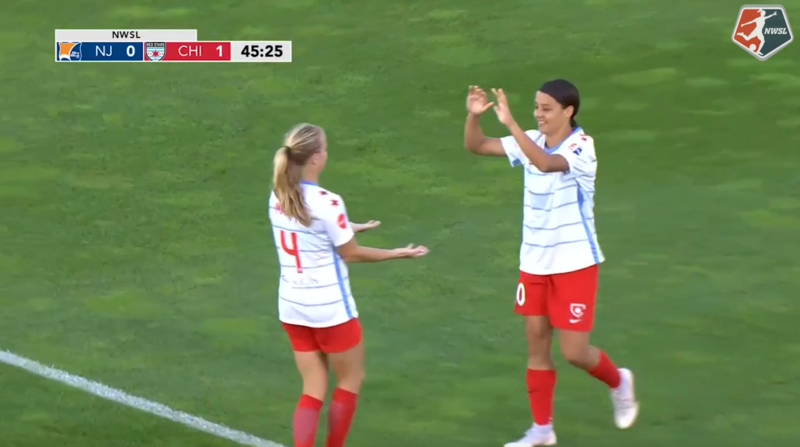 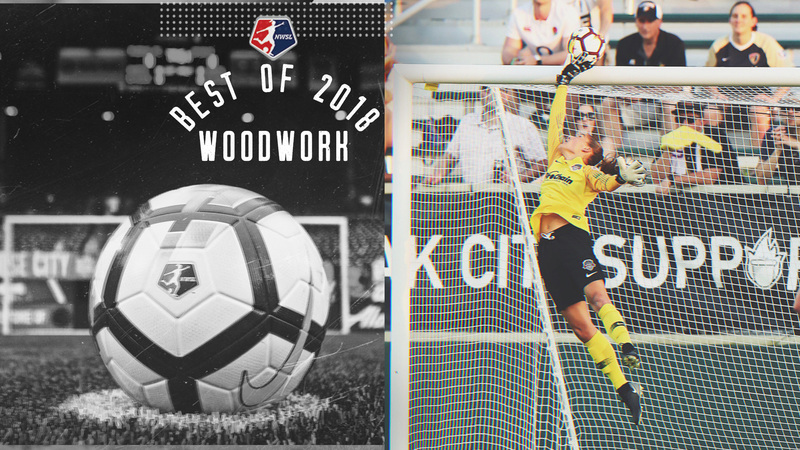 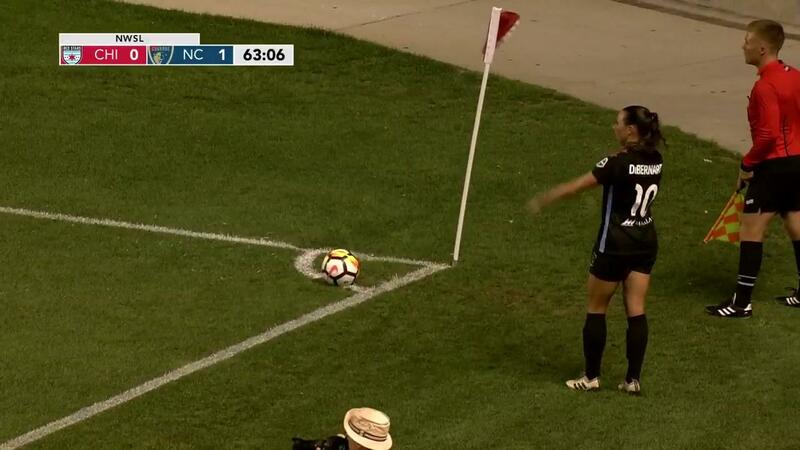 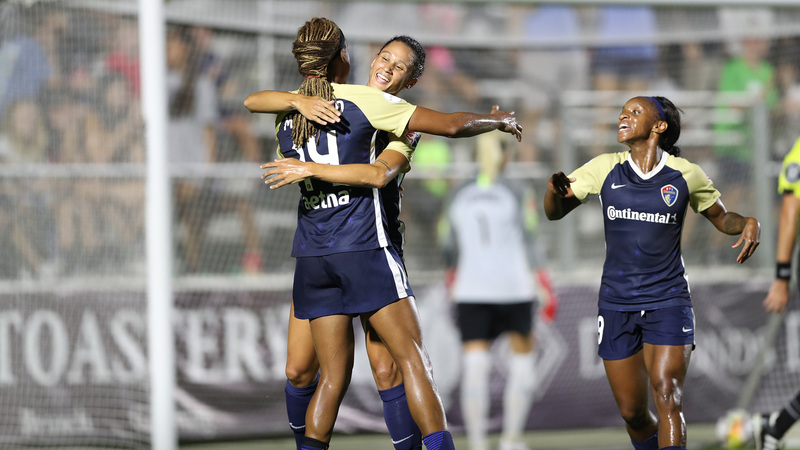 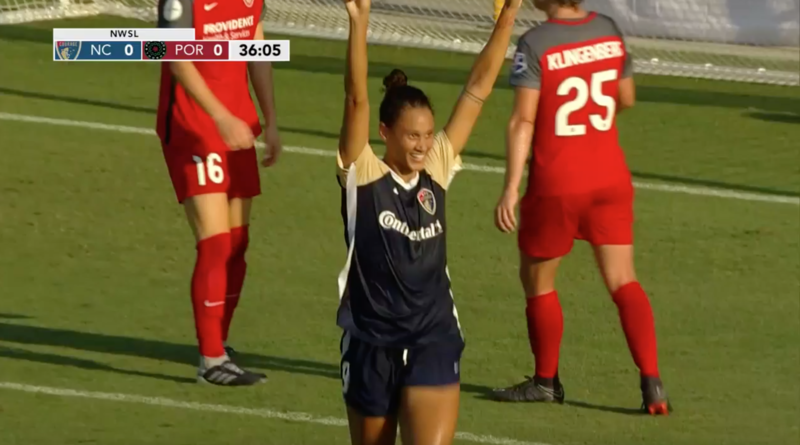 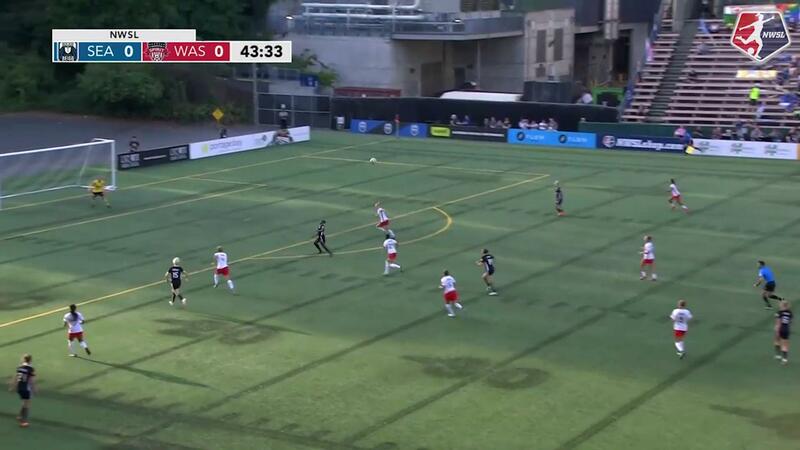 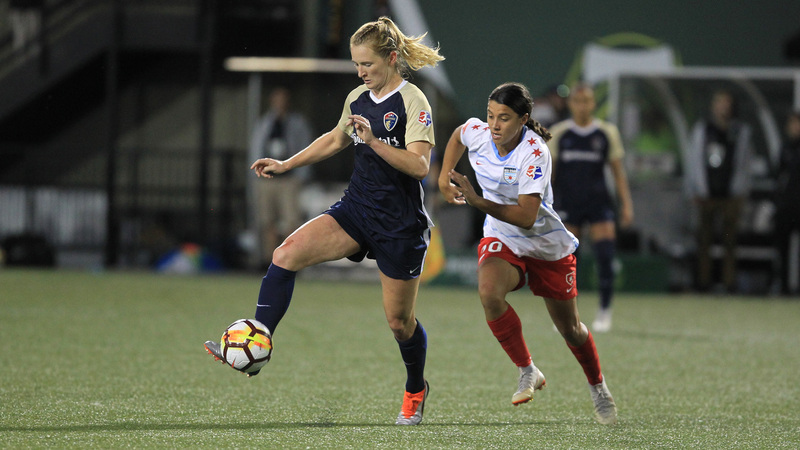 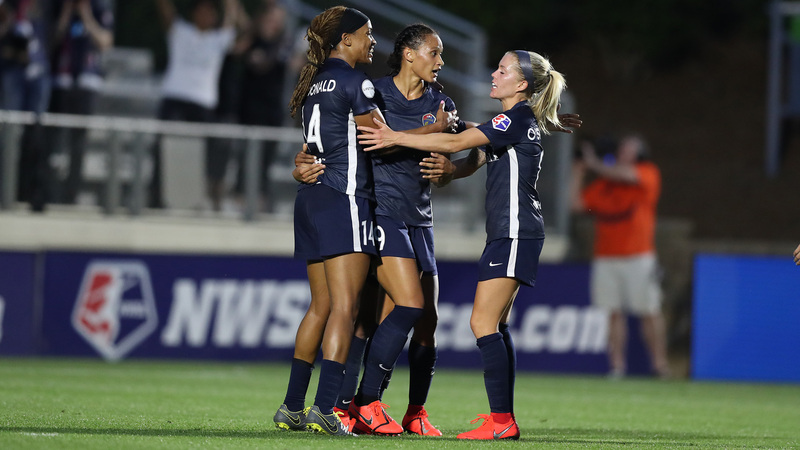 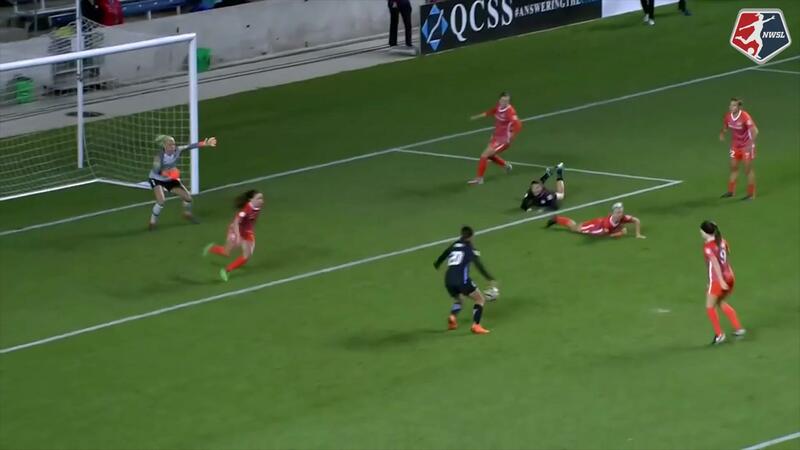 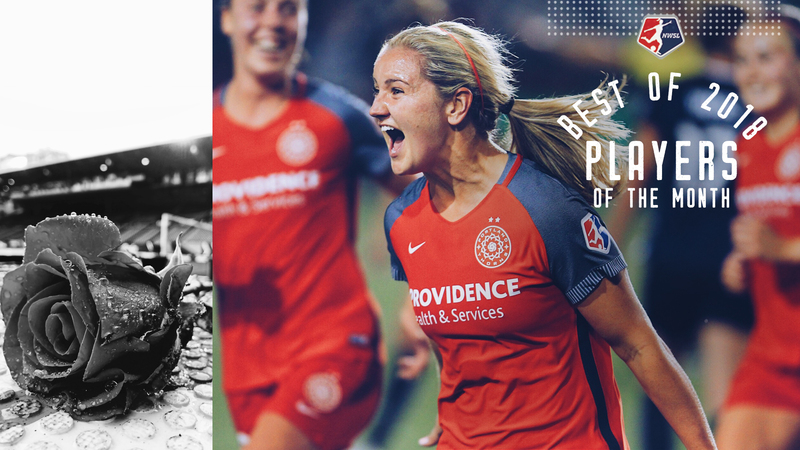 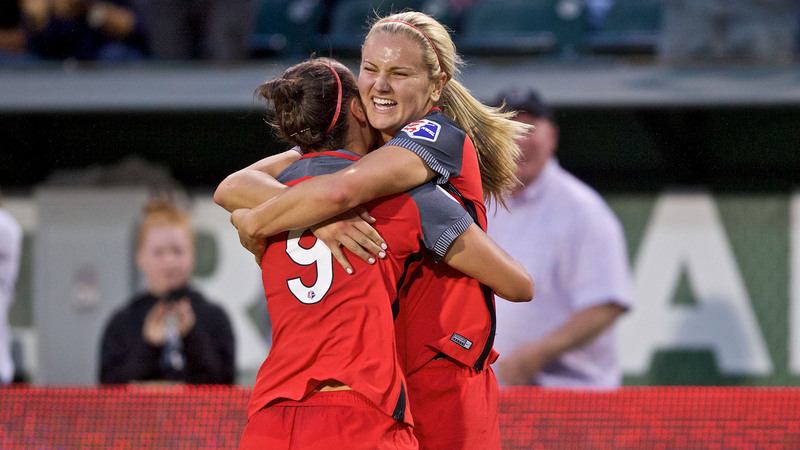 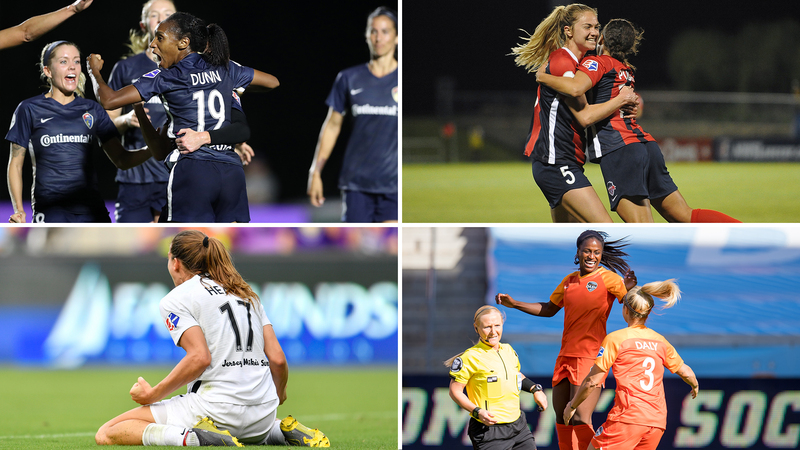 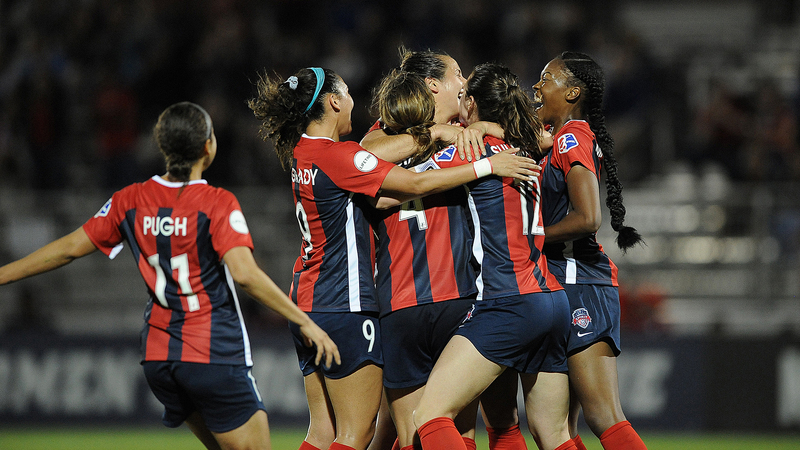 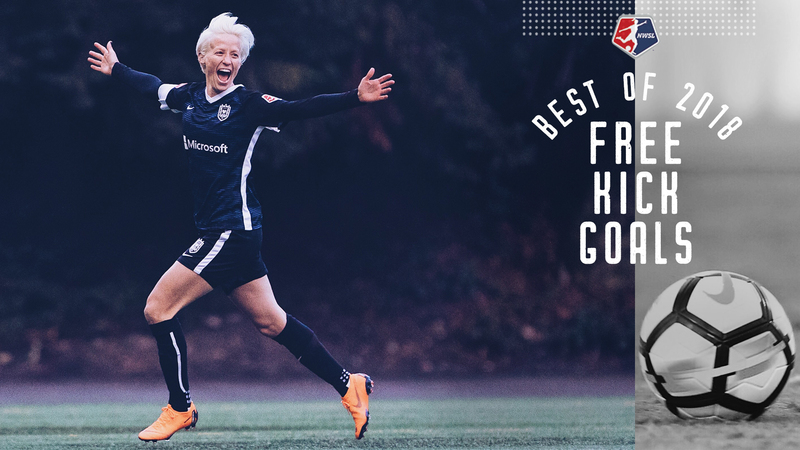 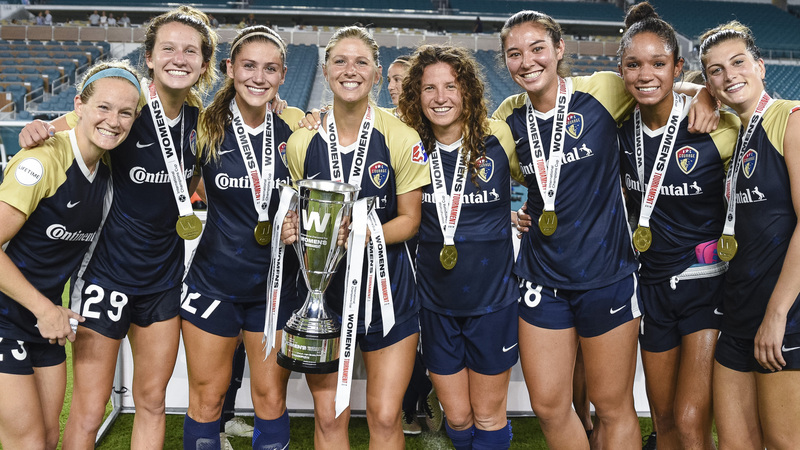 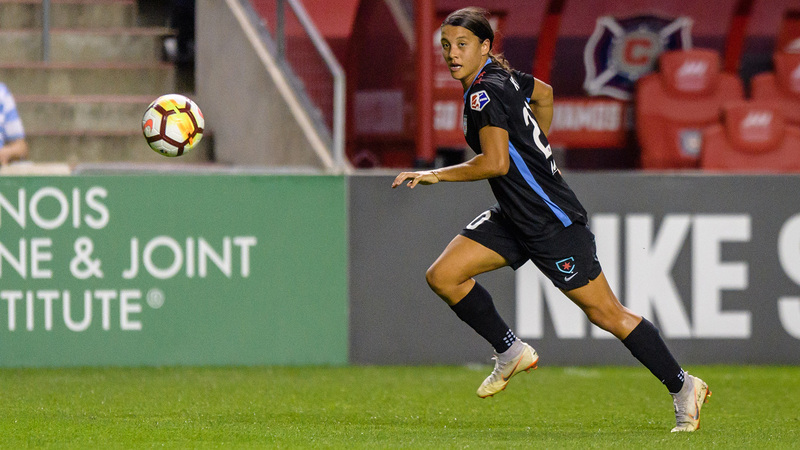 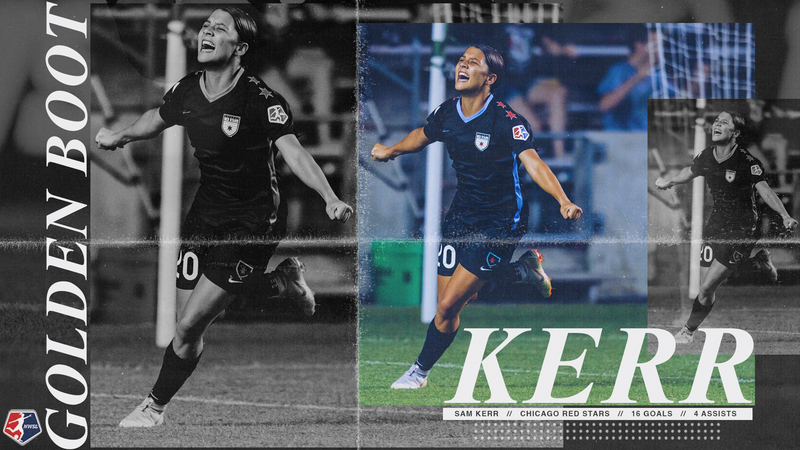 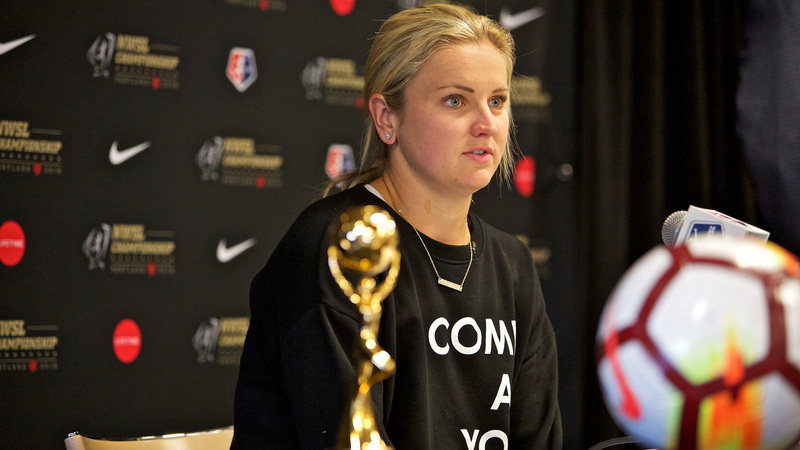 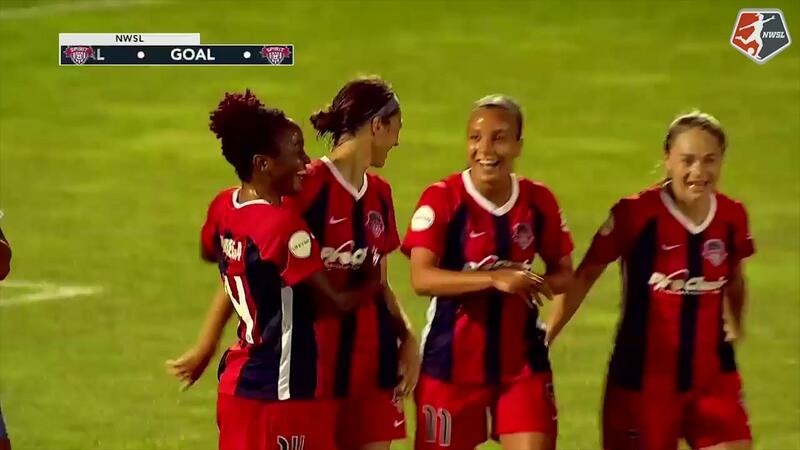 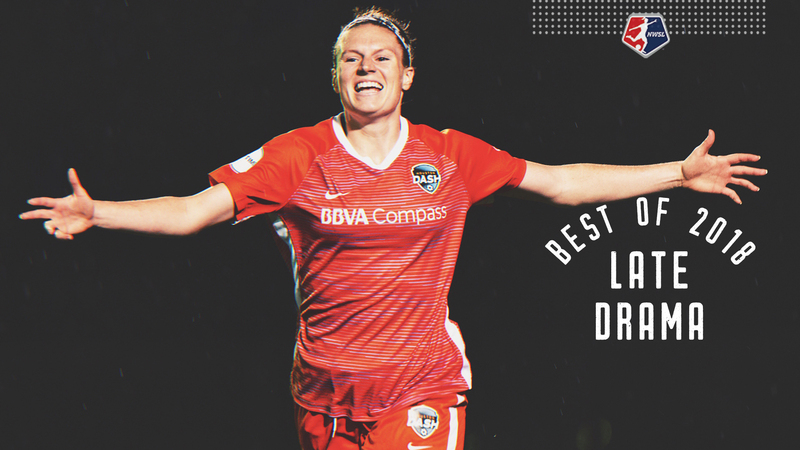 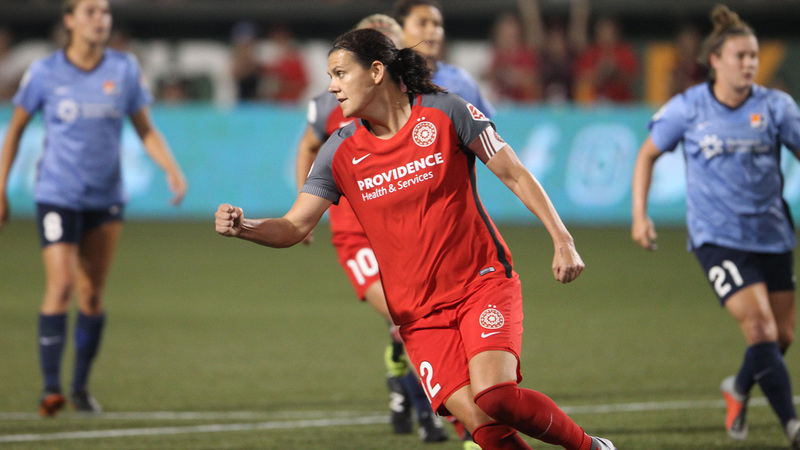 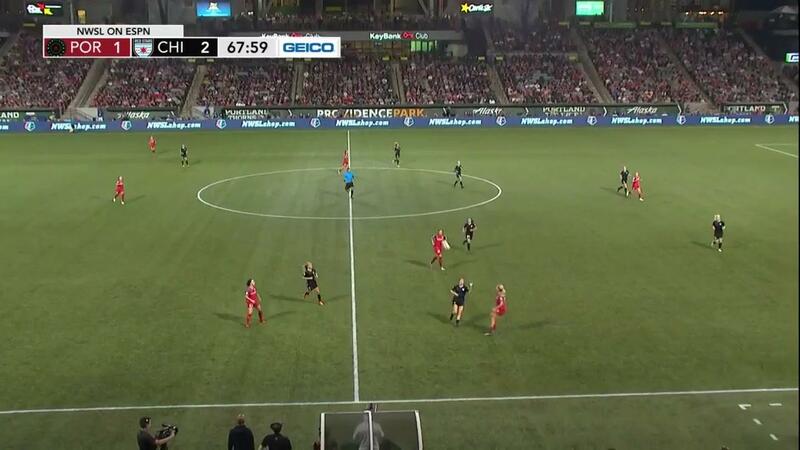 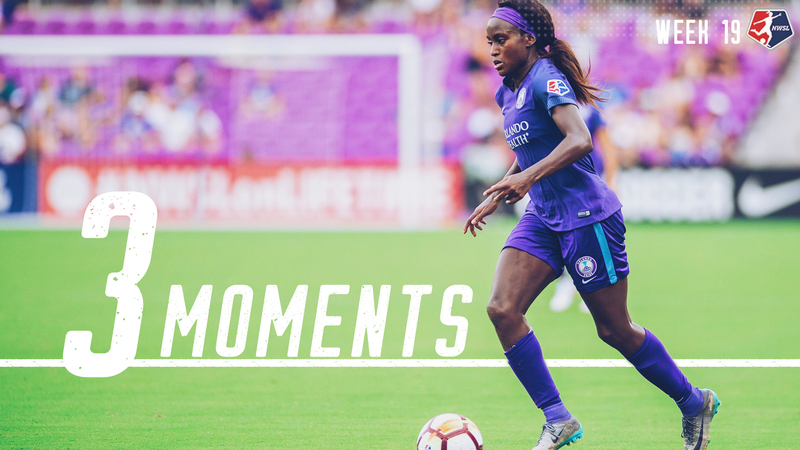 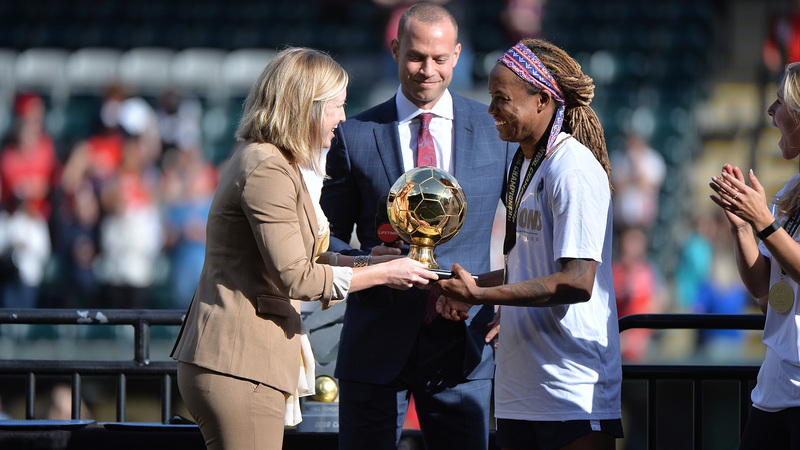 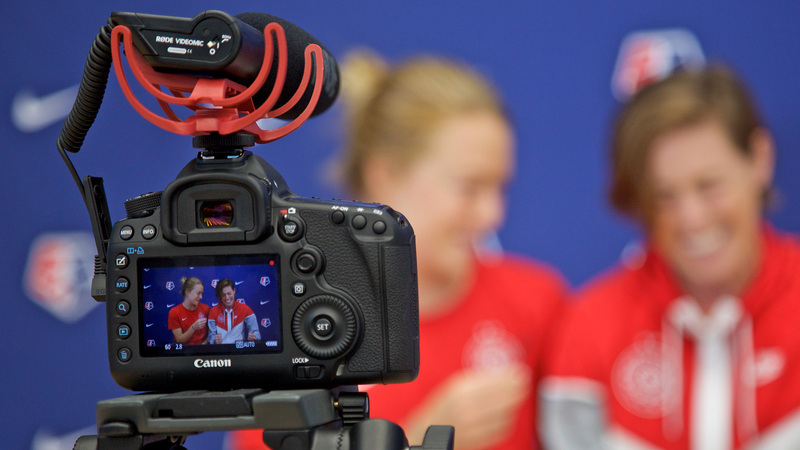 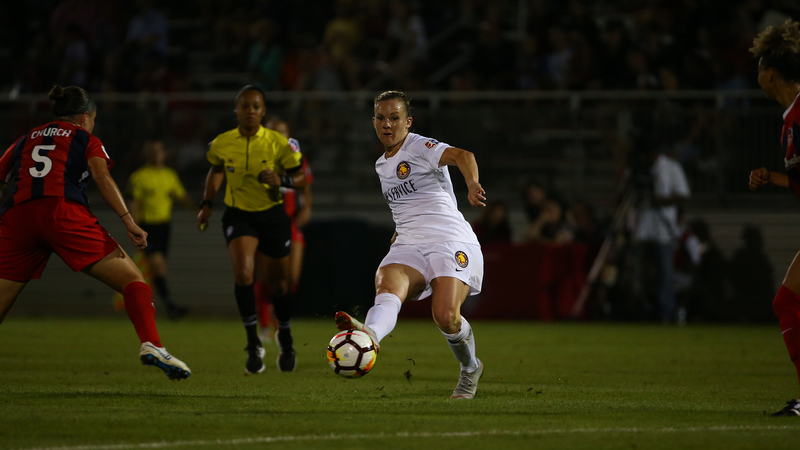 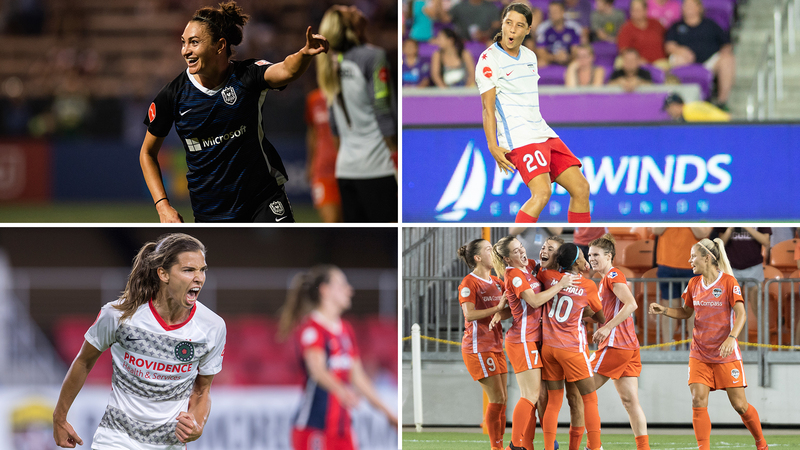 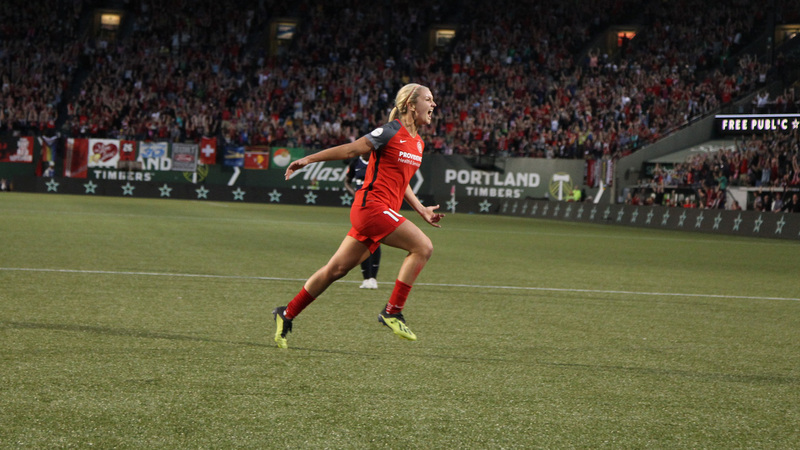 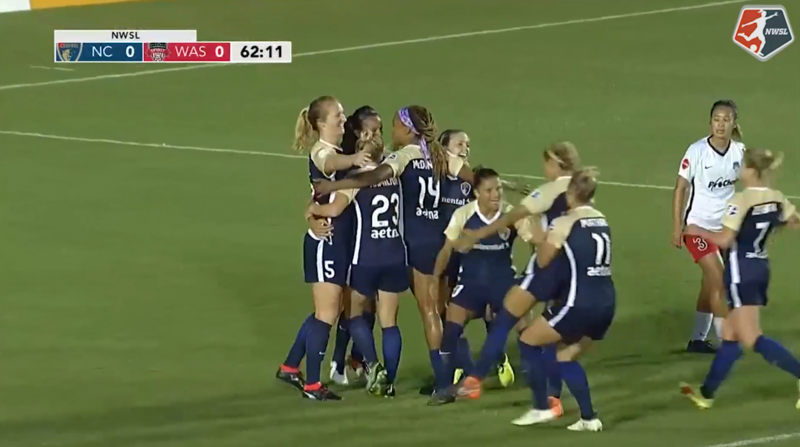 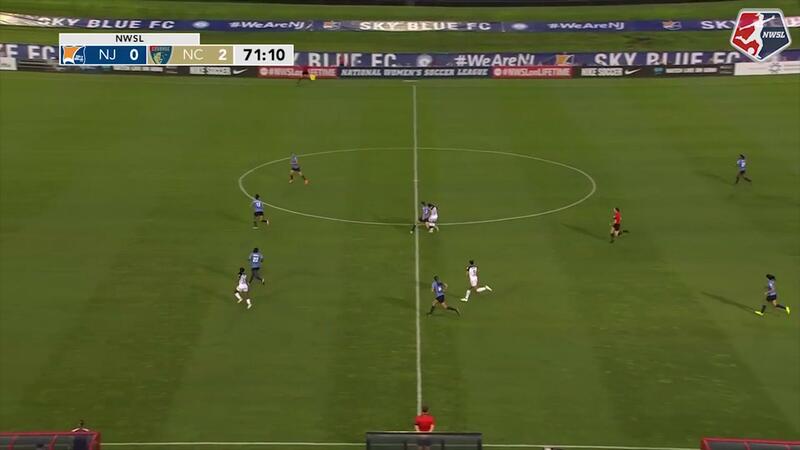 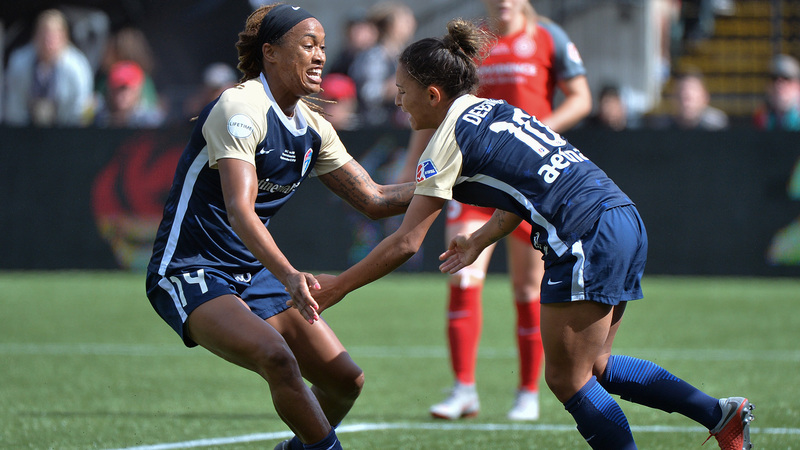 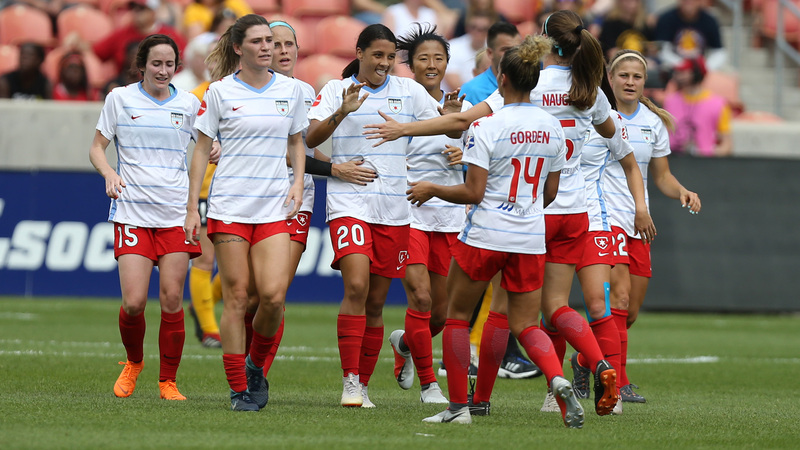 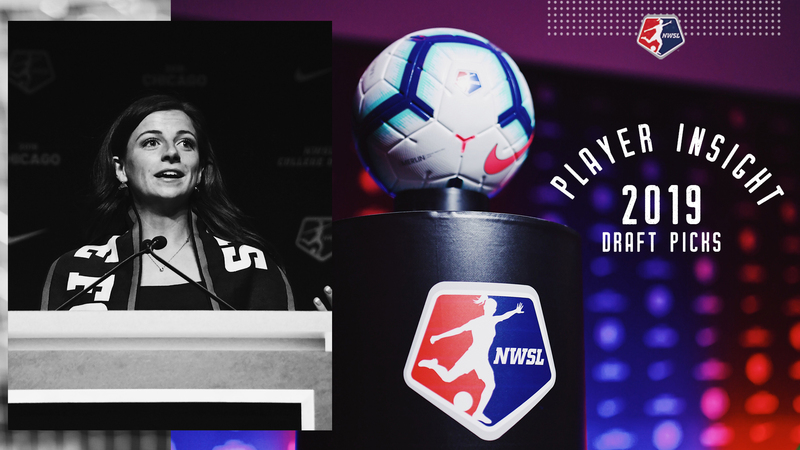 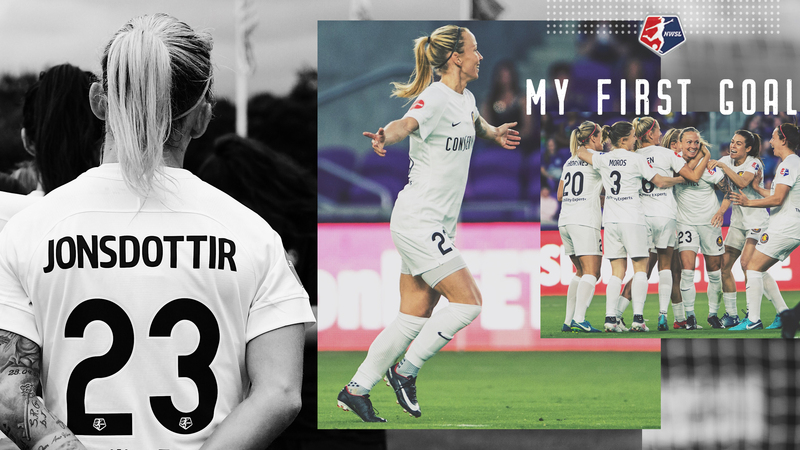 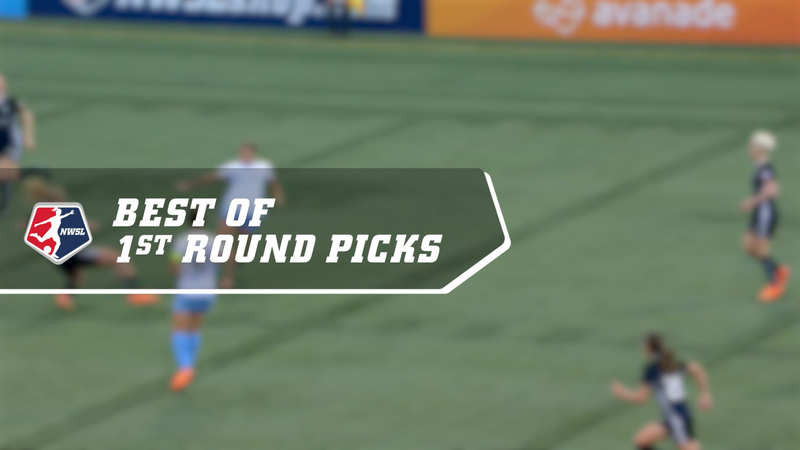 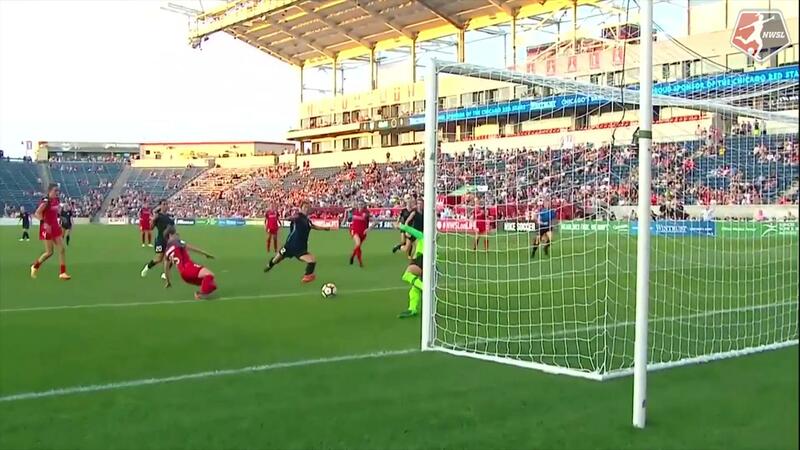 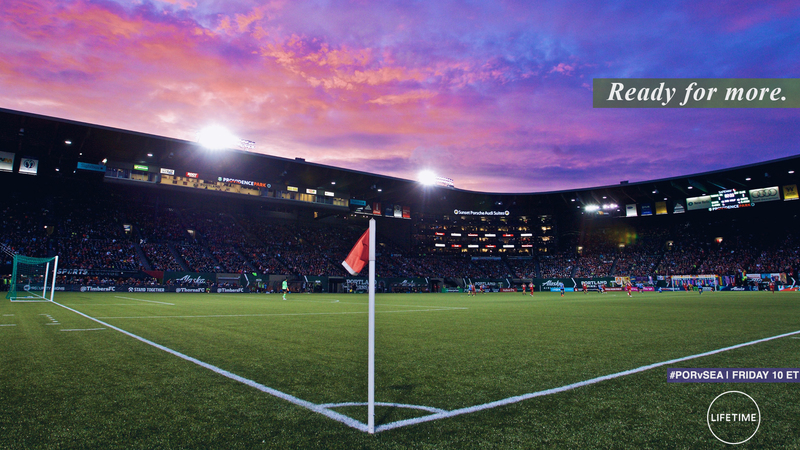 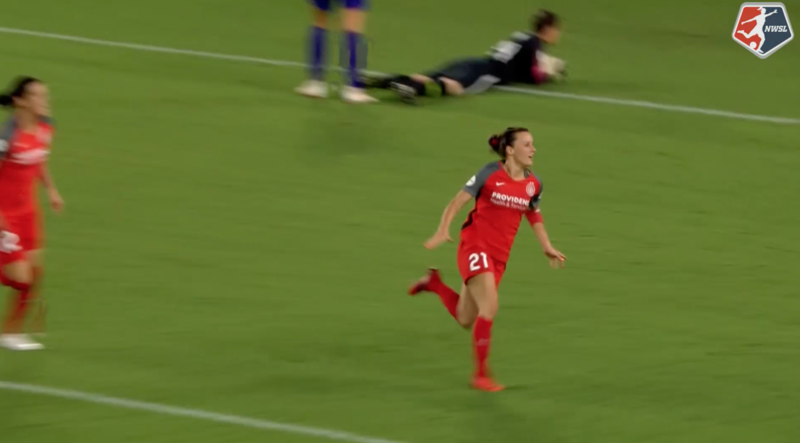 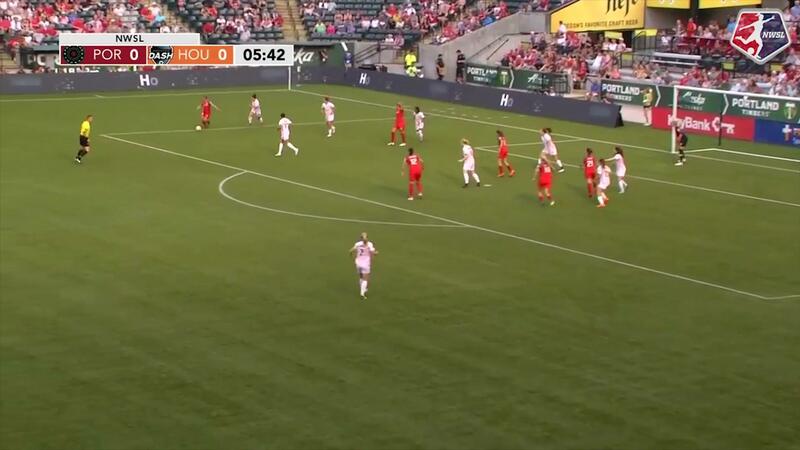 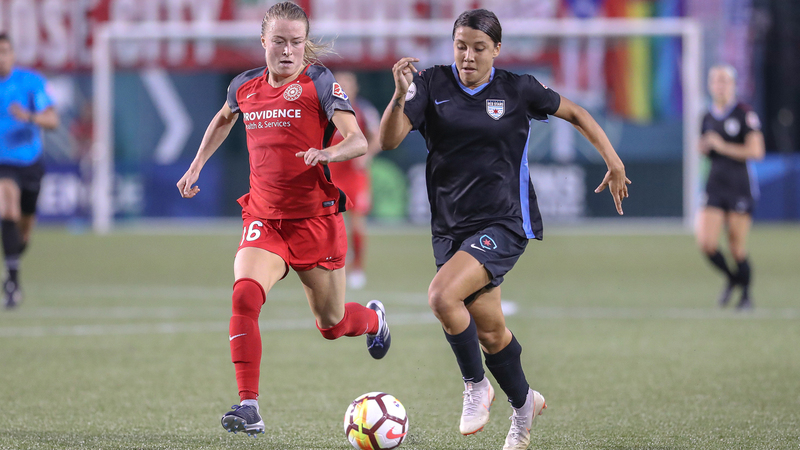 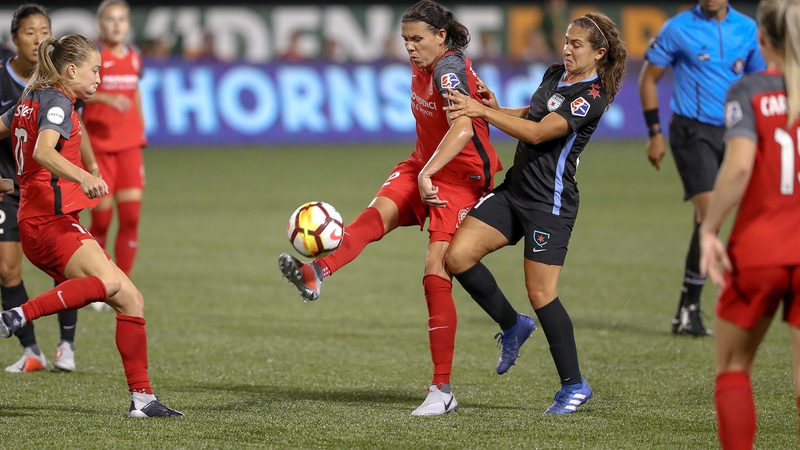 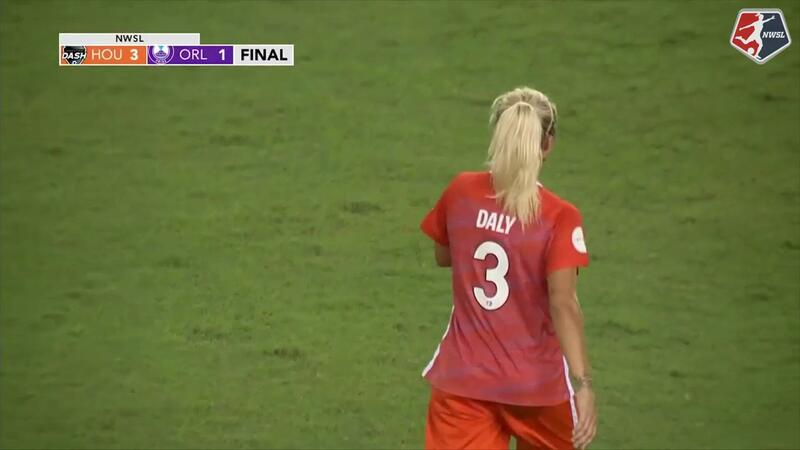 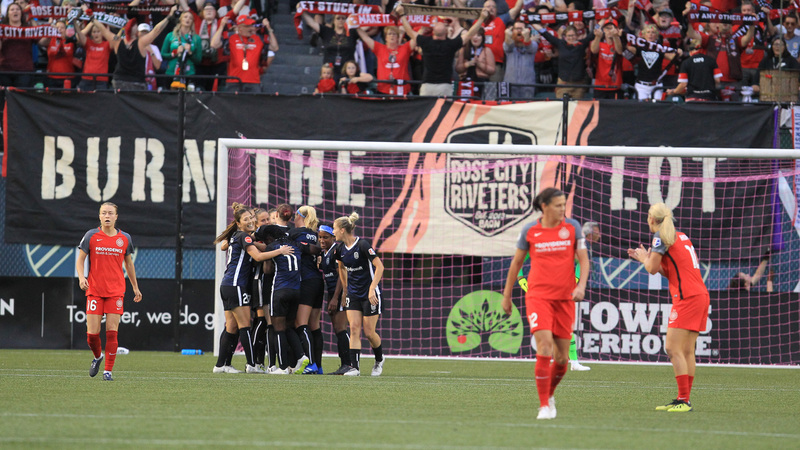 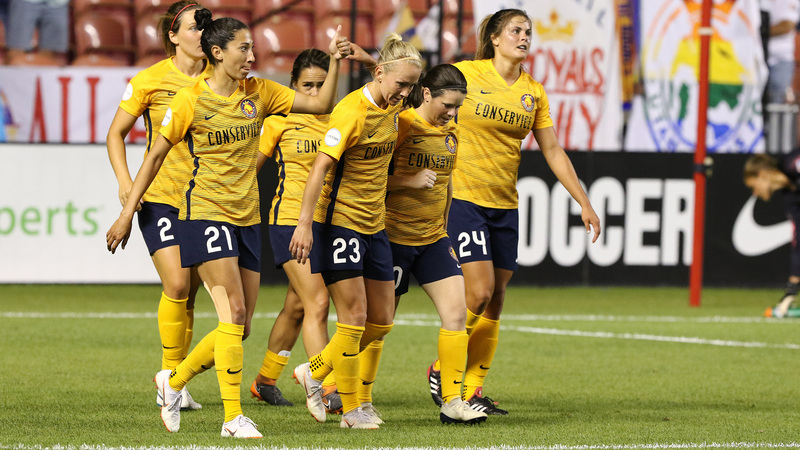 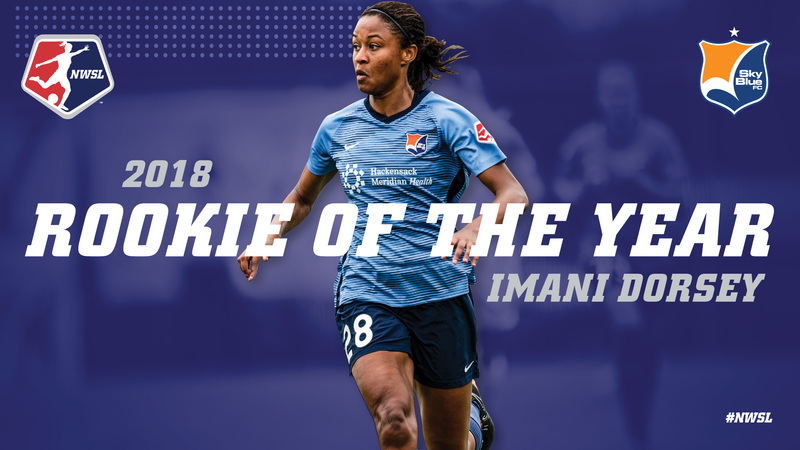 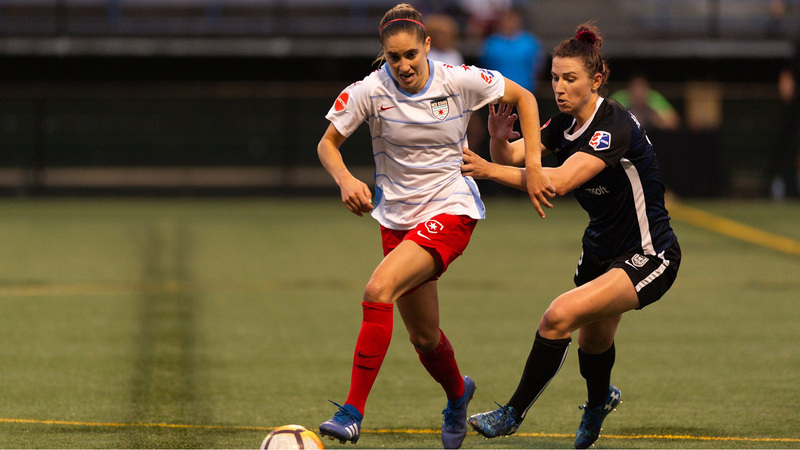 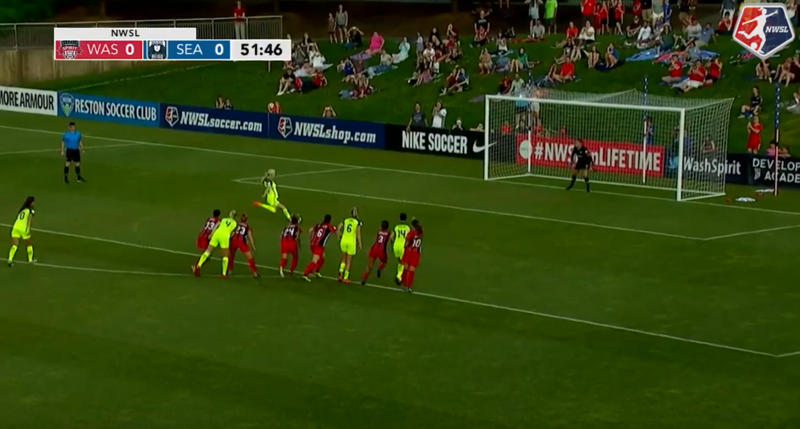 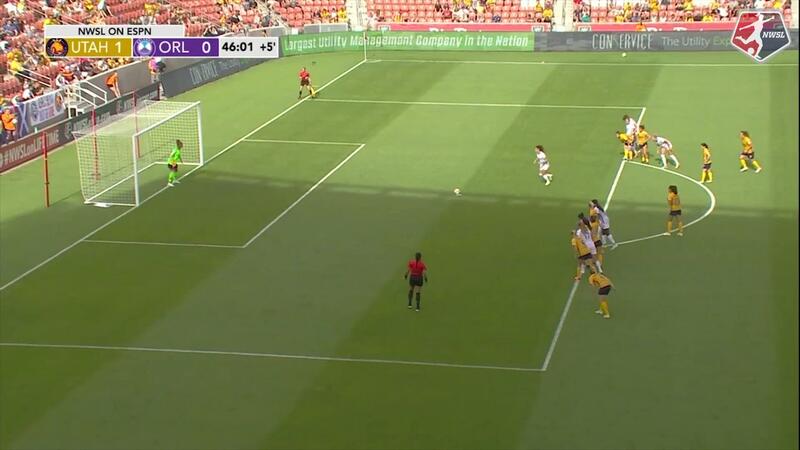 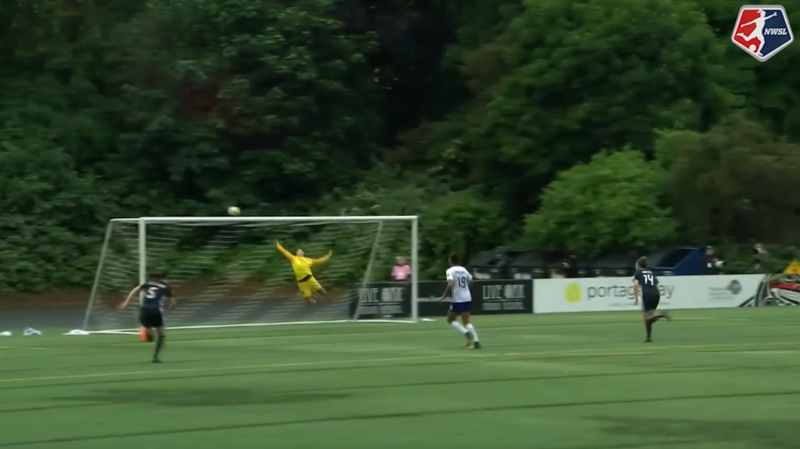 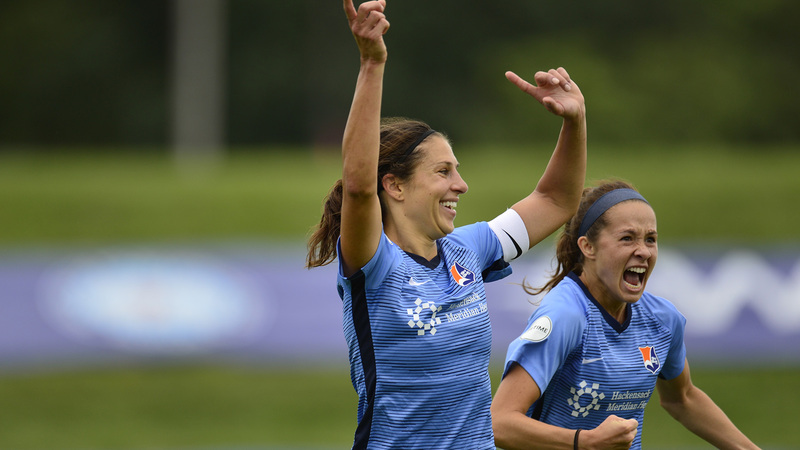 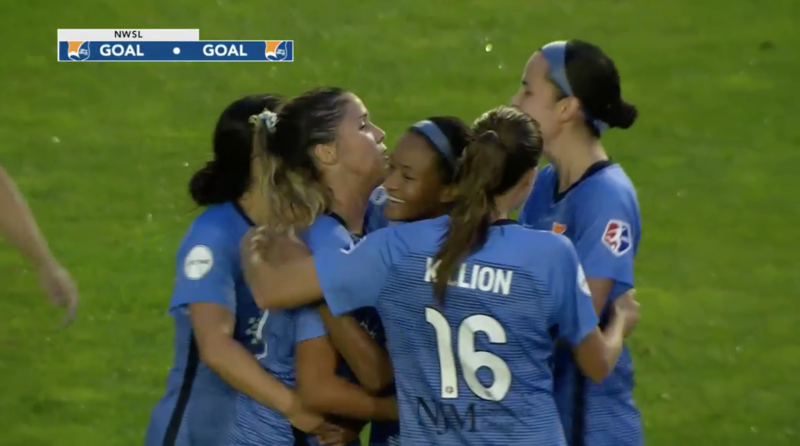 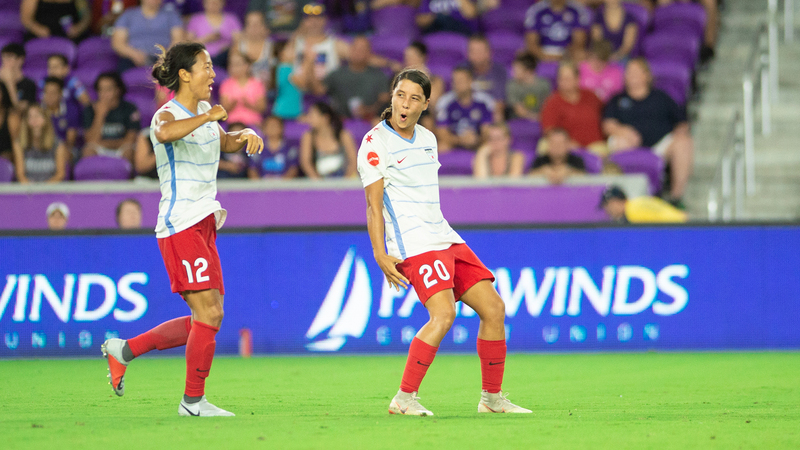 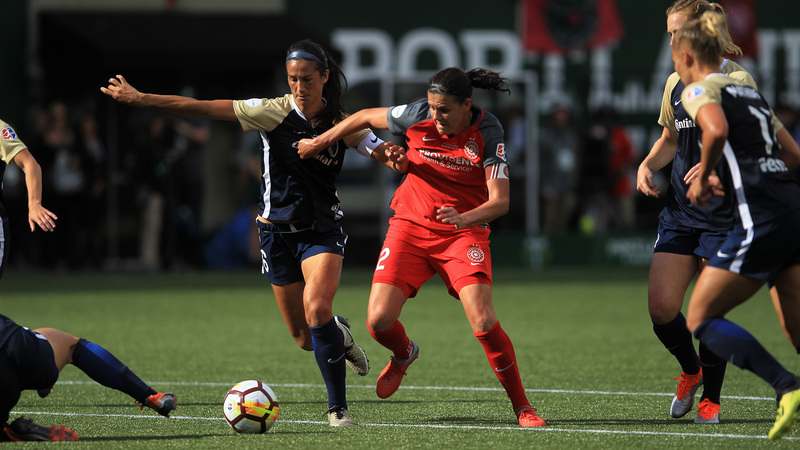 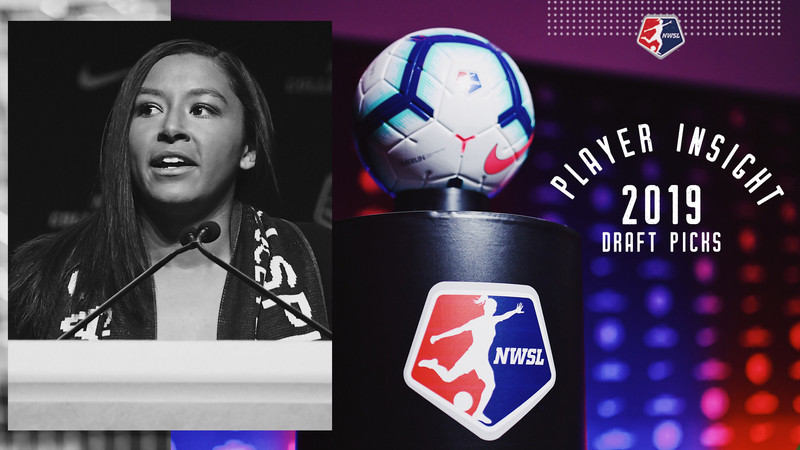 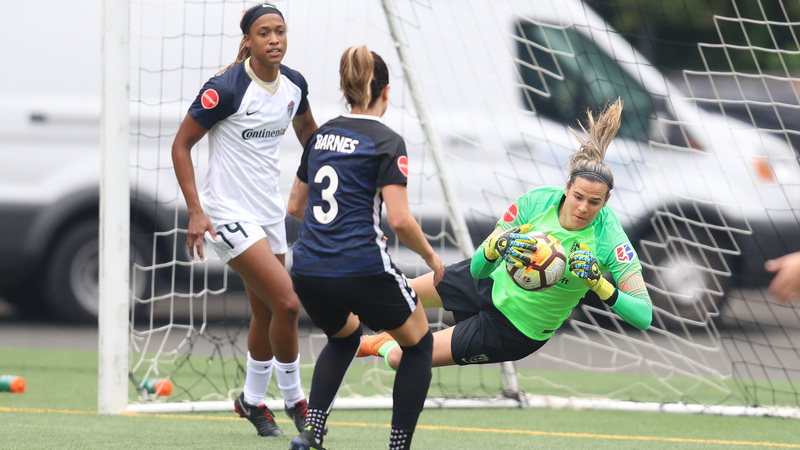 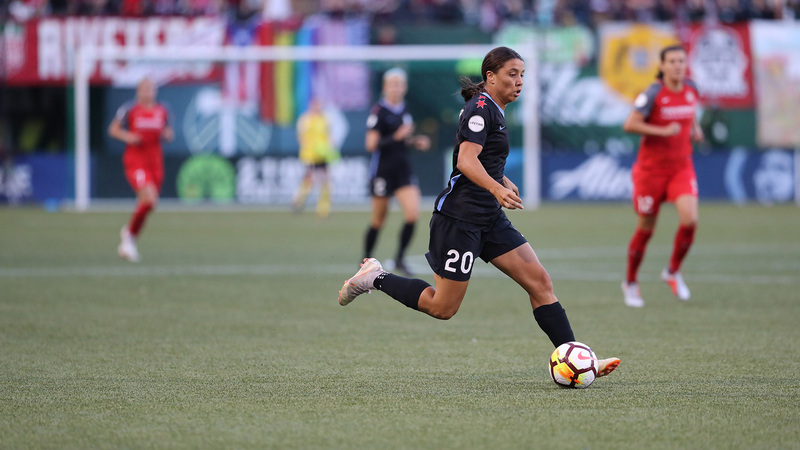 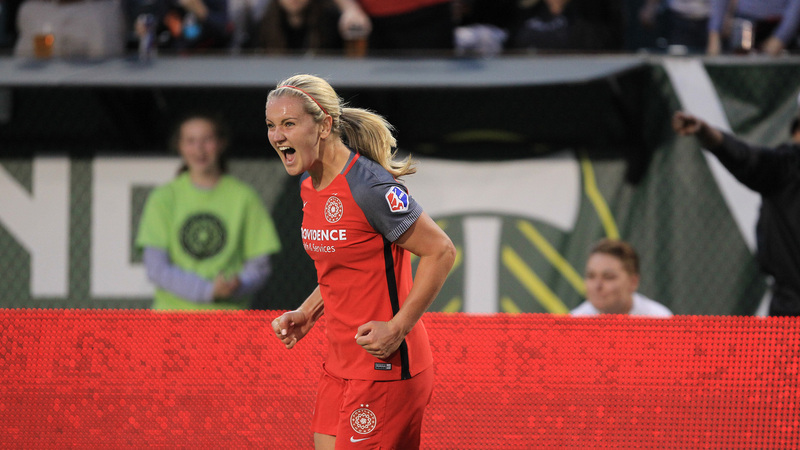 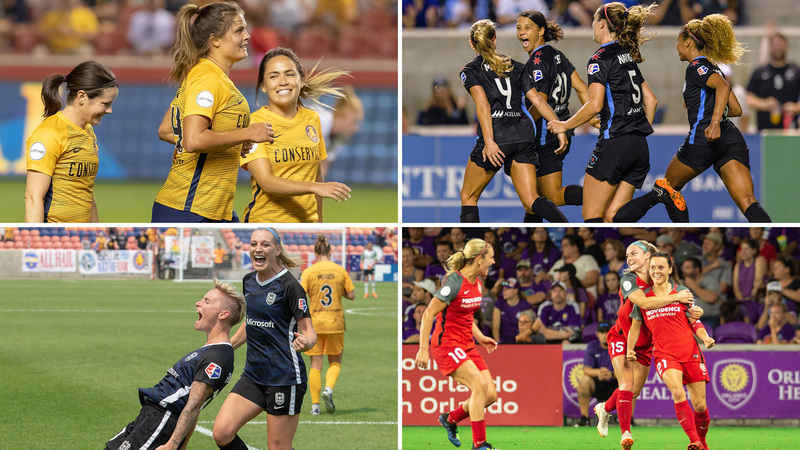 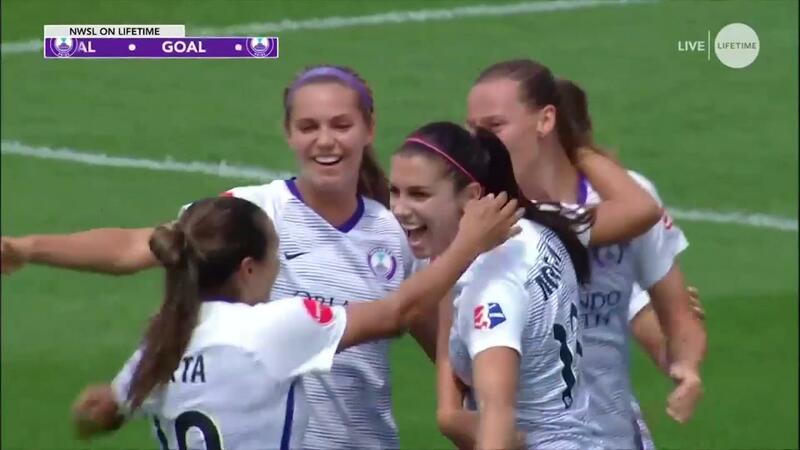 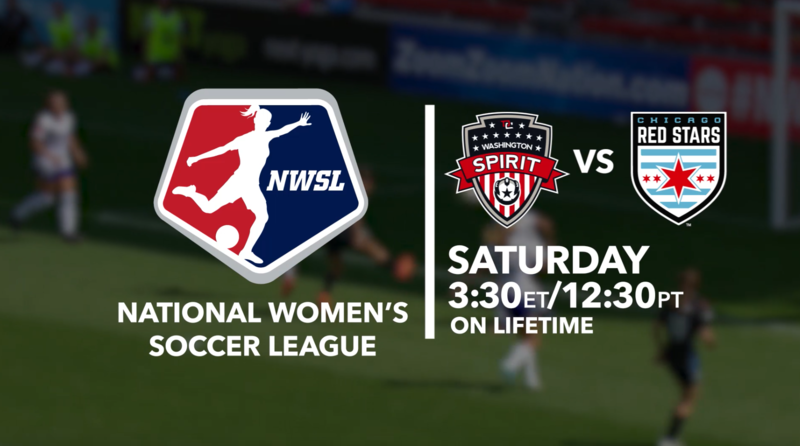 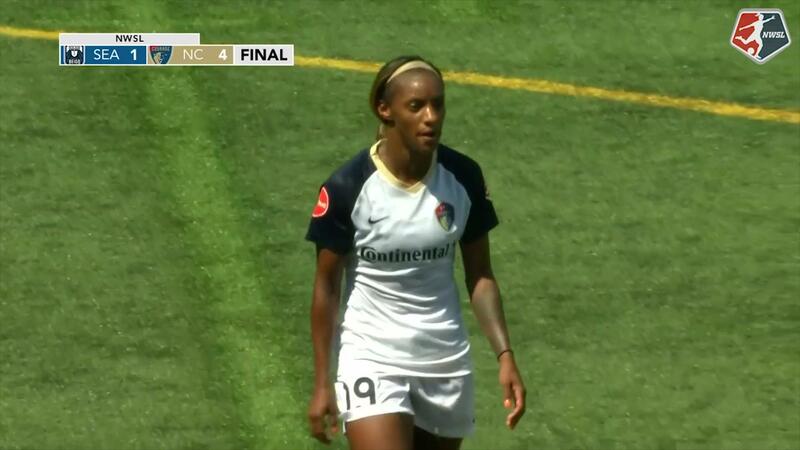 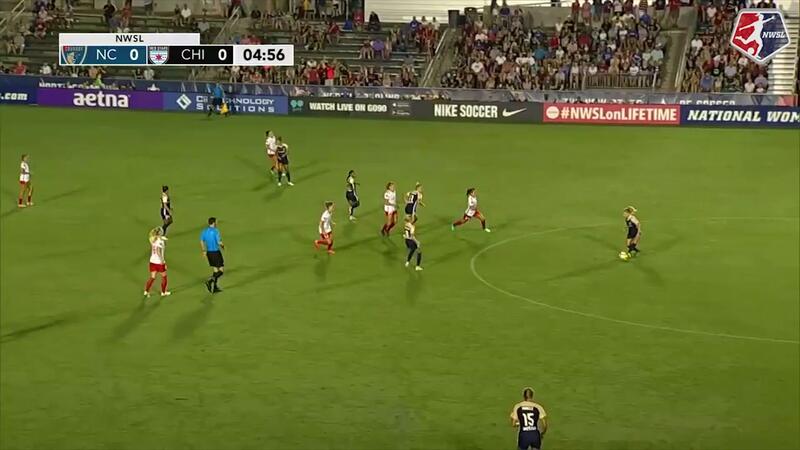 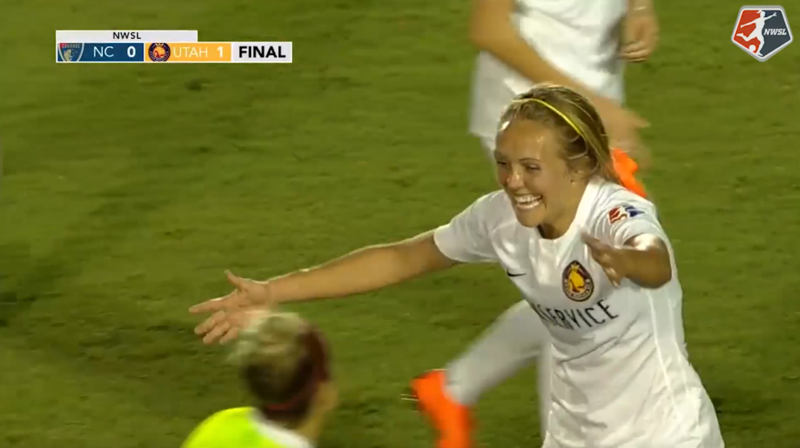 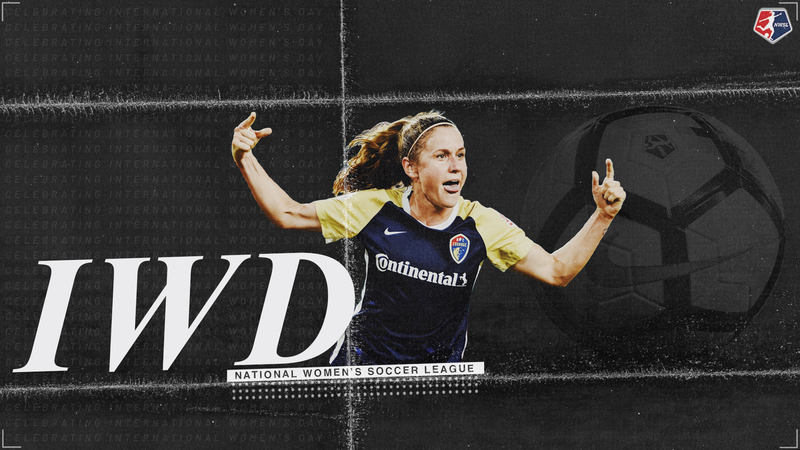 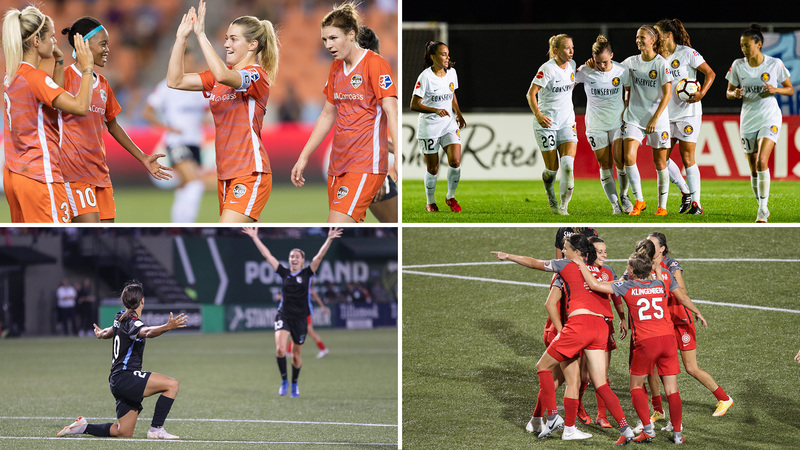 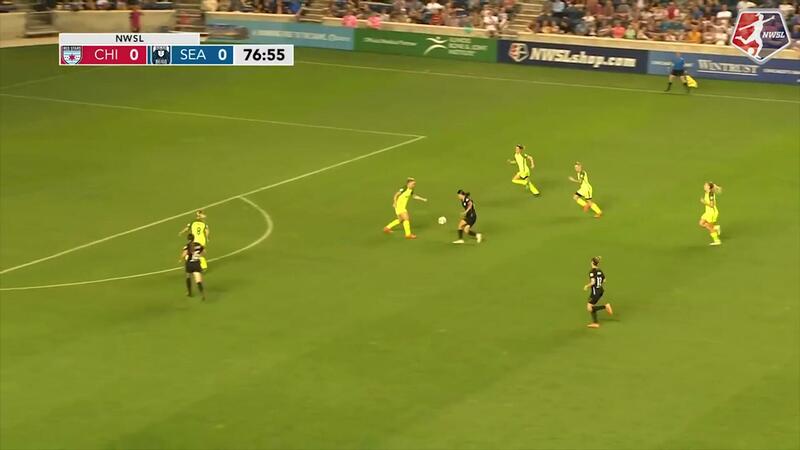 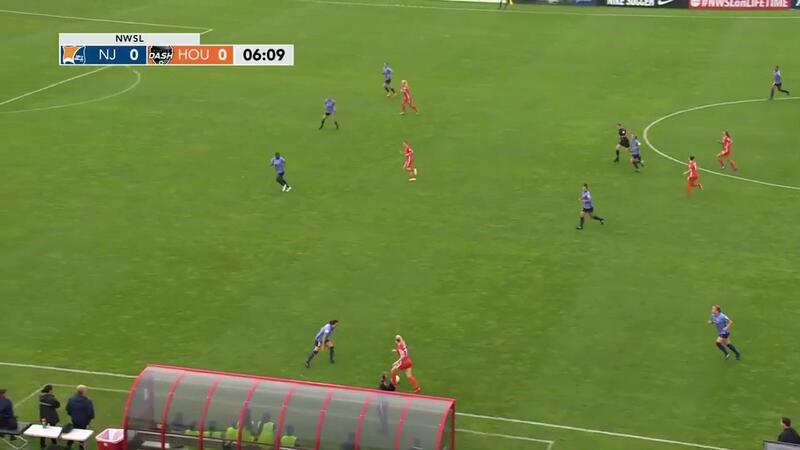 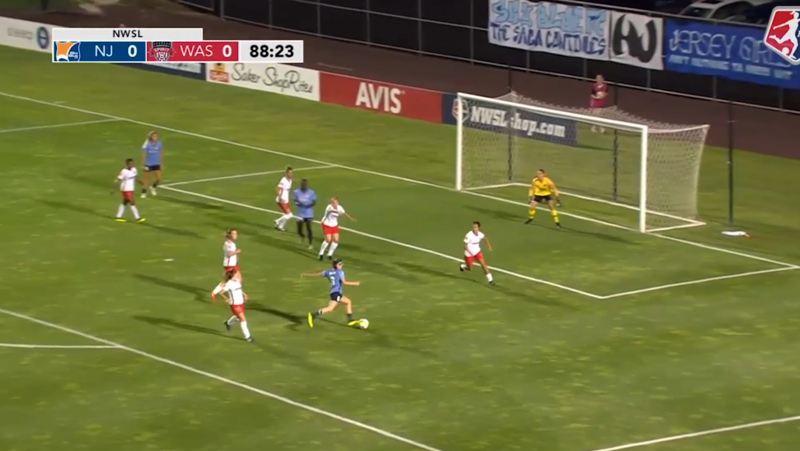 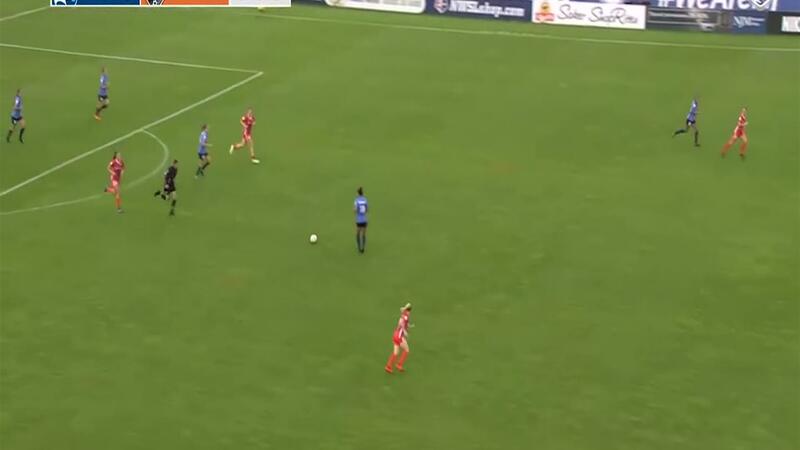 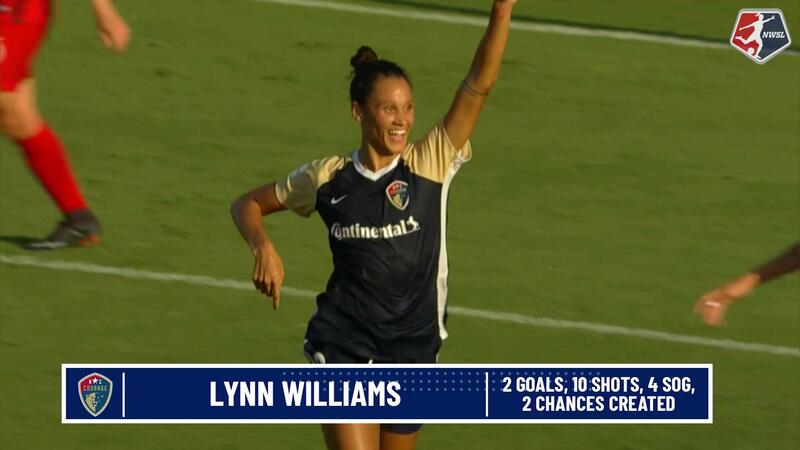 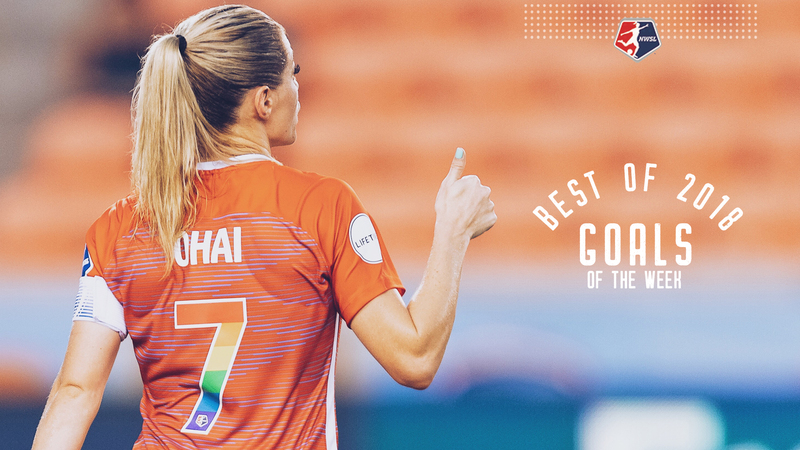 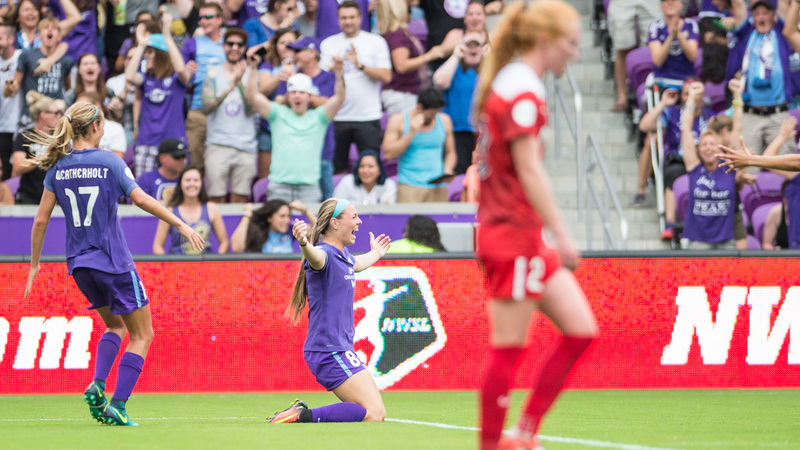 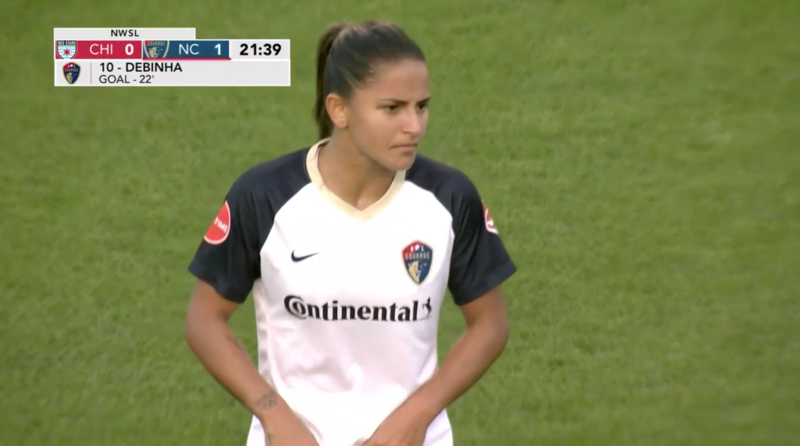 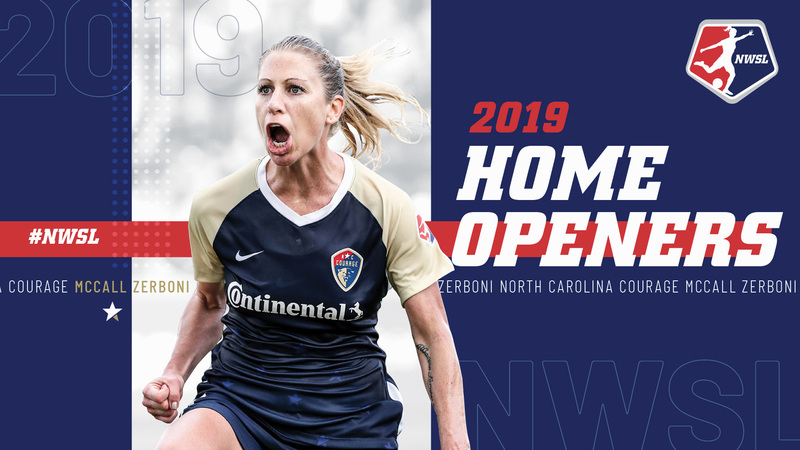 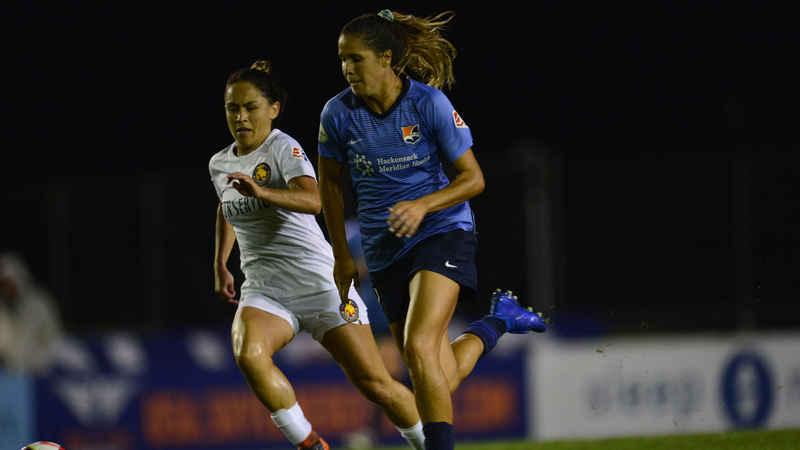 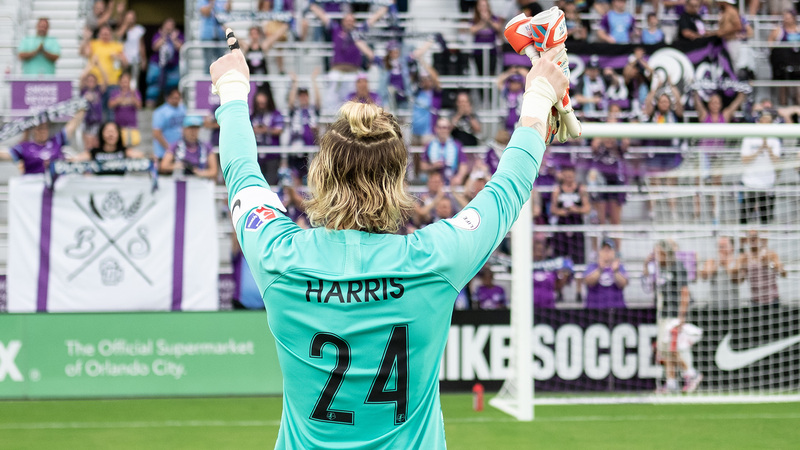 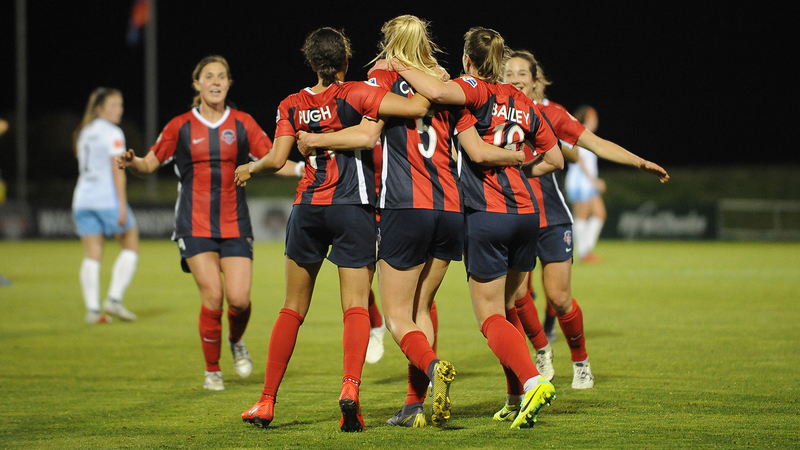 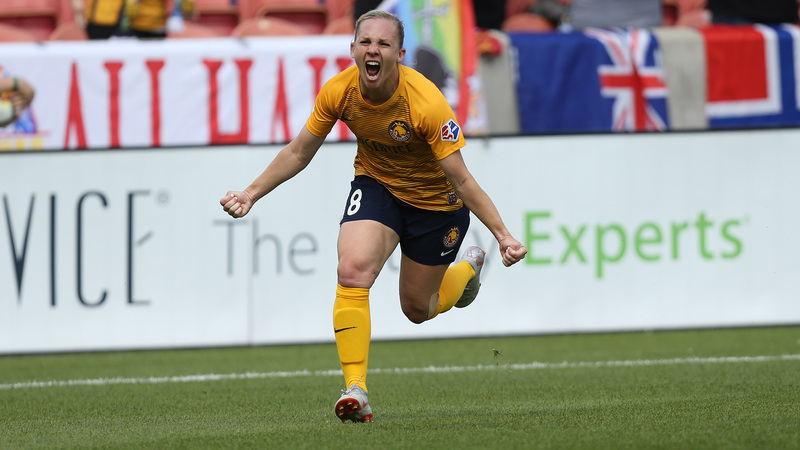 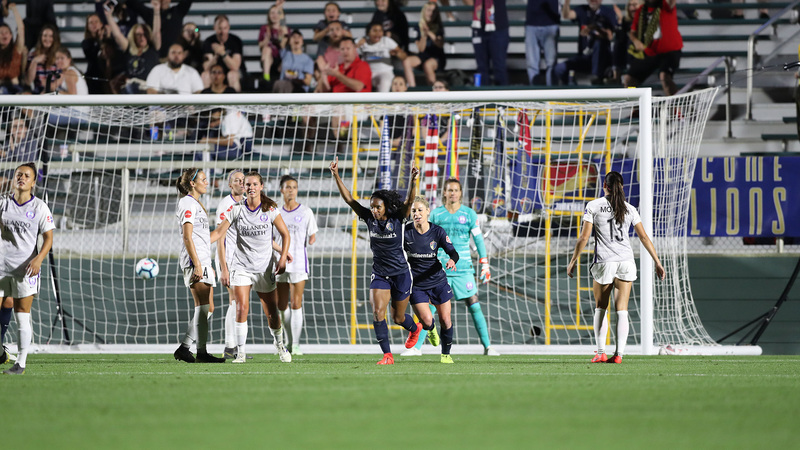 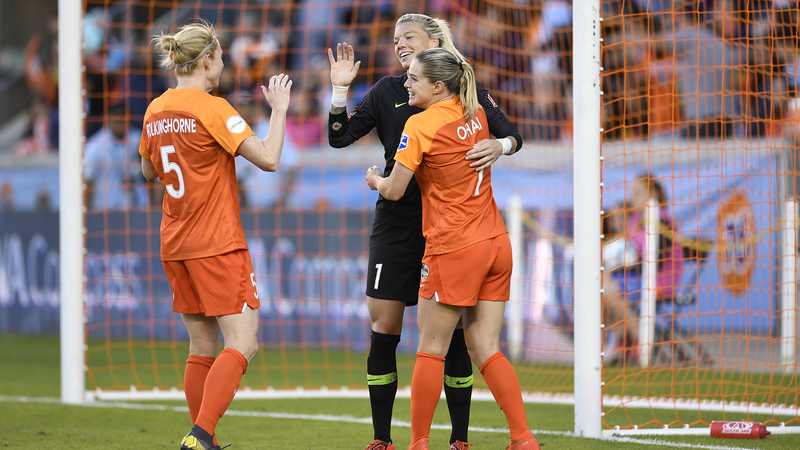 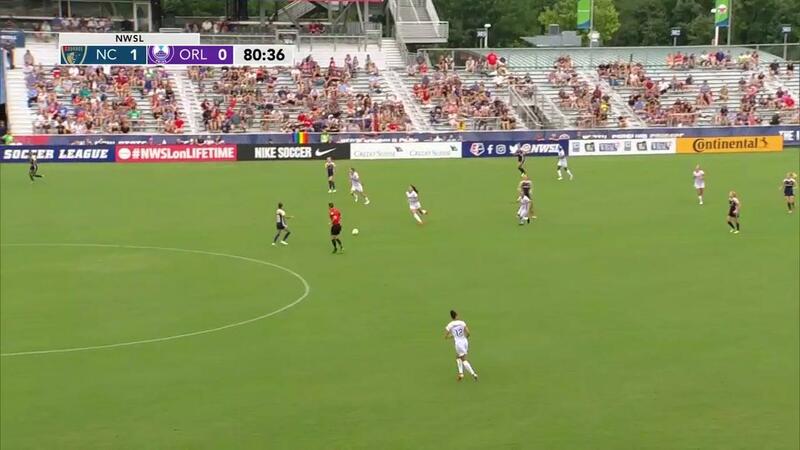 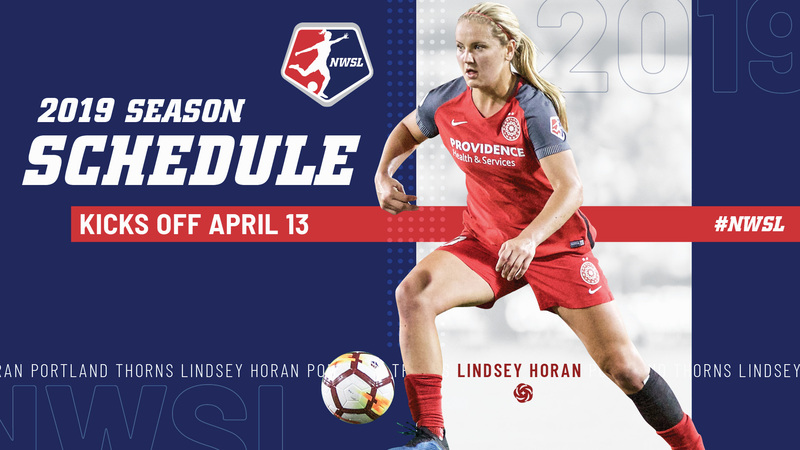 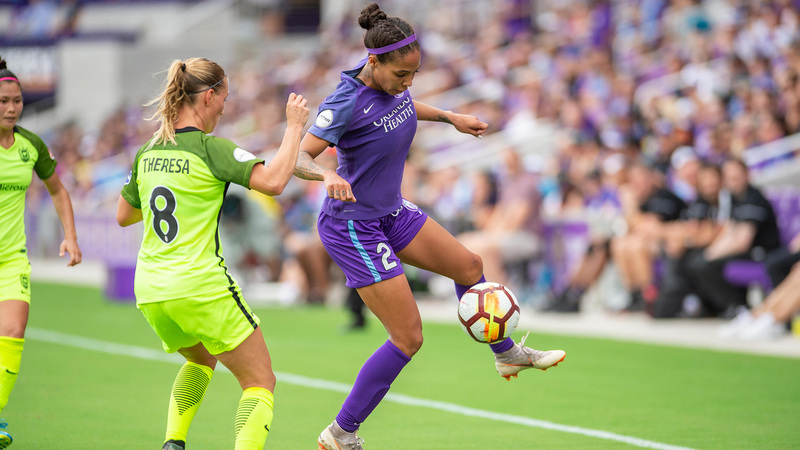 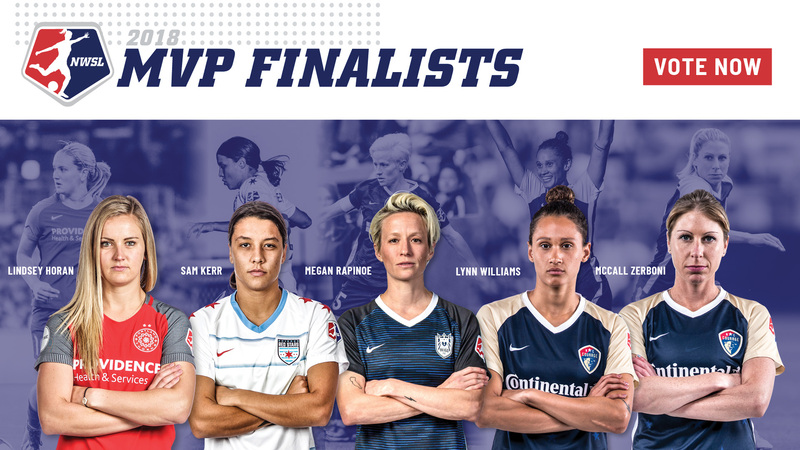 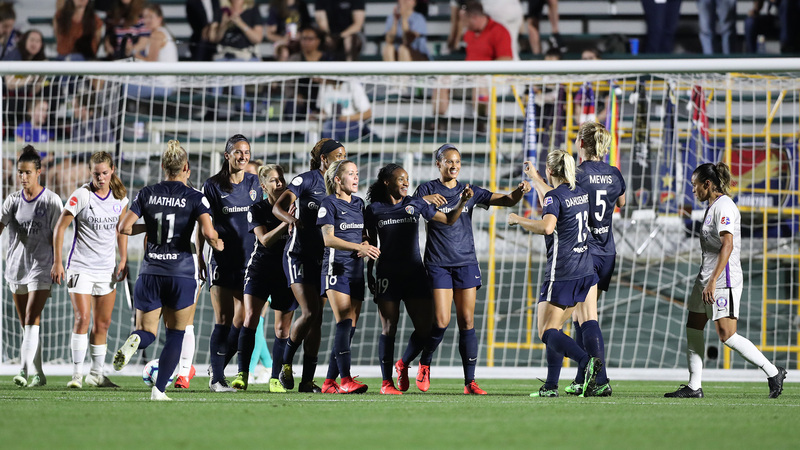 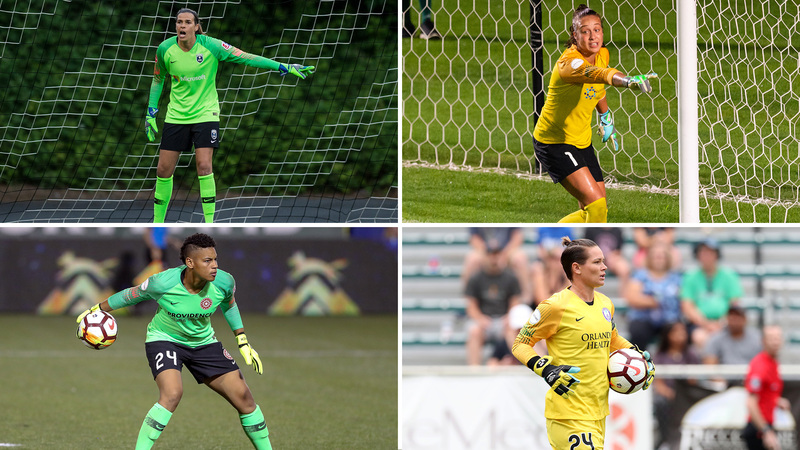 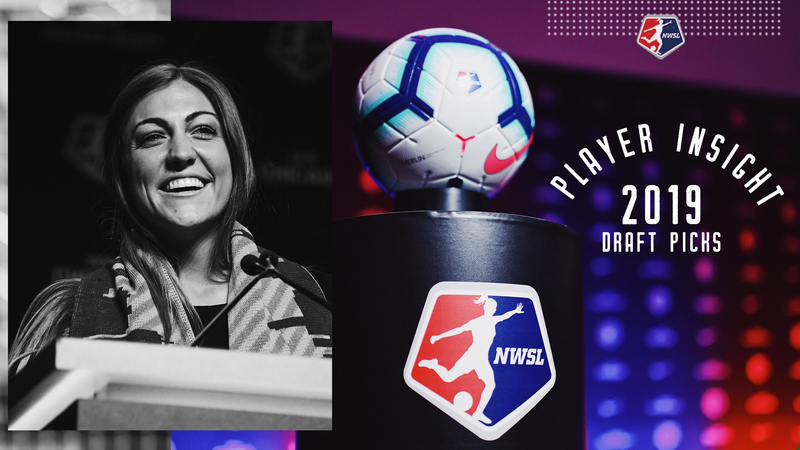 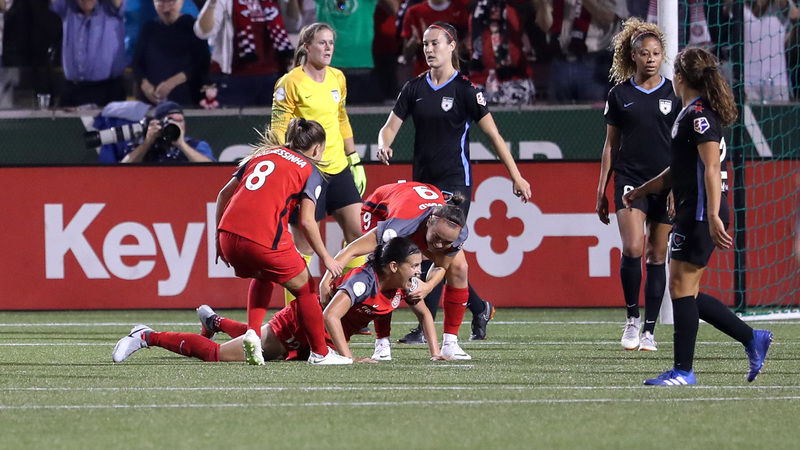 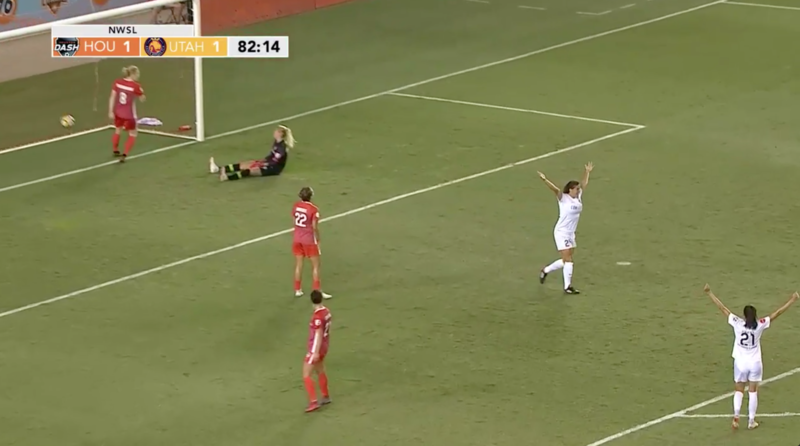 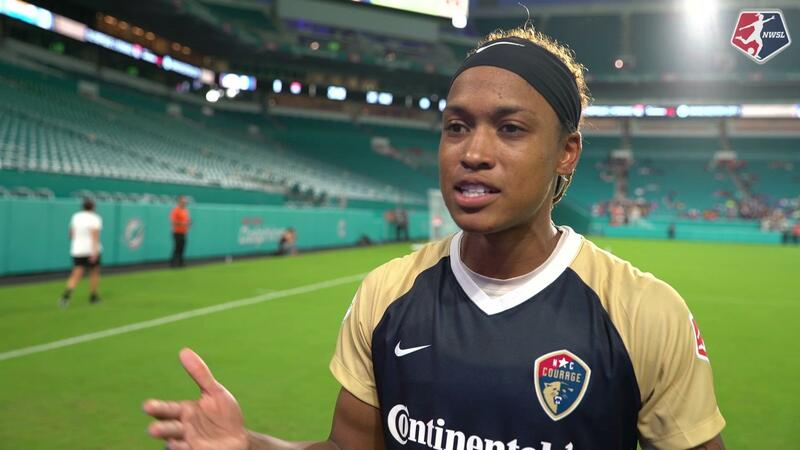 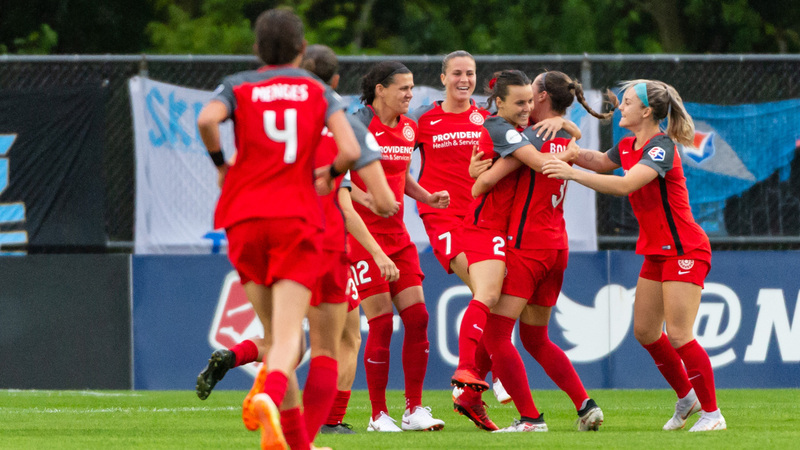 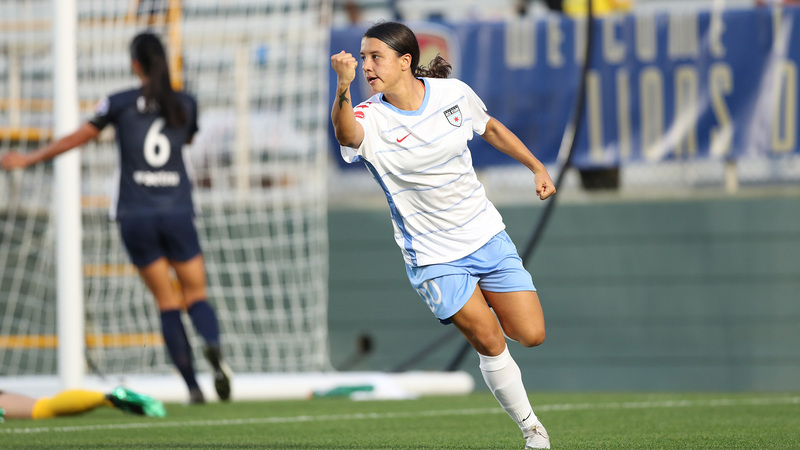 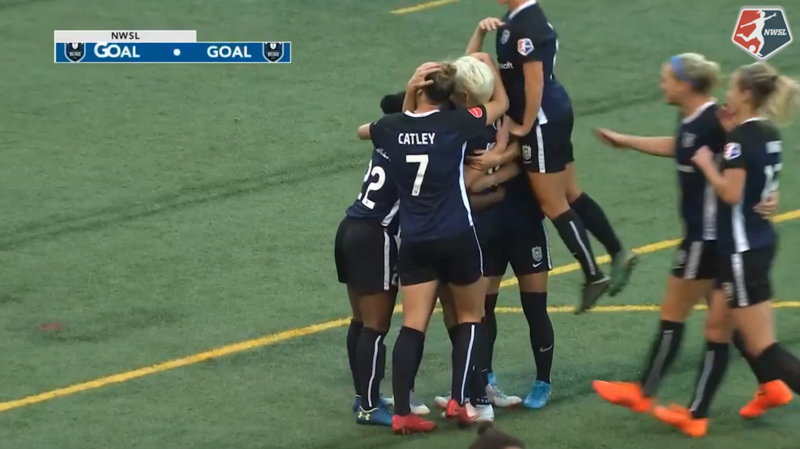 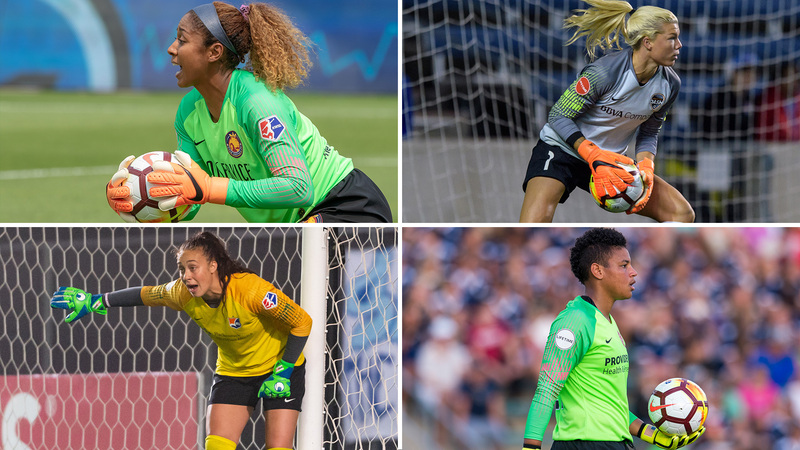 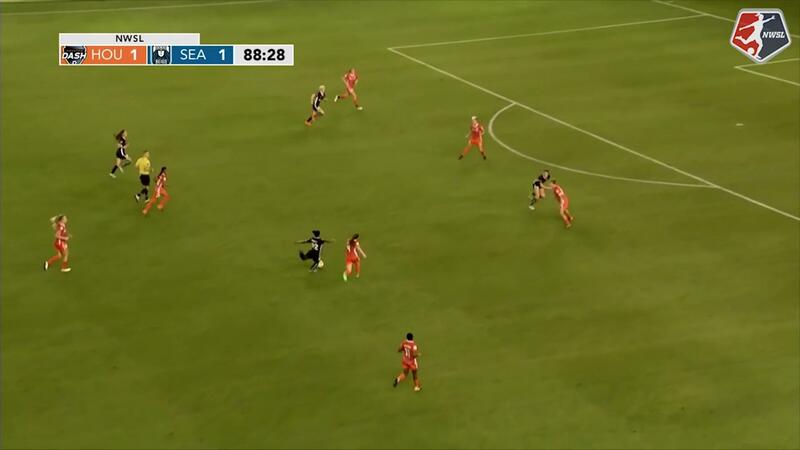 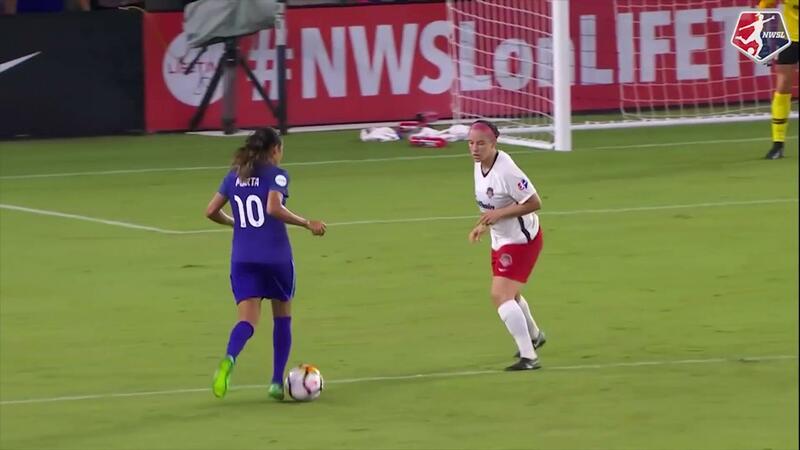 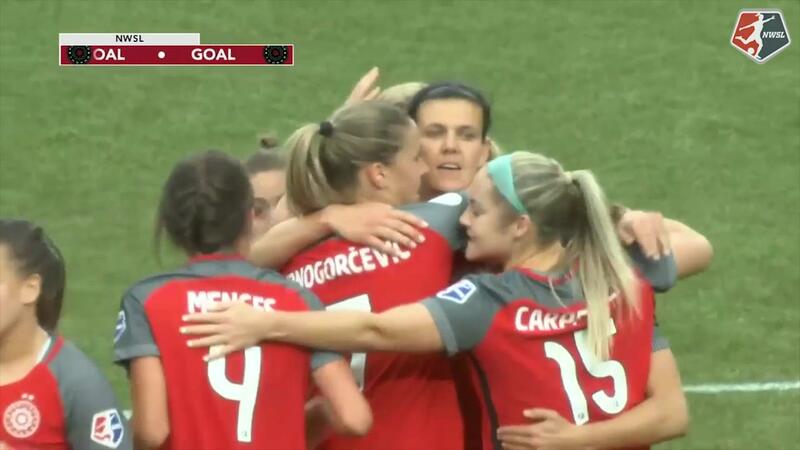 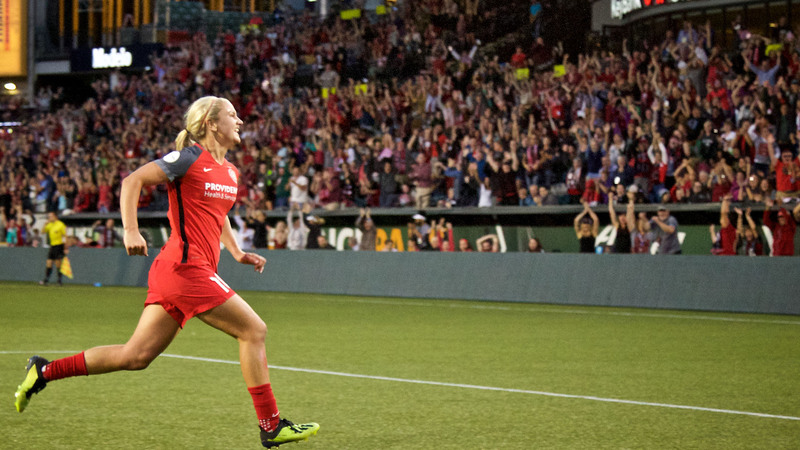 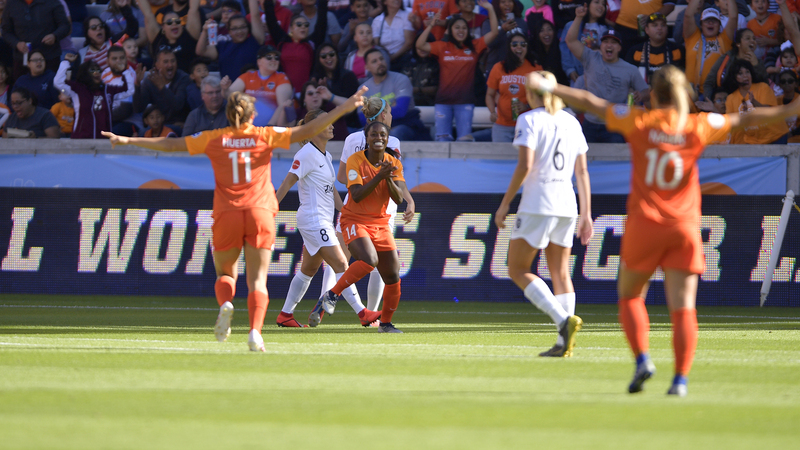 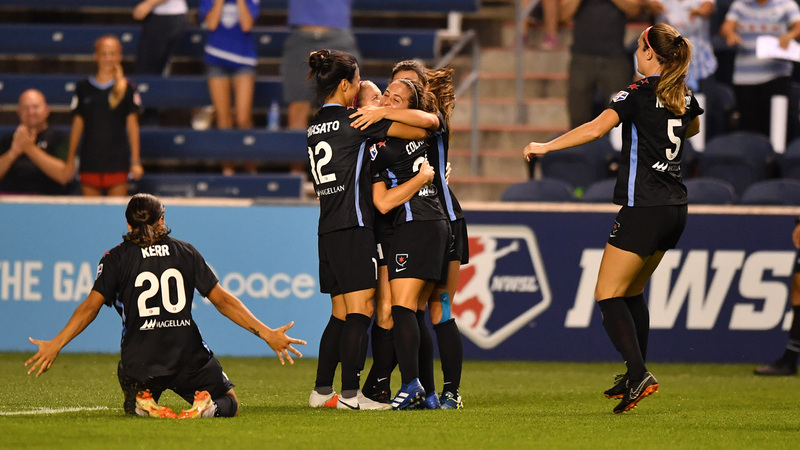 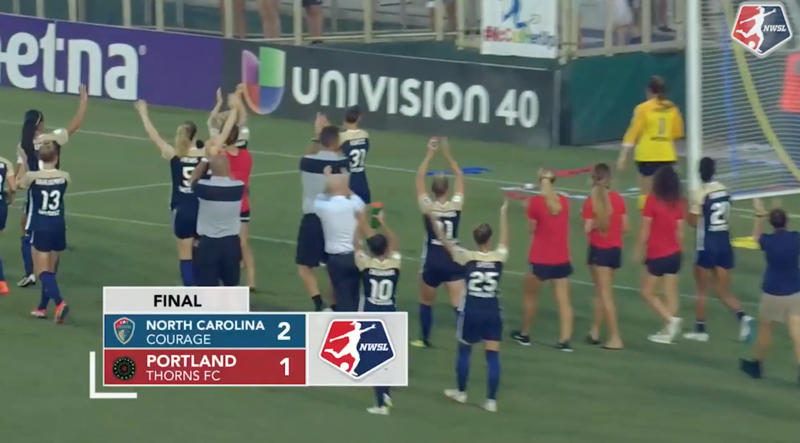 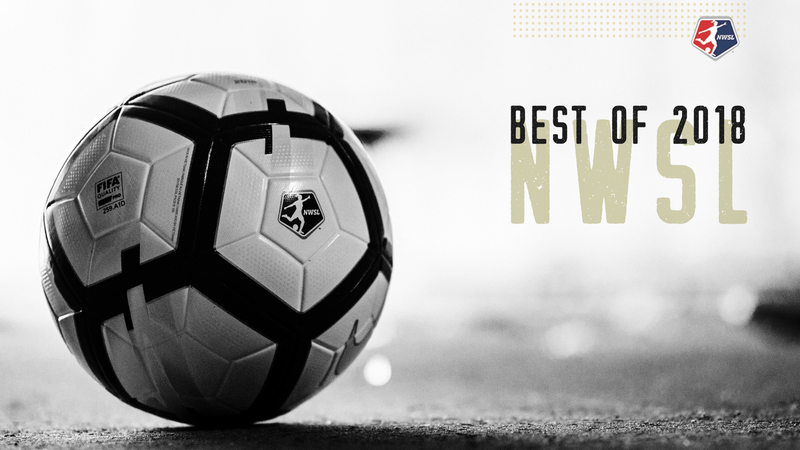 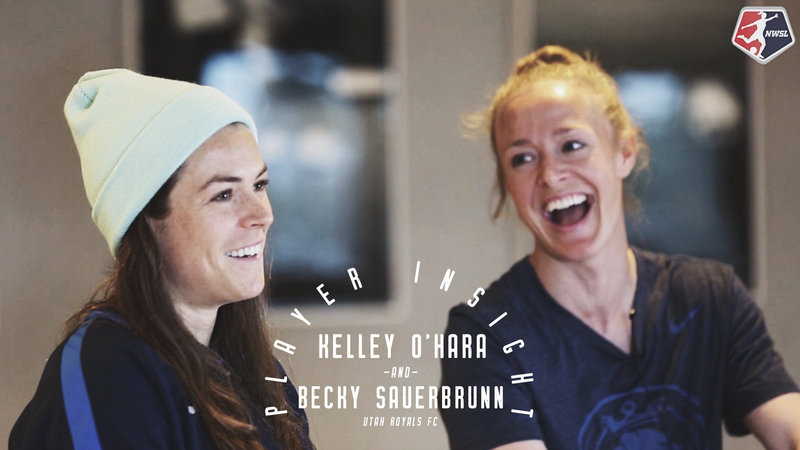 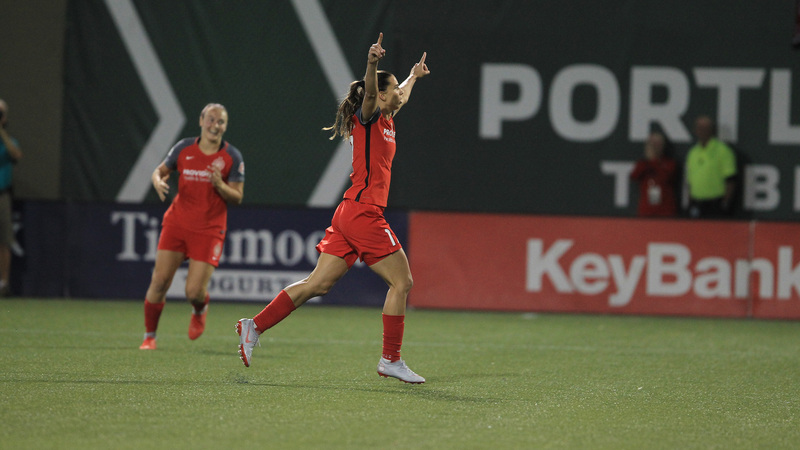 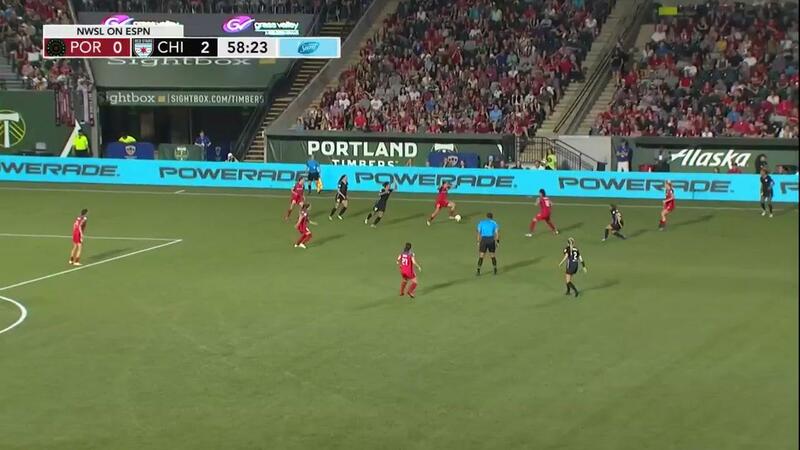 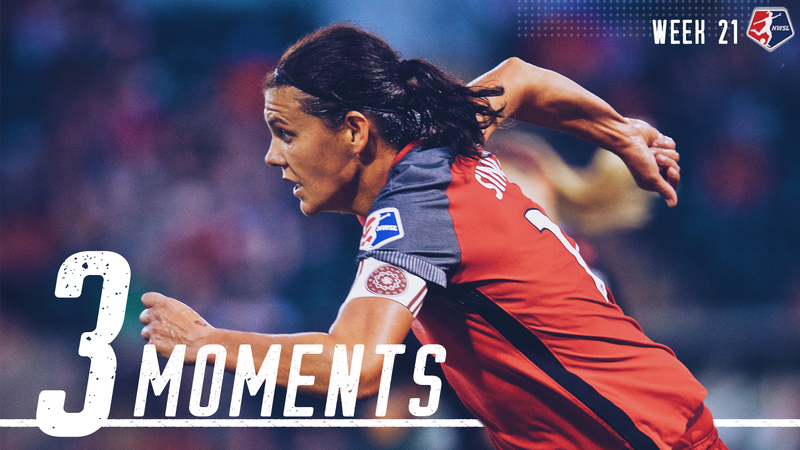 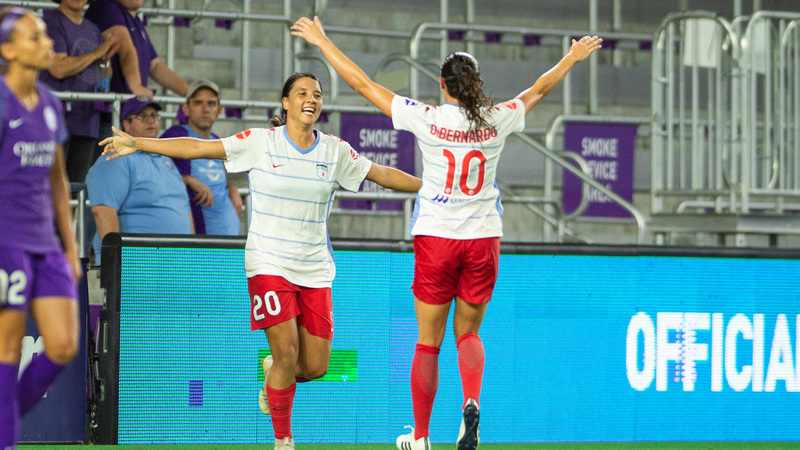 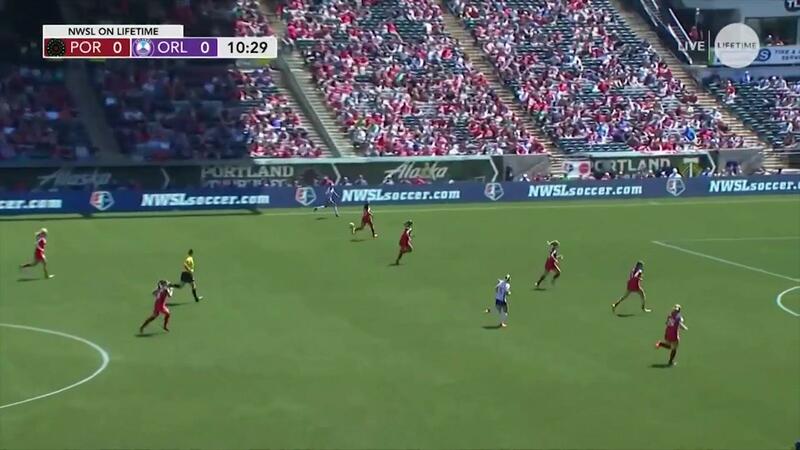 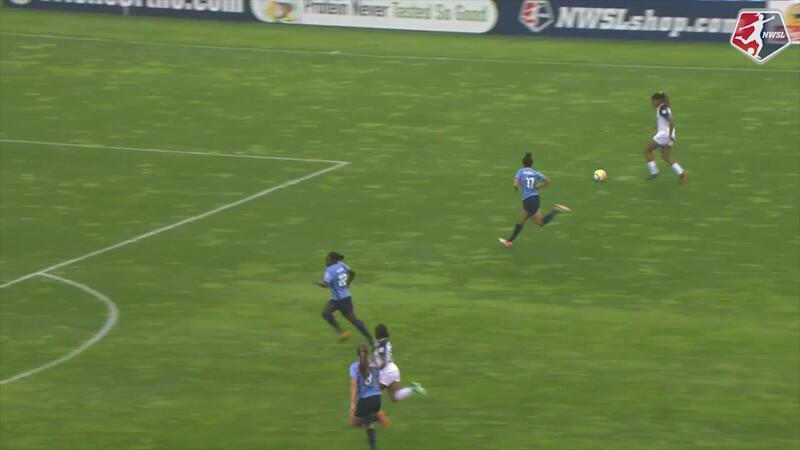 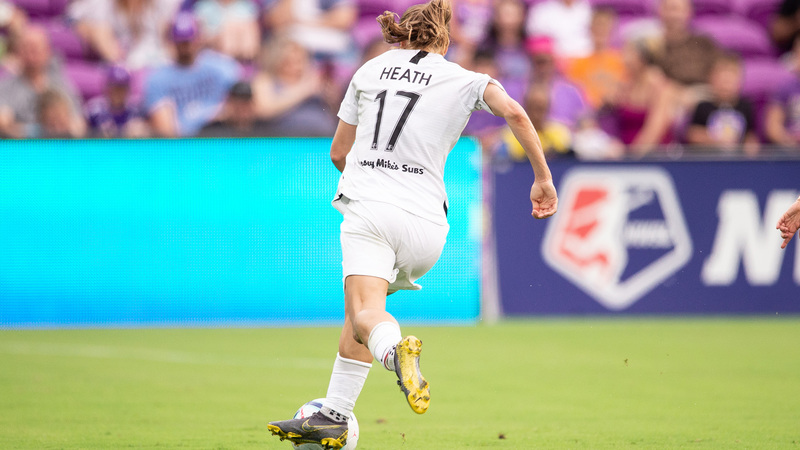 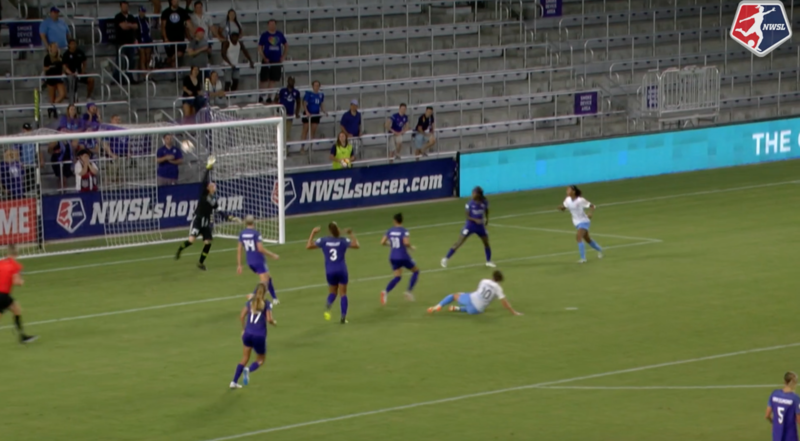 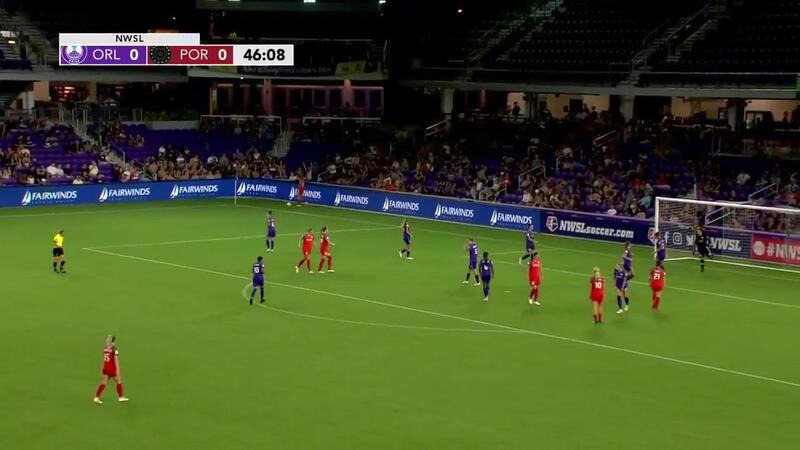 North Carolina Courage forward Lynn Williams scores on a rocket strike from outside the box and midfielder Samantha Mewis added a goal of her own as North Carolina beat Sky Blue FC 2-0 in Week 7. 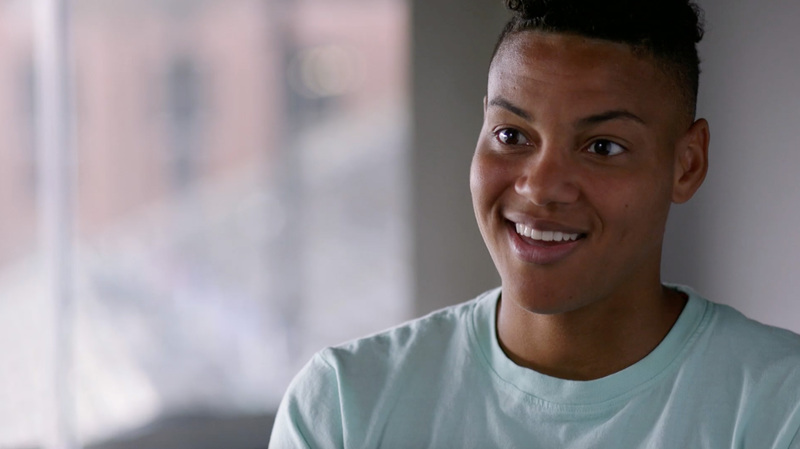 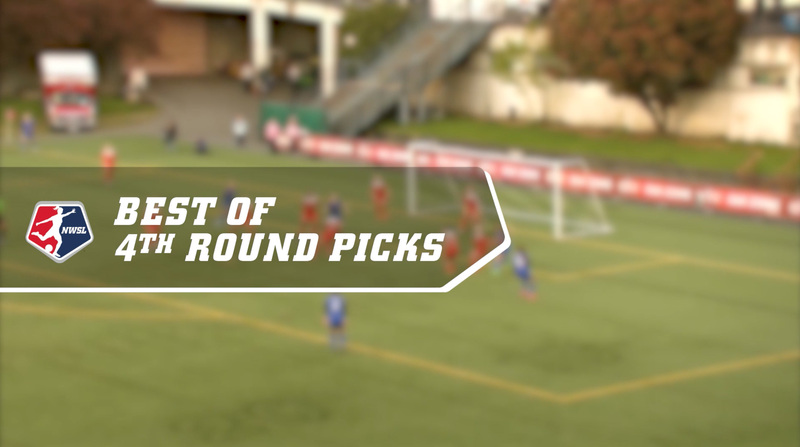 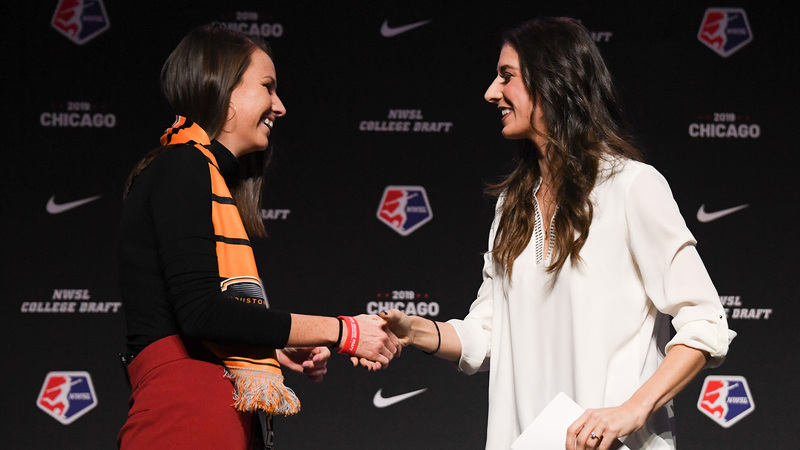 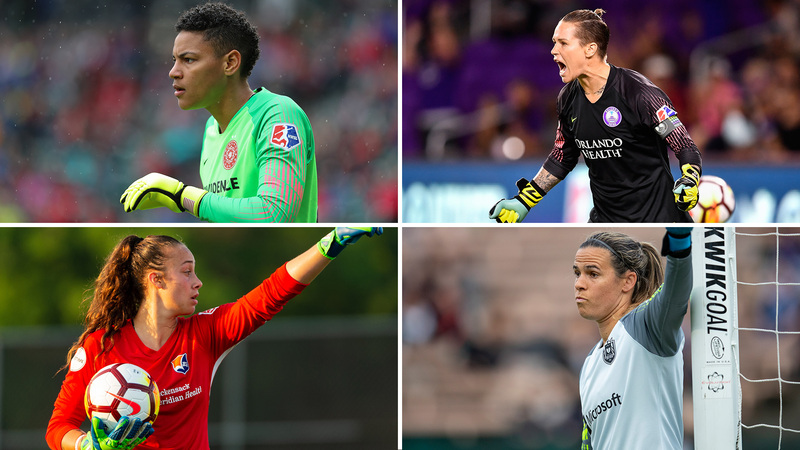 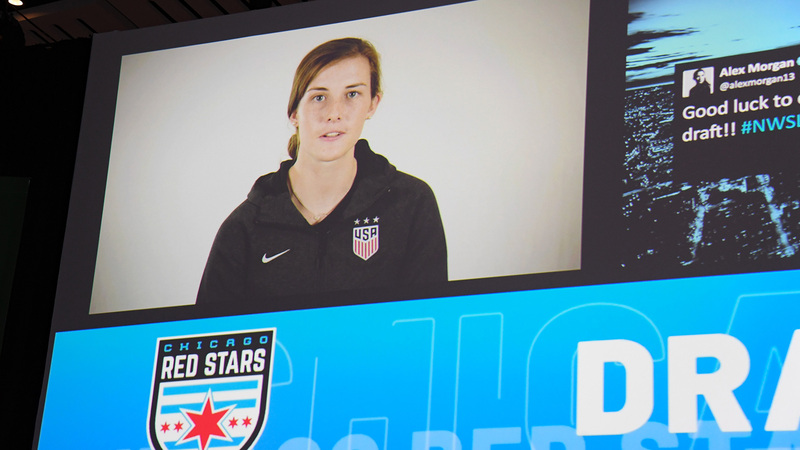 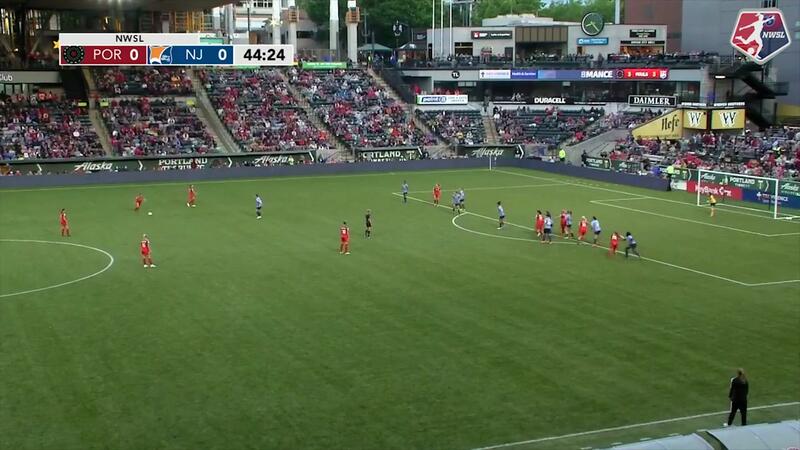 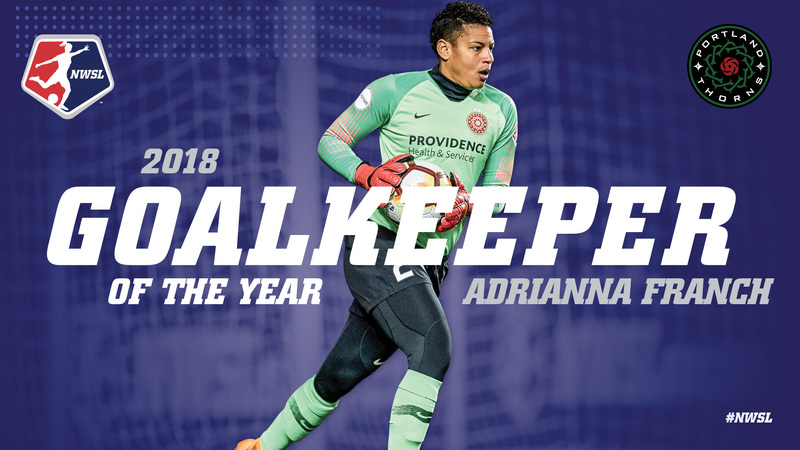 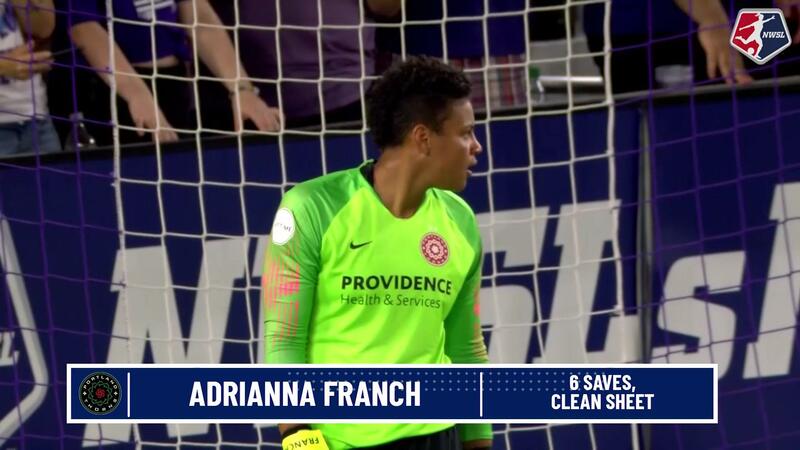 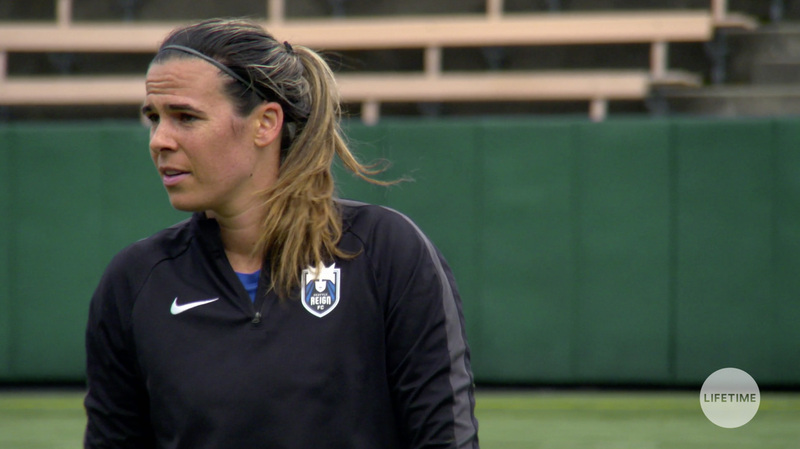 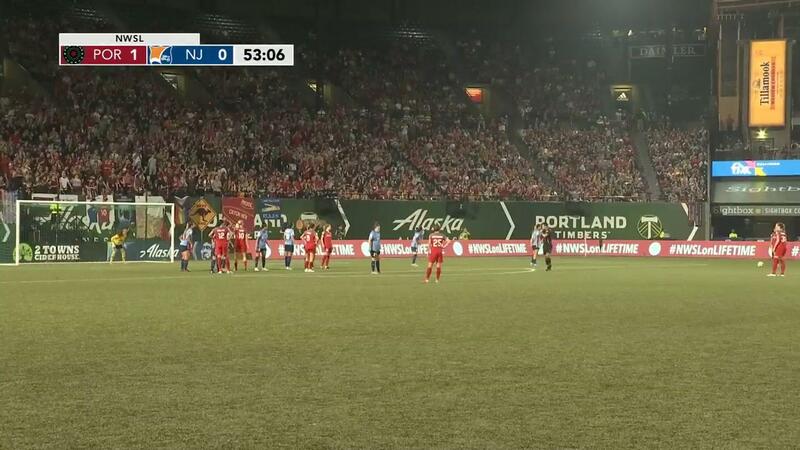 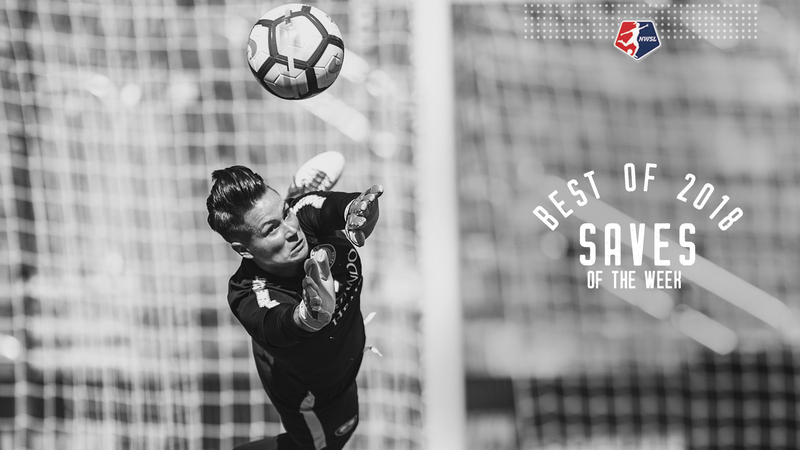 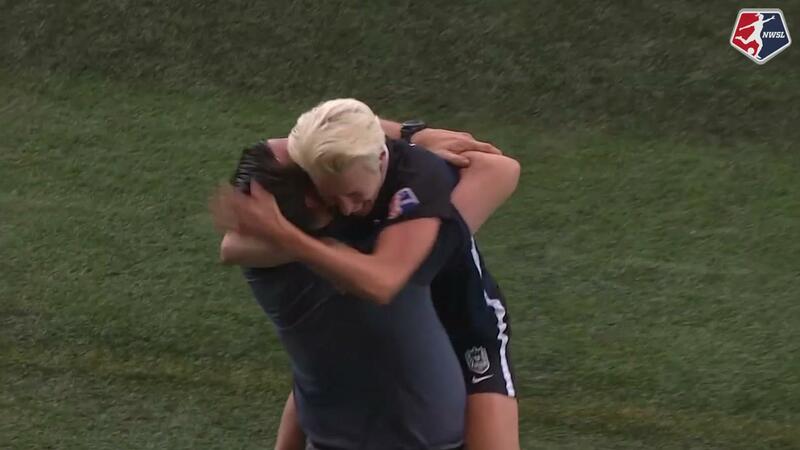 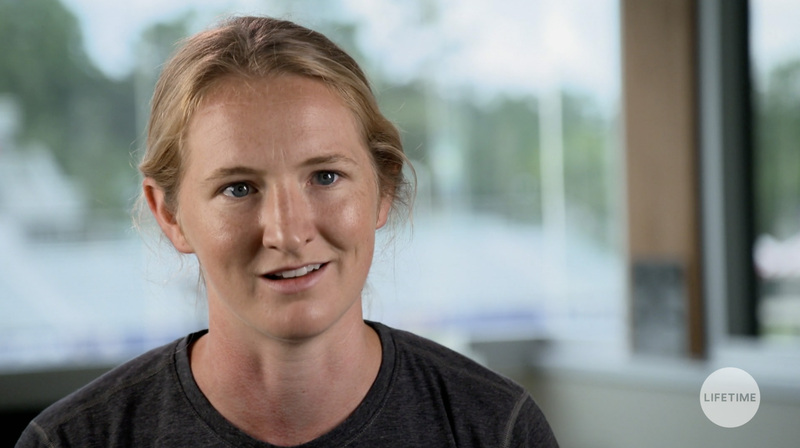 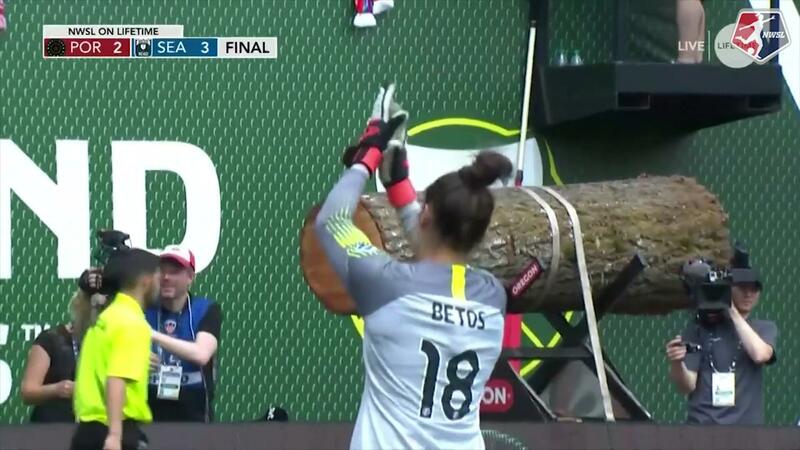 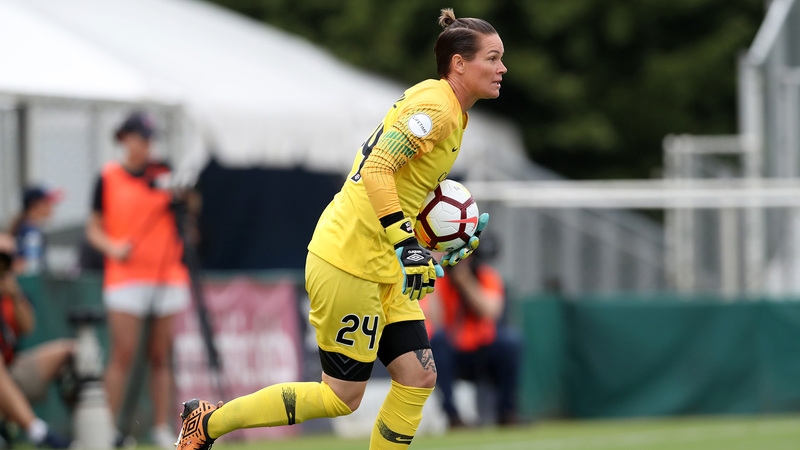 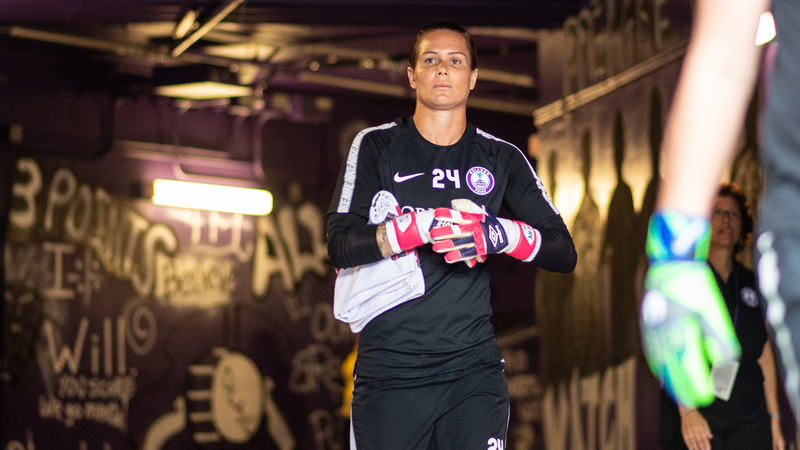 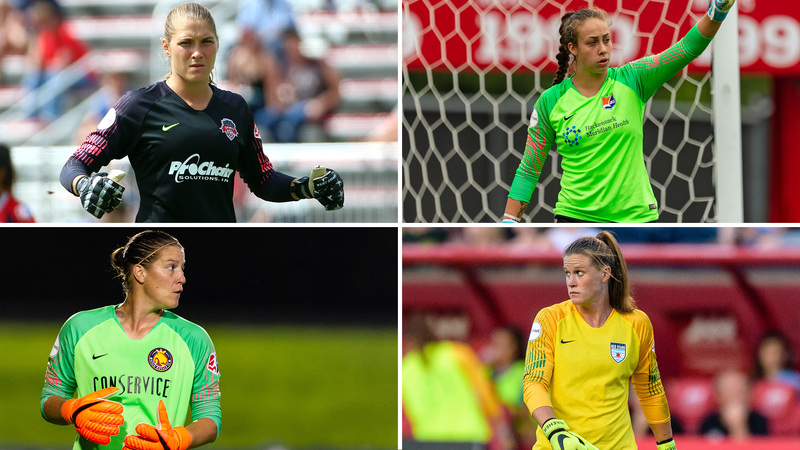 Sky Blue FC rookie goalkeeper Kailen Sheridan made 11 saves in the game. 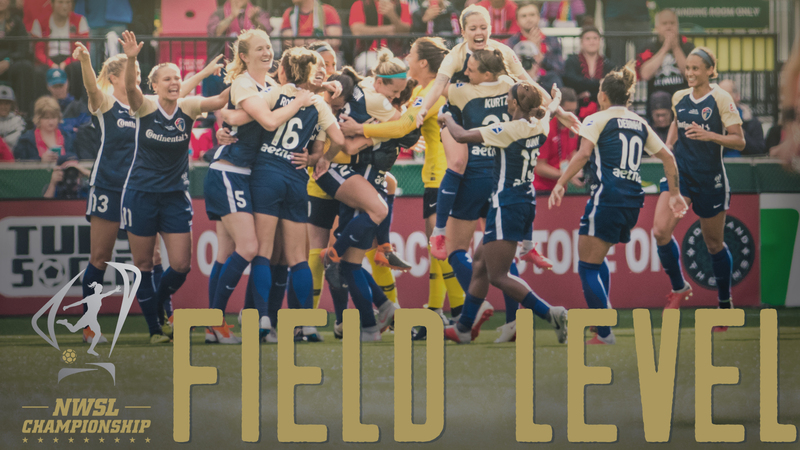 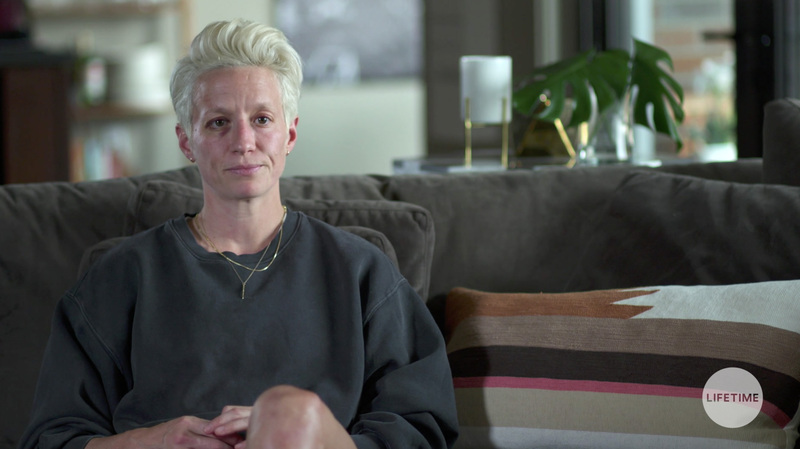 May 24, 2017.